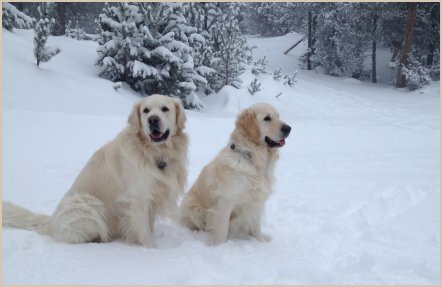 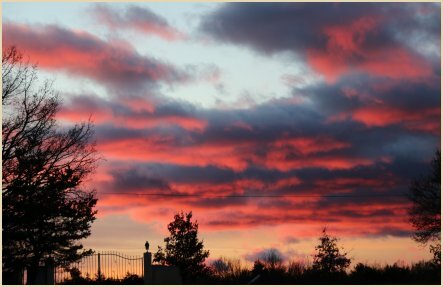 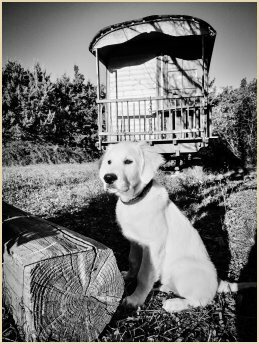 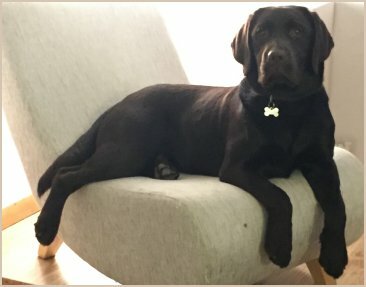 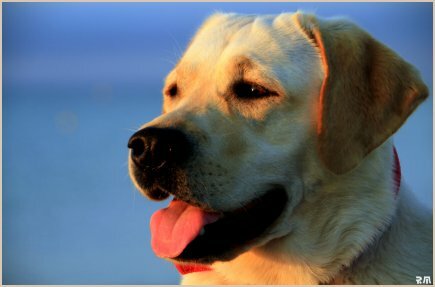 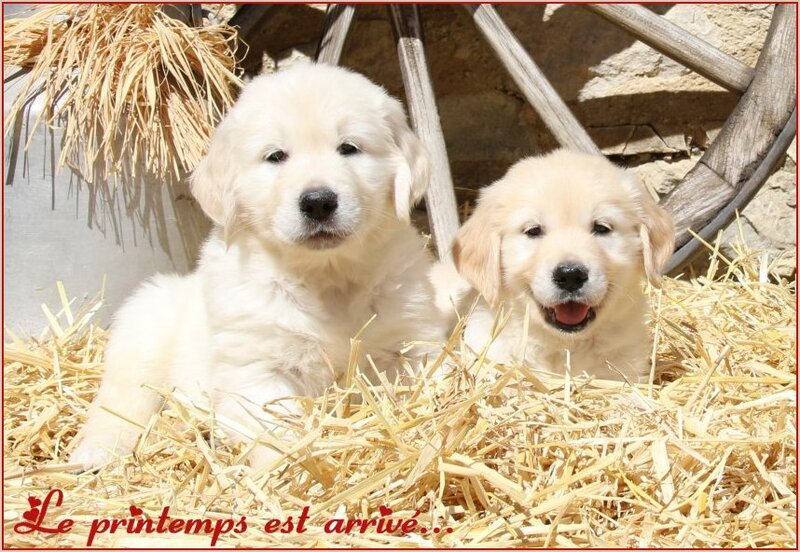 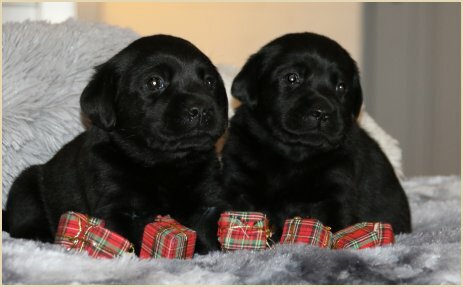 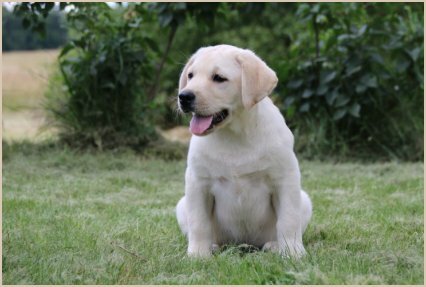 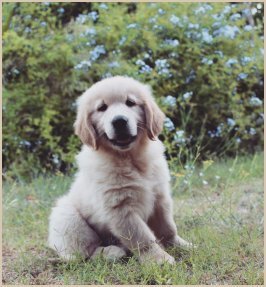 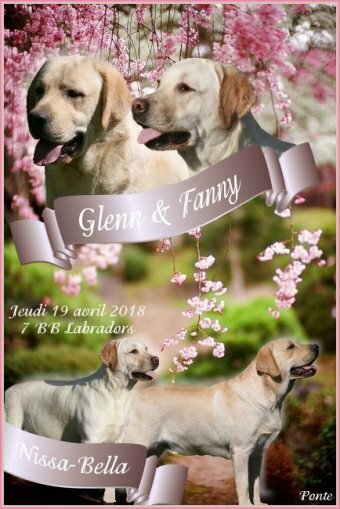 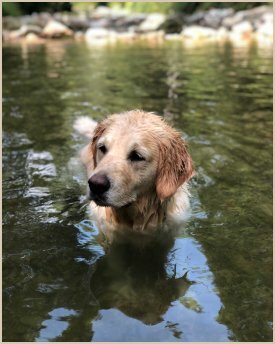 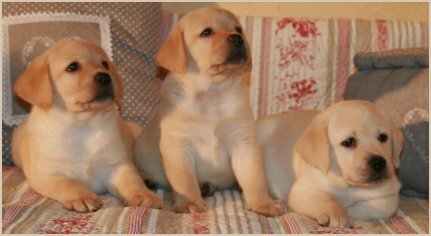 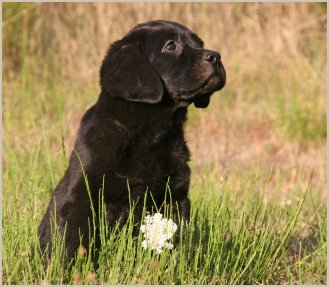 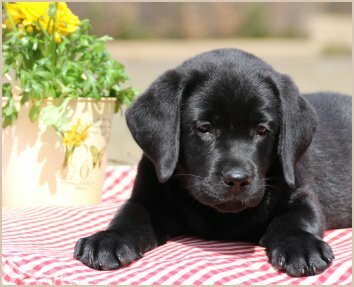 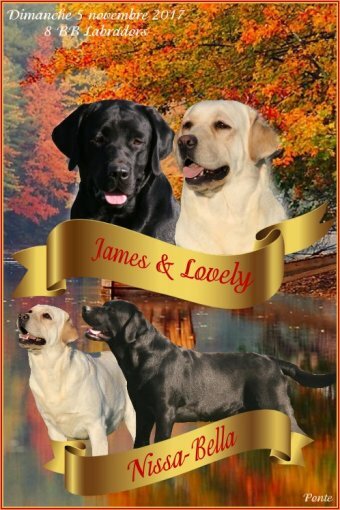 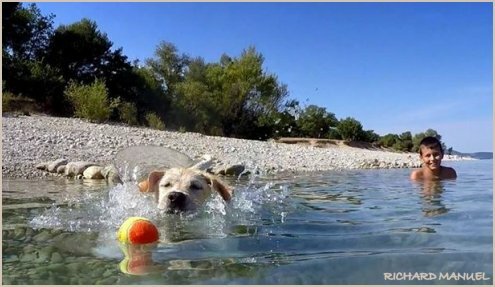 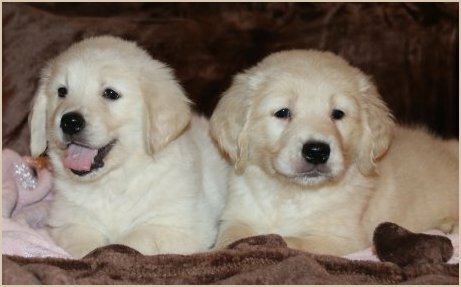 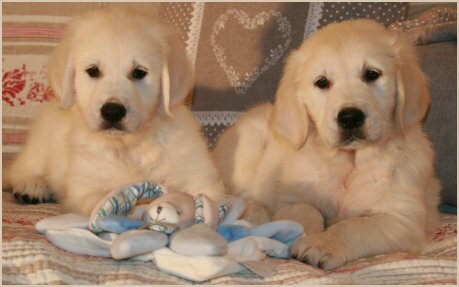 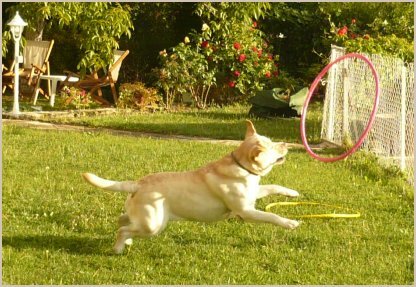 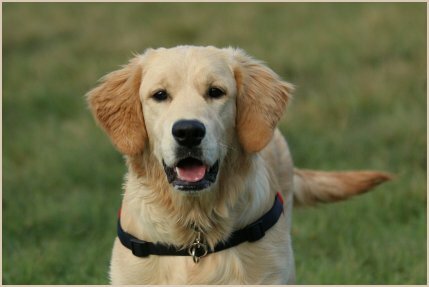 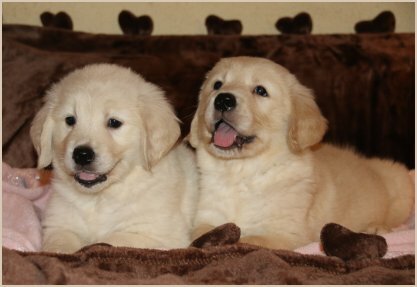 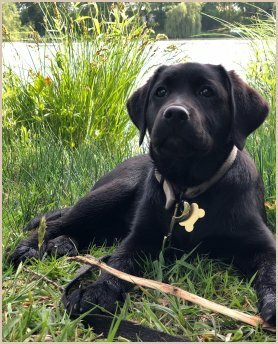 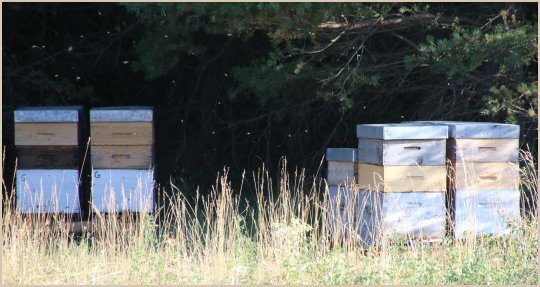 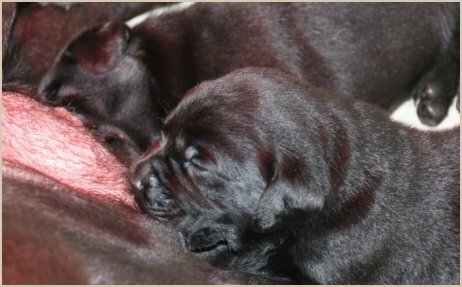 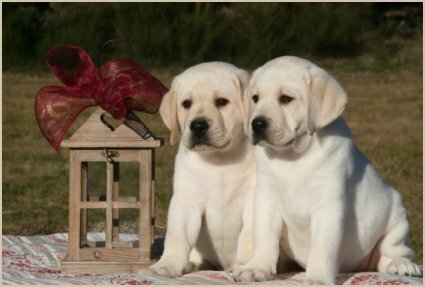 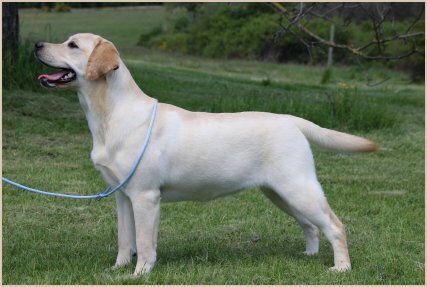 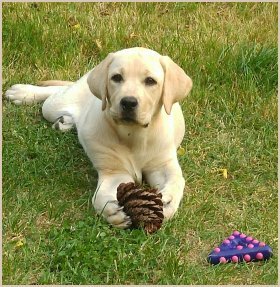 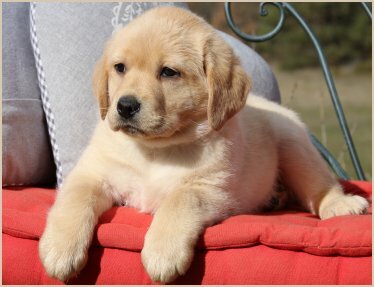 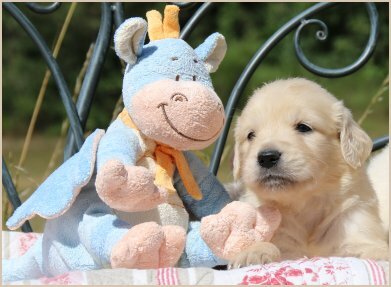 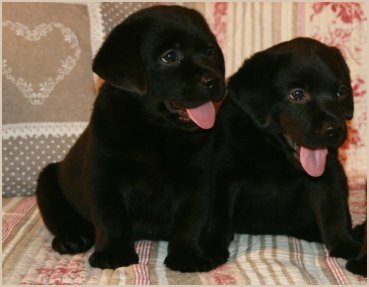 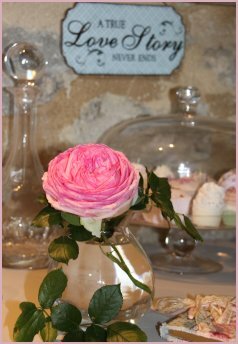 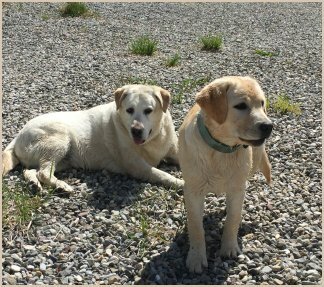 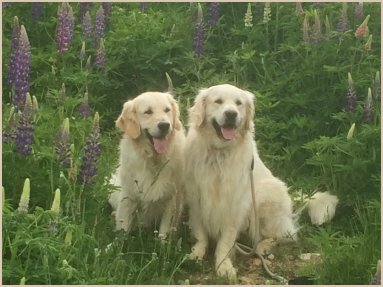 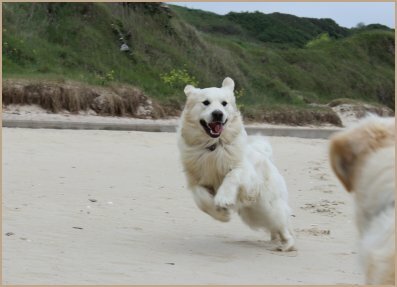 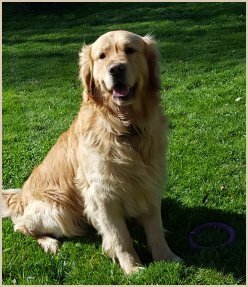 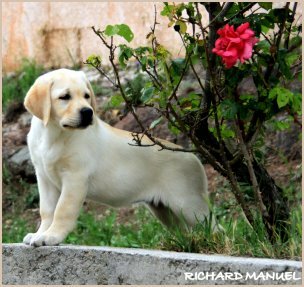 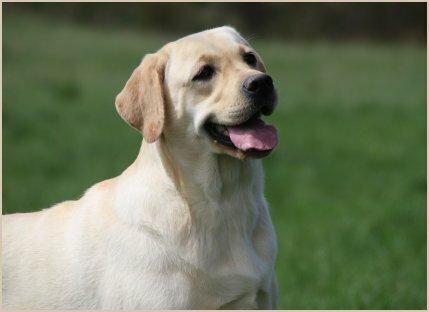 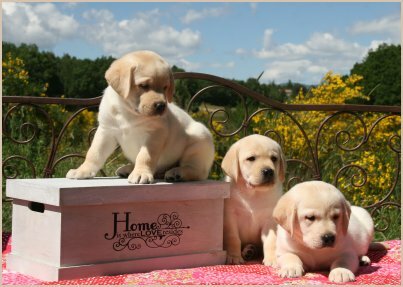 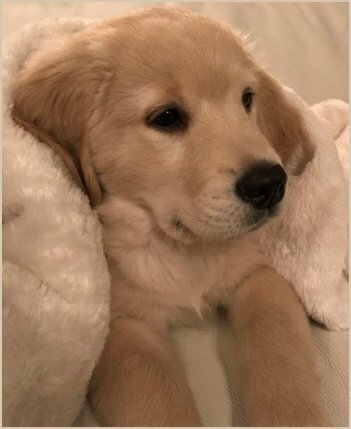 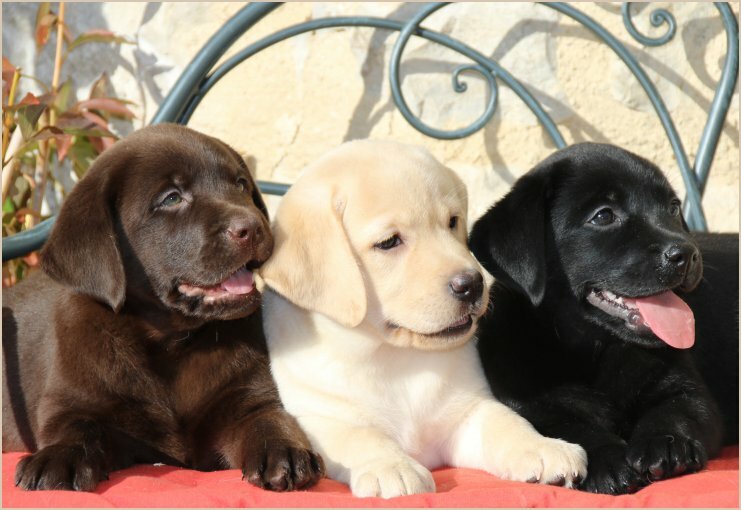 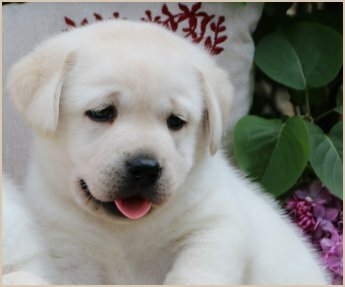 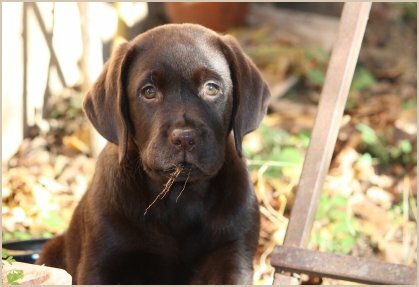 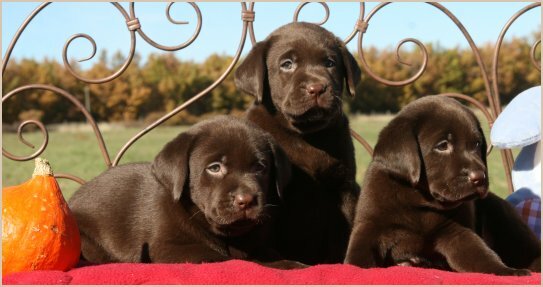 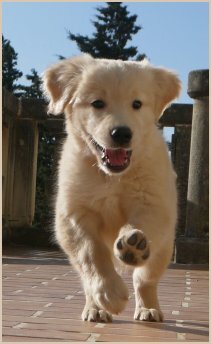 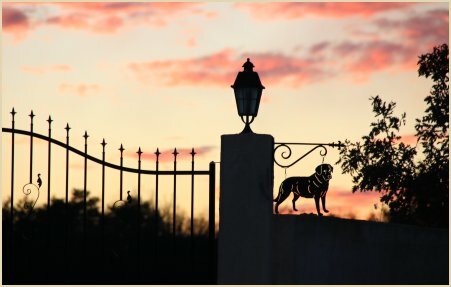 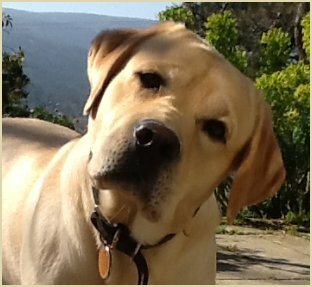 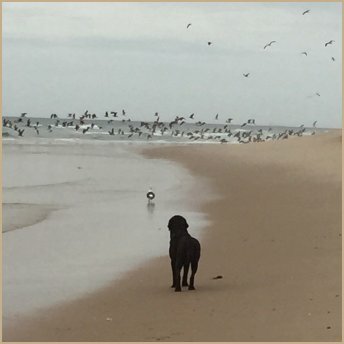 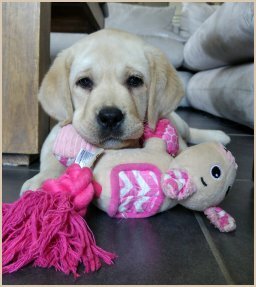 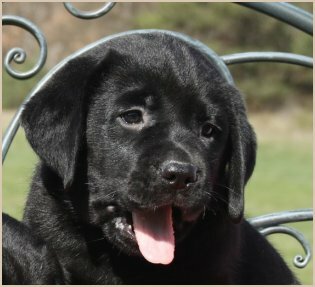 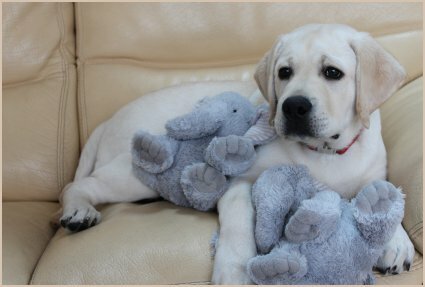 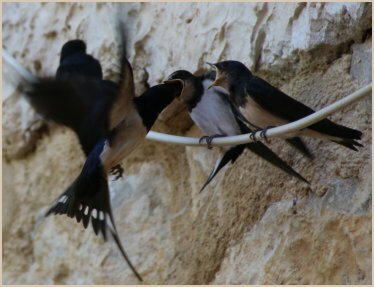 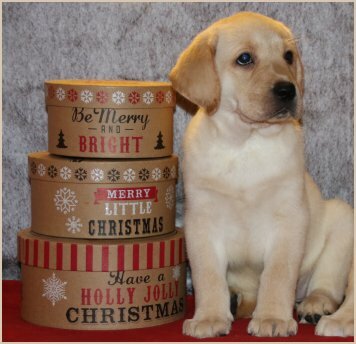 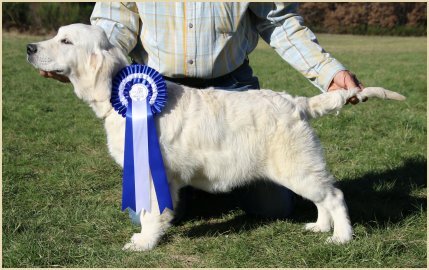 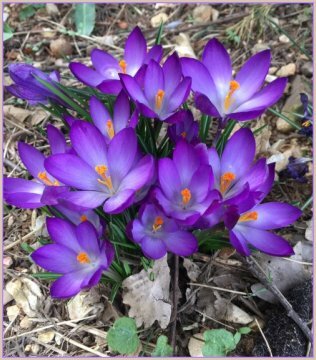 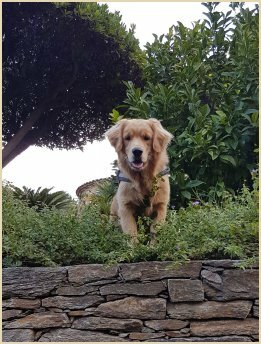 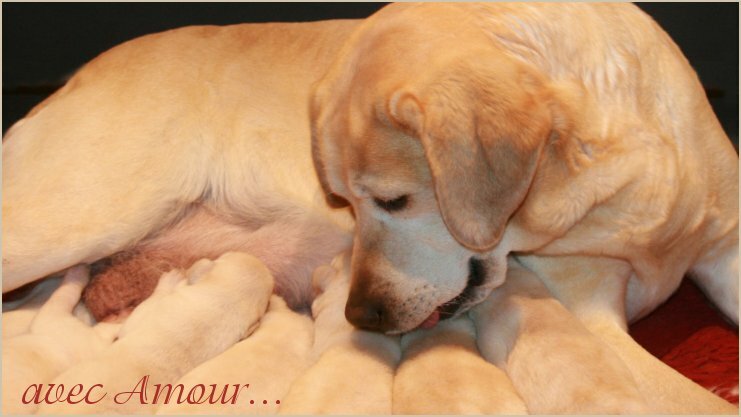 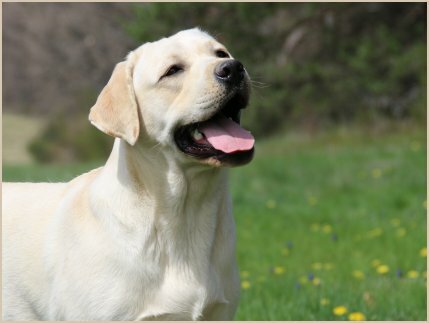 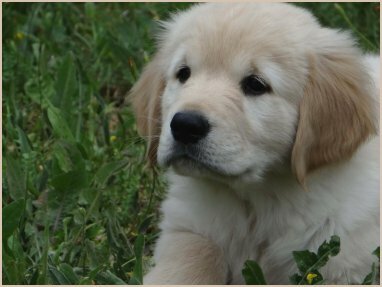 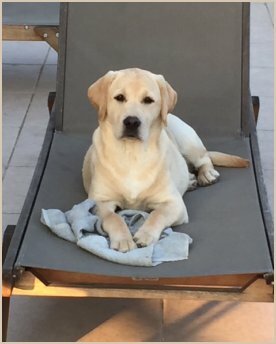 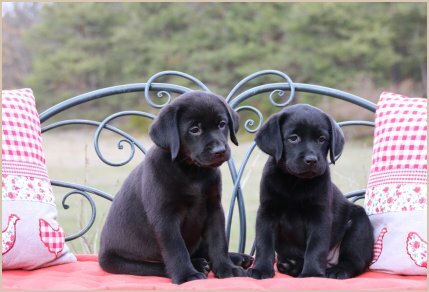 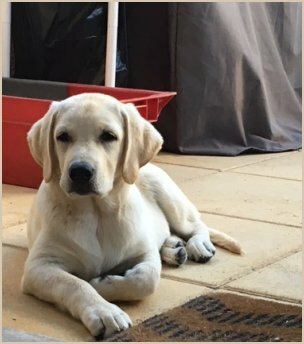 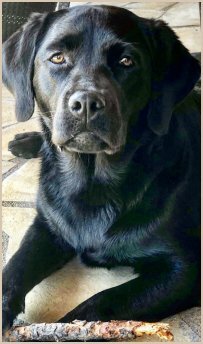 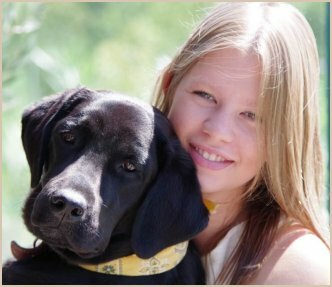 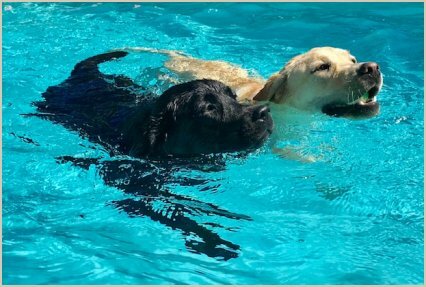 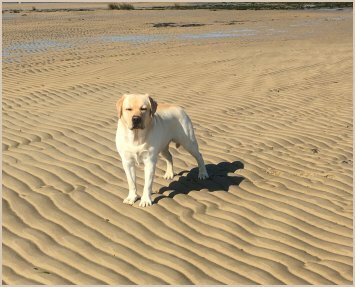 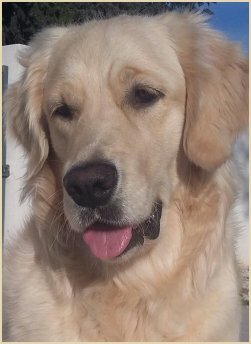 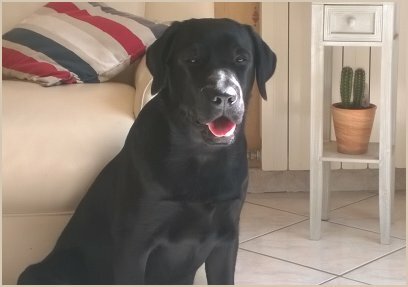 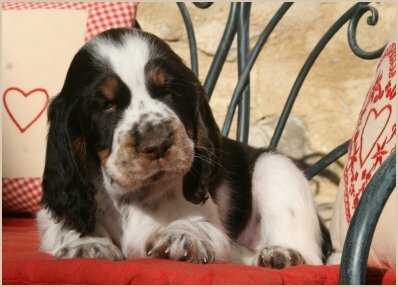 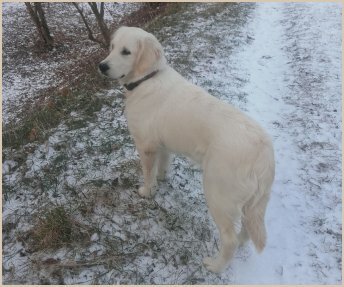 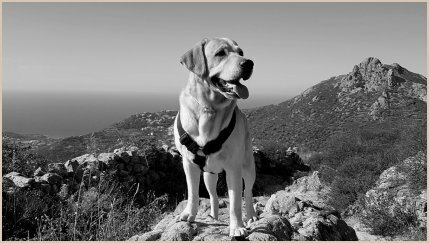 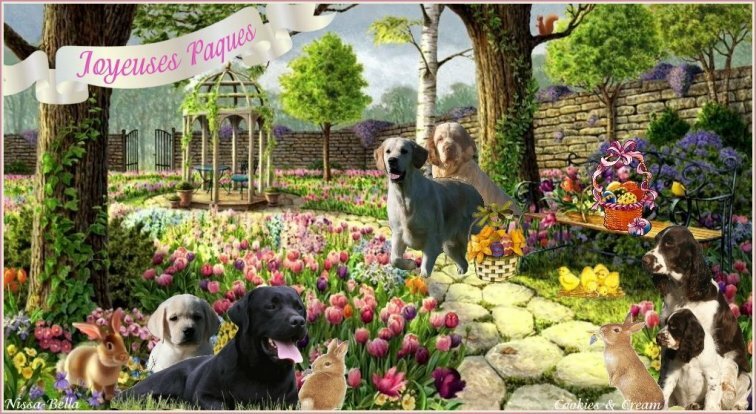 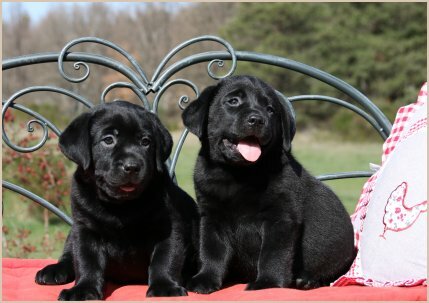 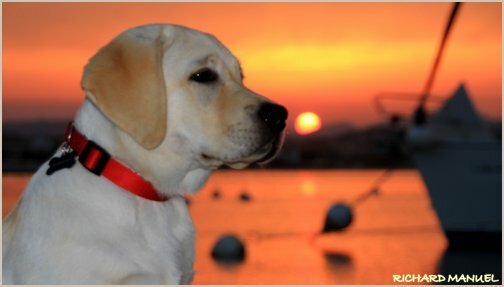 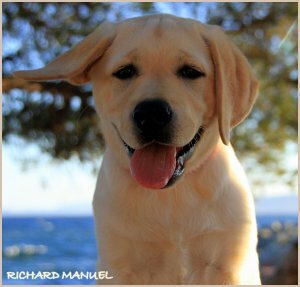 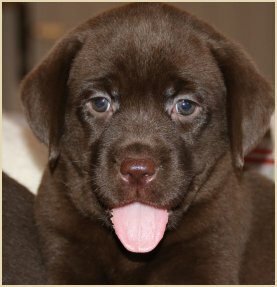 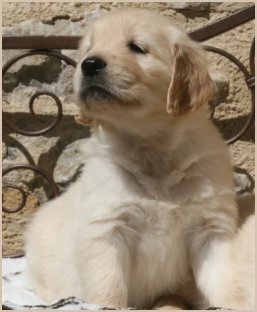 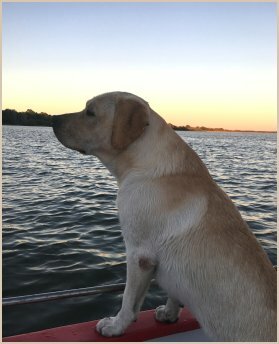 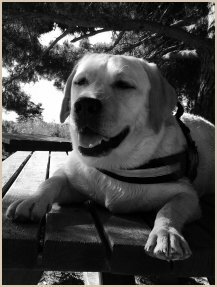 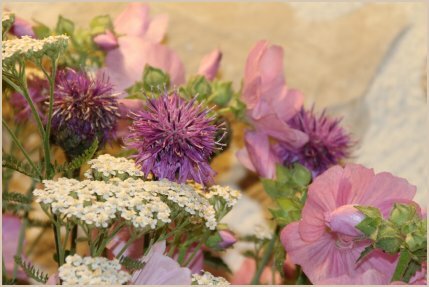 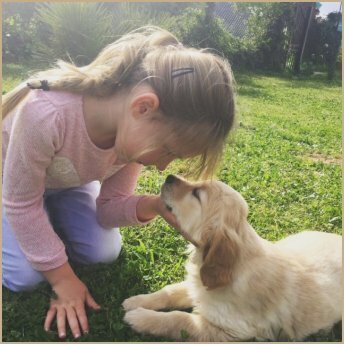 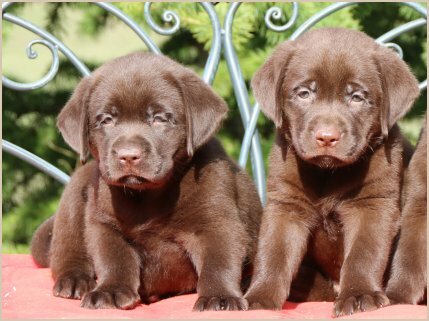 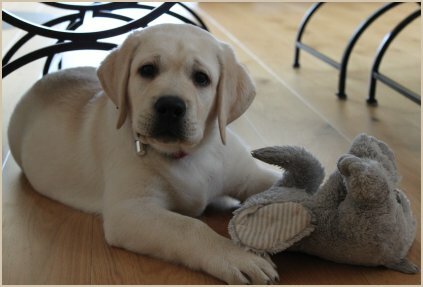 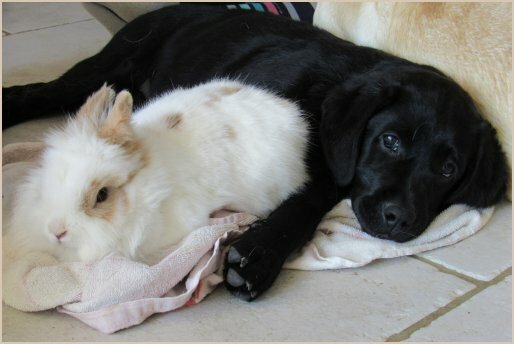 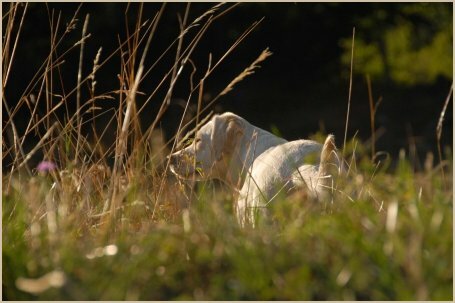 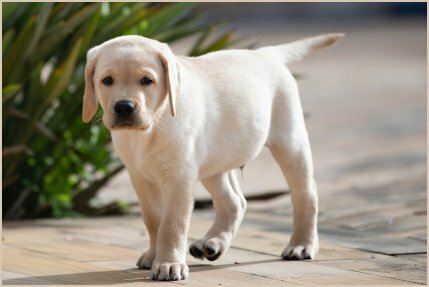 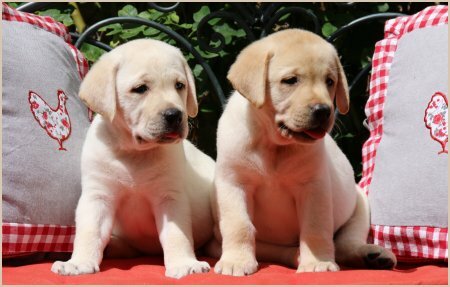 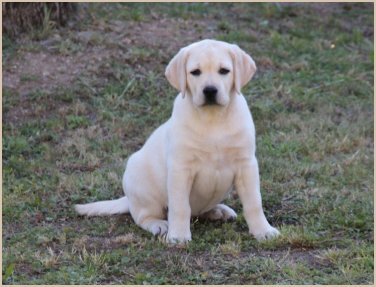 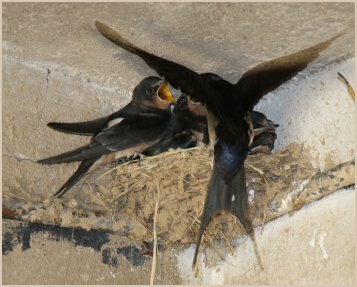 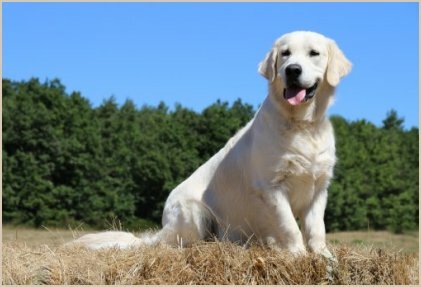 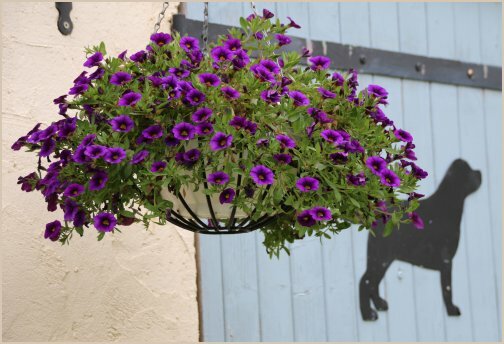 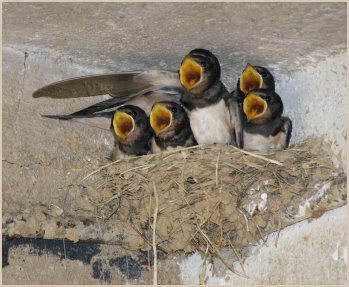 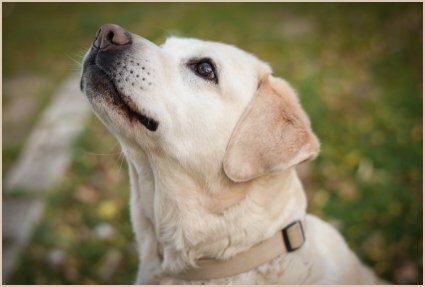 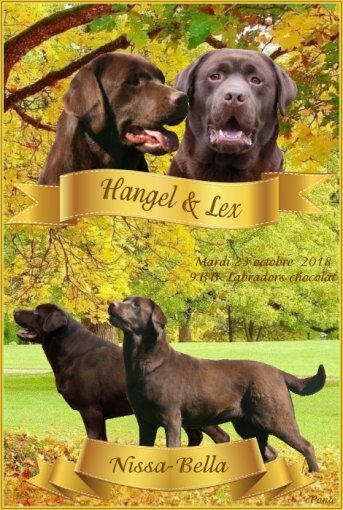 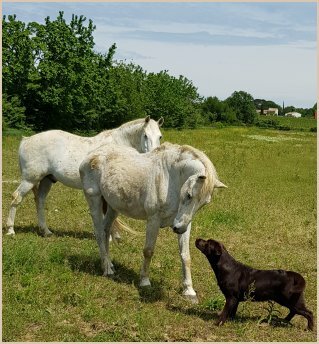 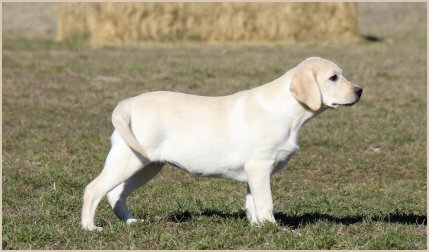 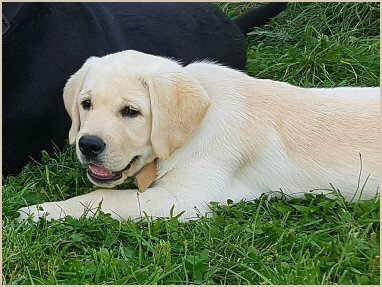 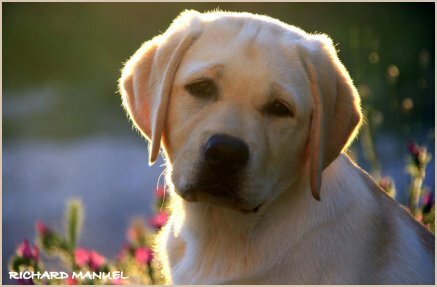 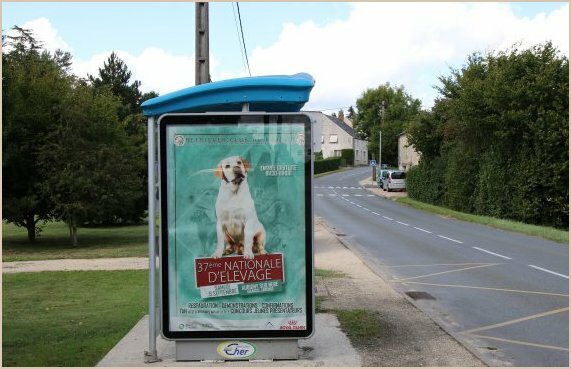 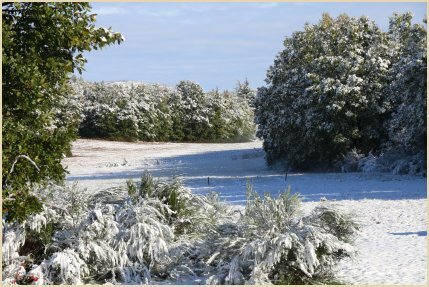 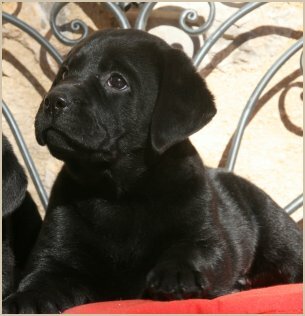 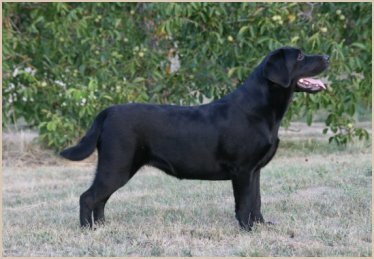 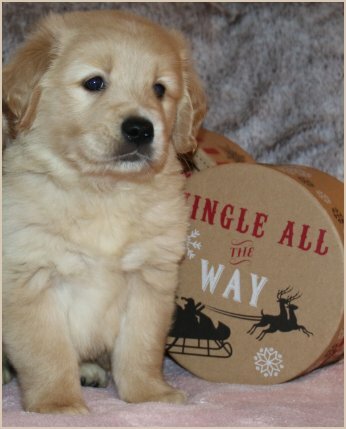 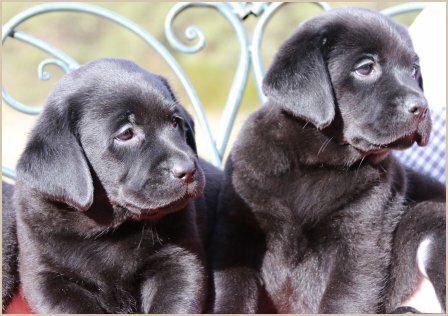 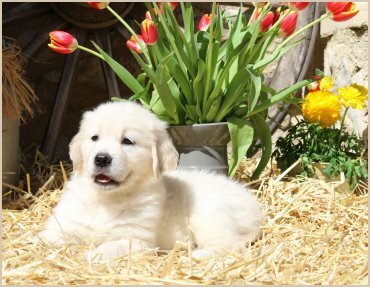 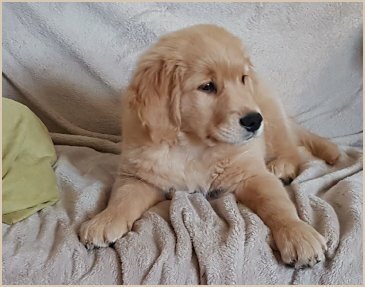 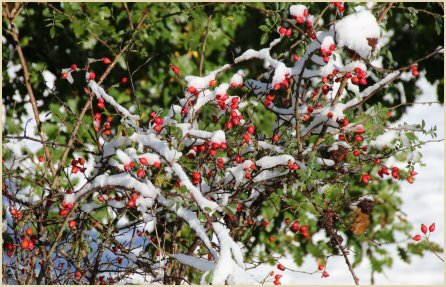 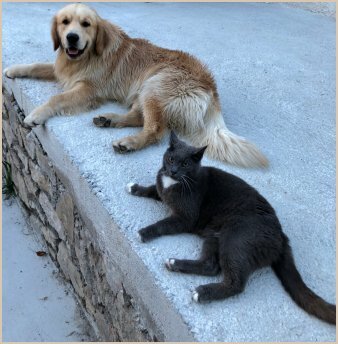 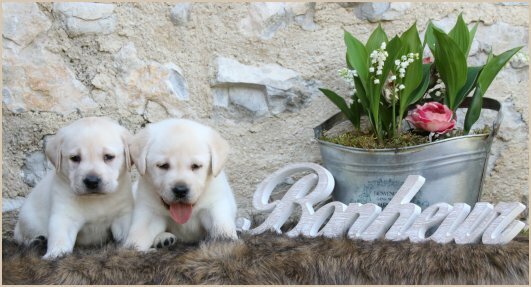 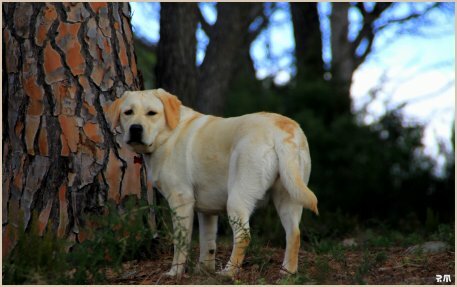 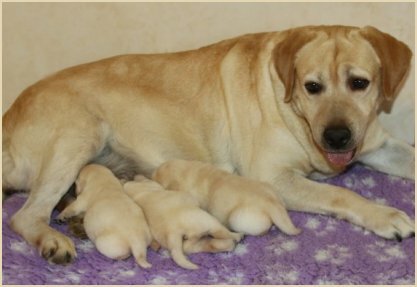 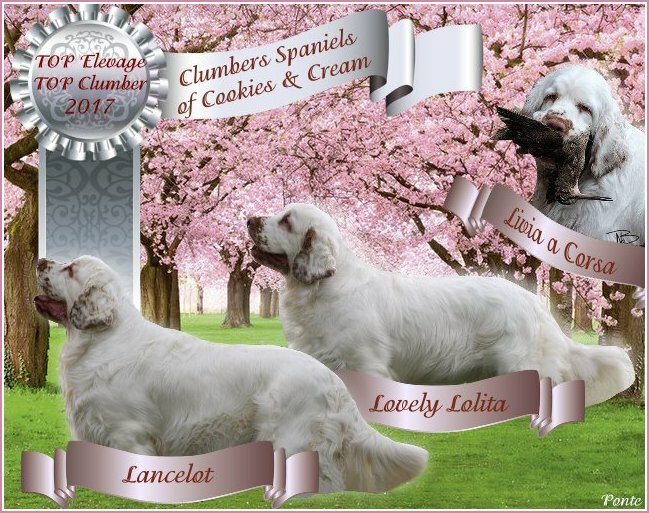 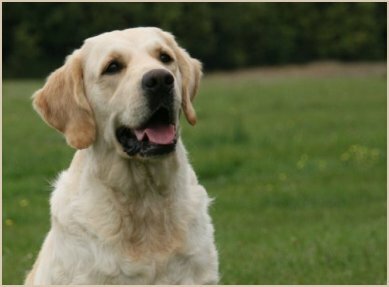 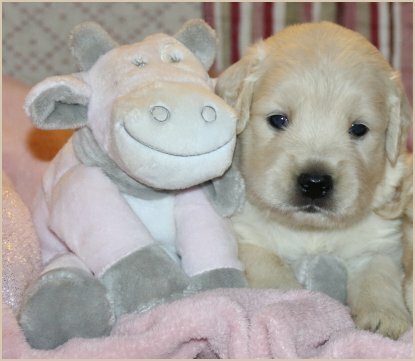 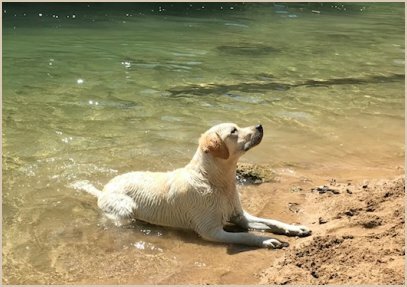 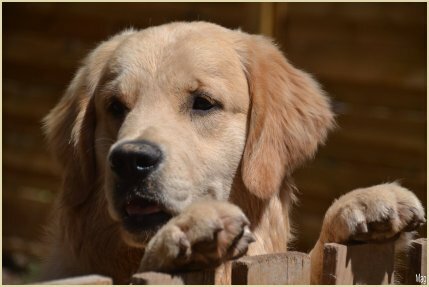 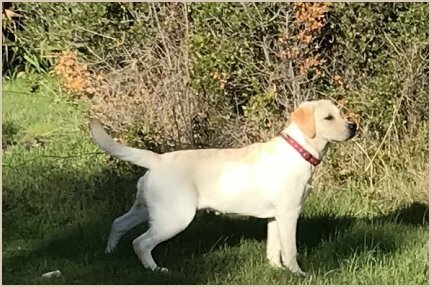 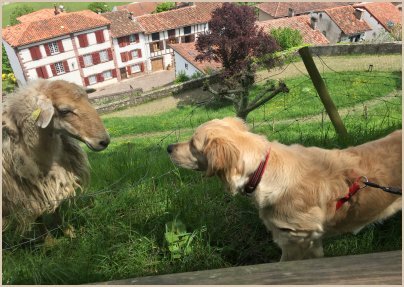 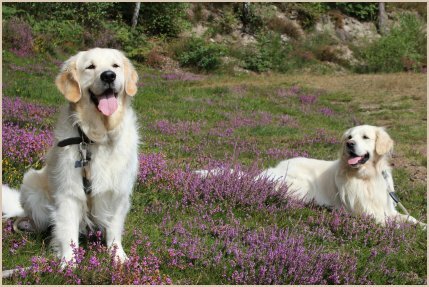 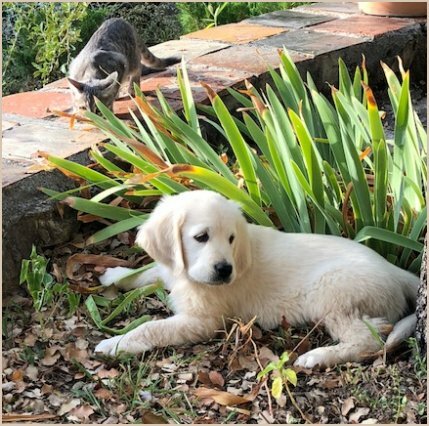 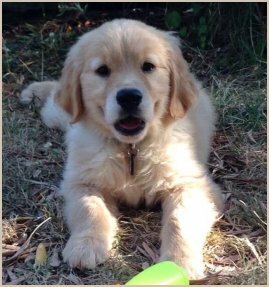 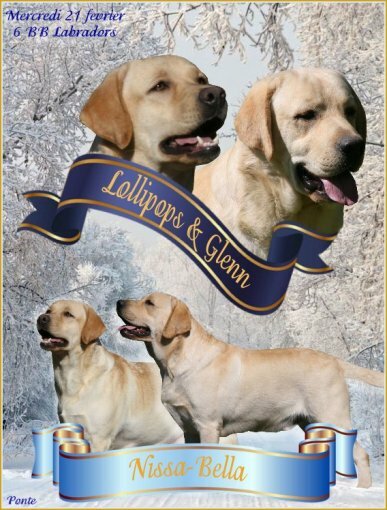 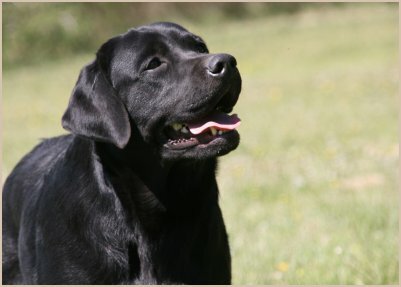 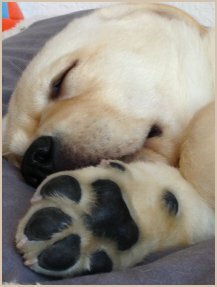 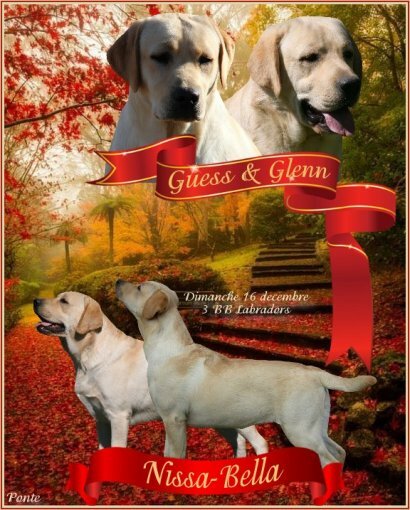 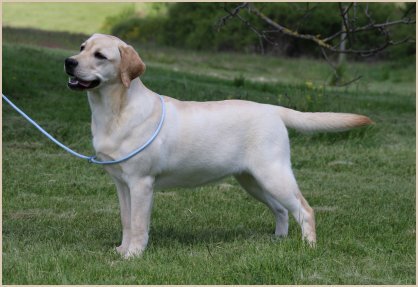 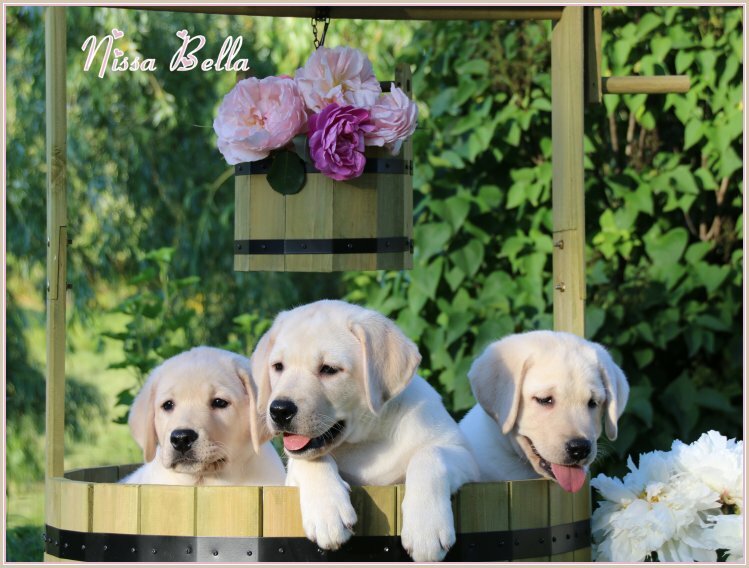 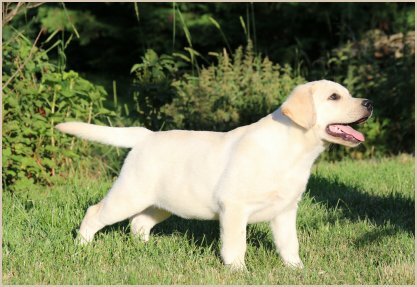 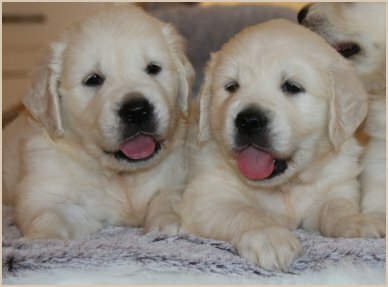 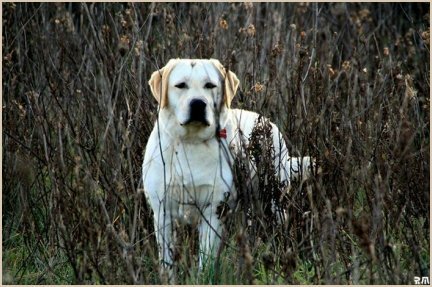 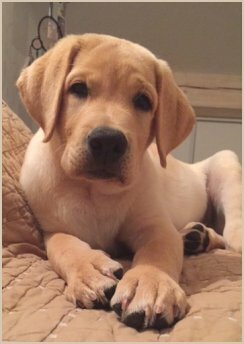 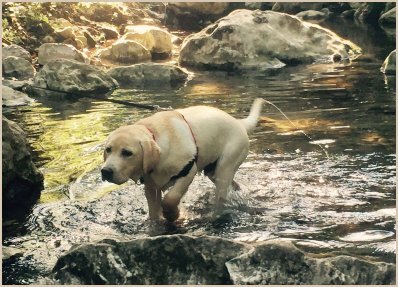 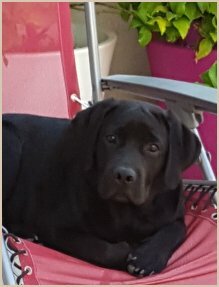 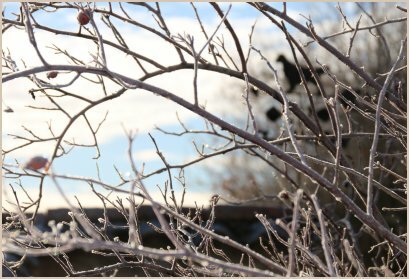 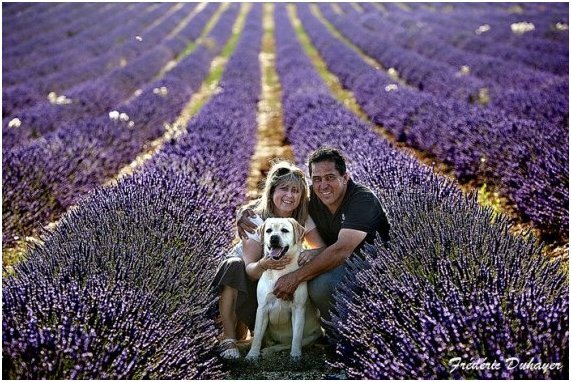 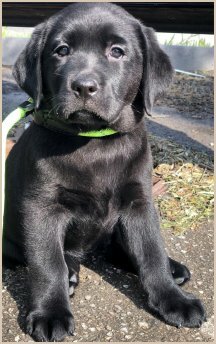 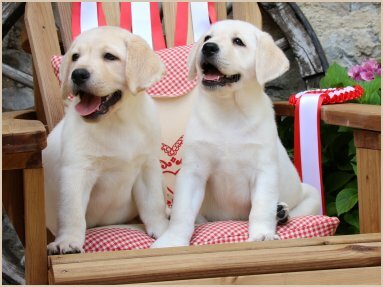 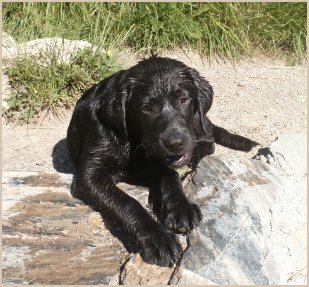 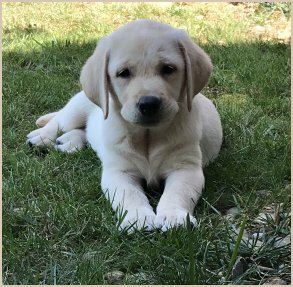 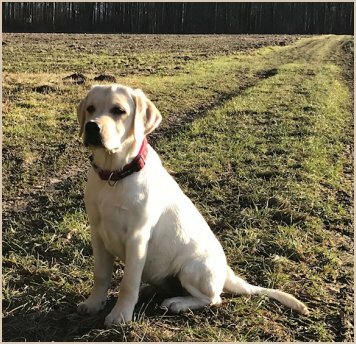 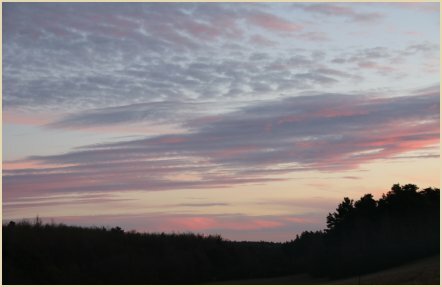 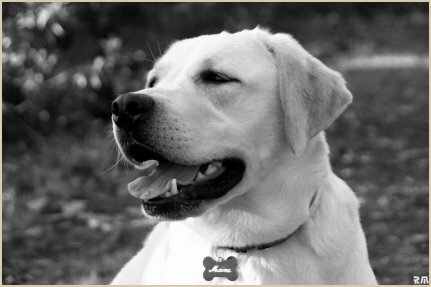 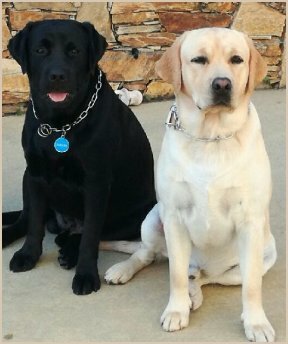 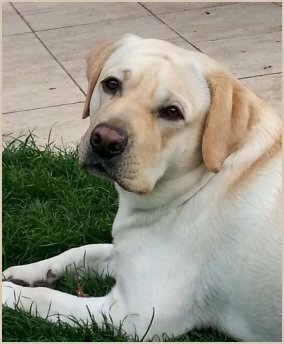 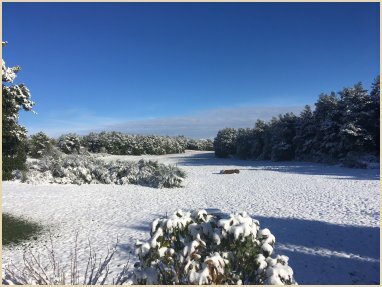 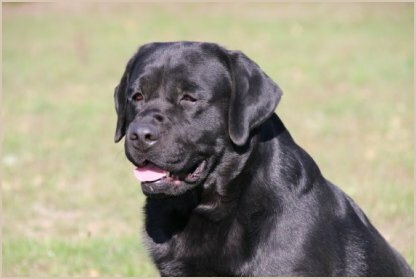 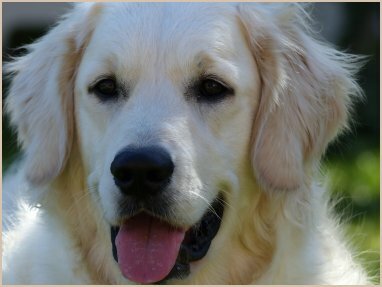 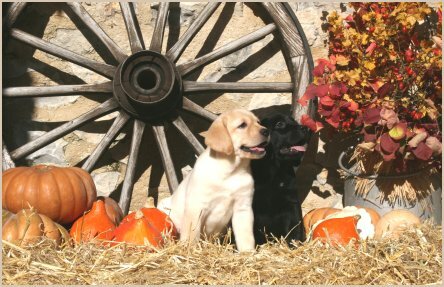 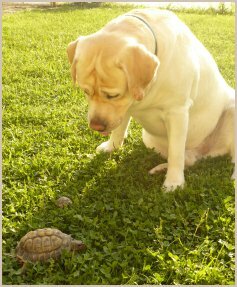 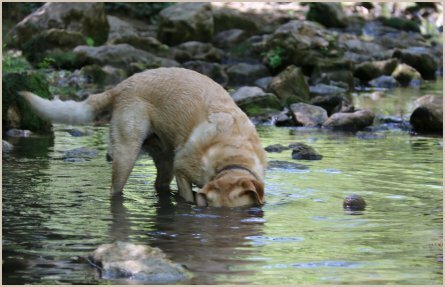 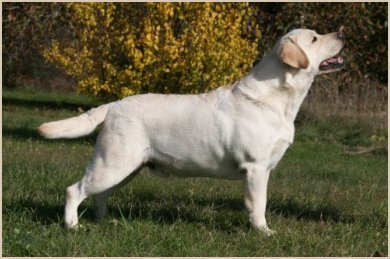 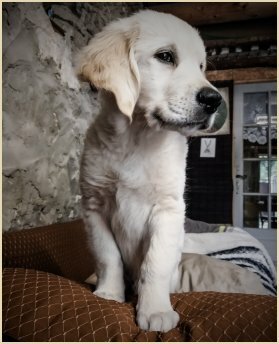 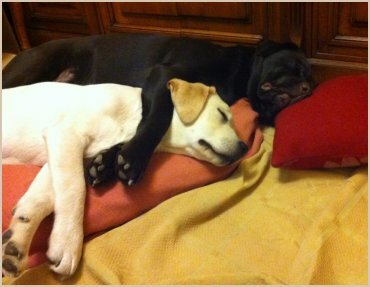 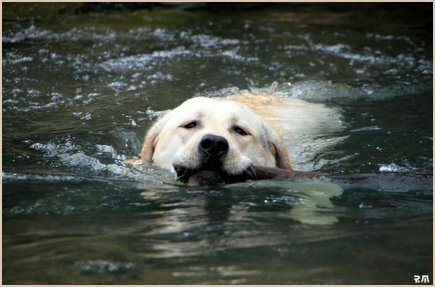 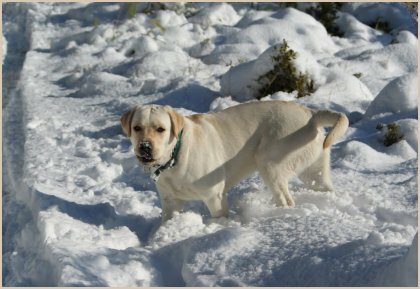 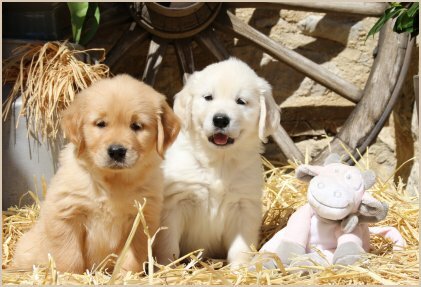 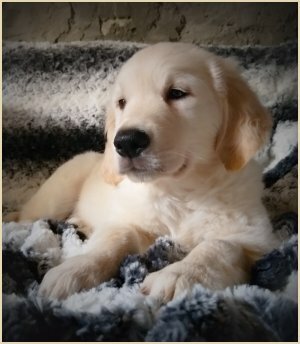 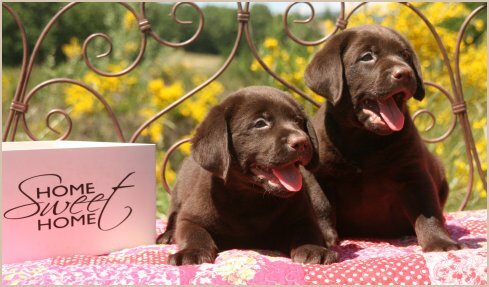 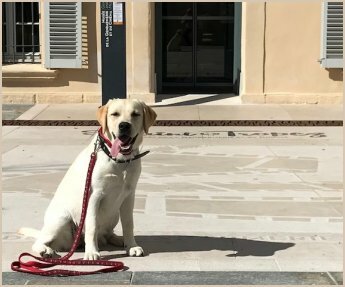 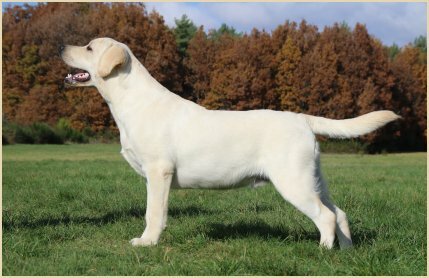 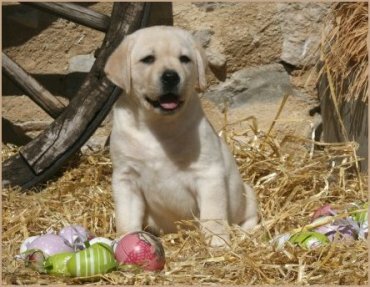 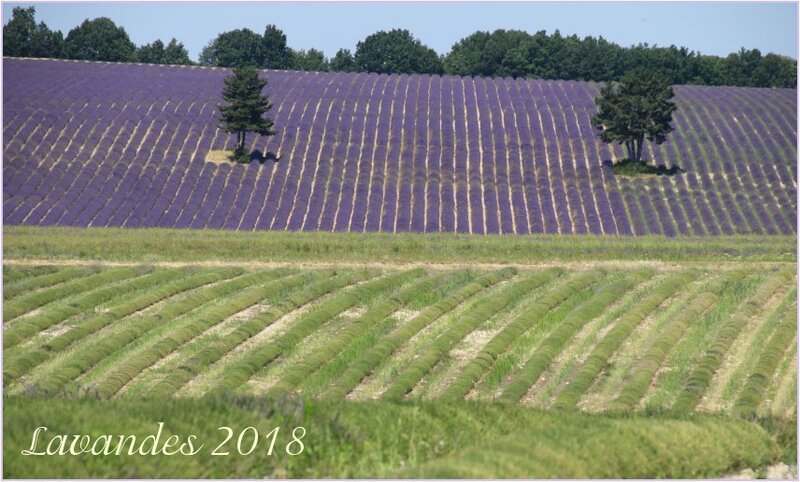 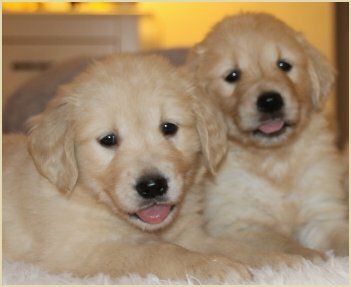 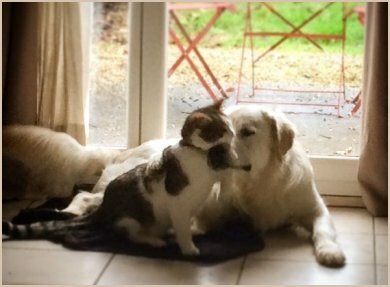 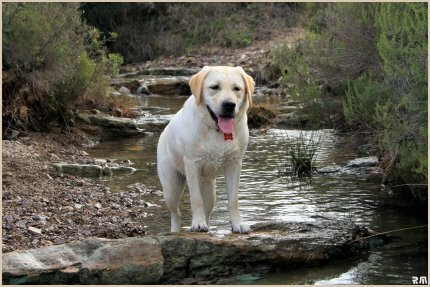 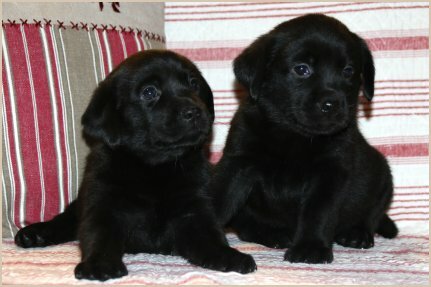 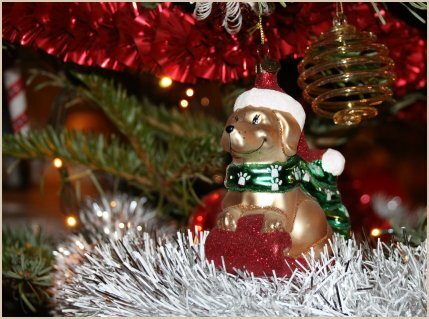 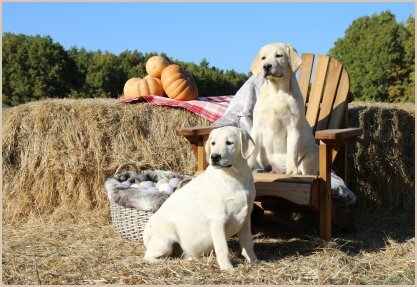 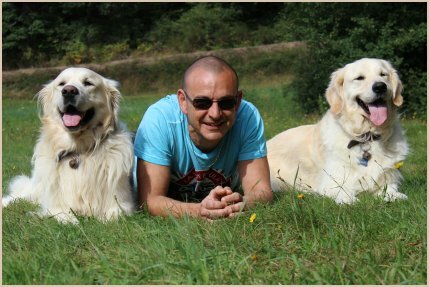 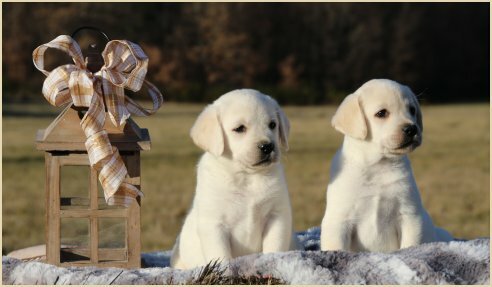 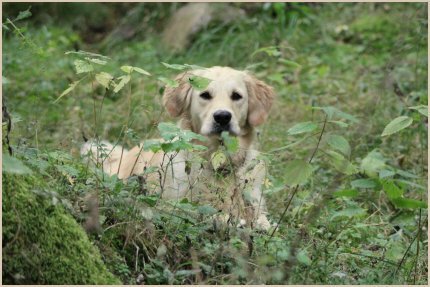 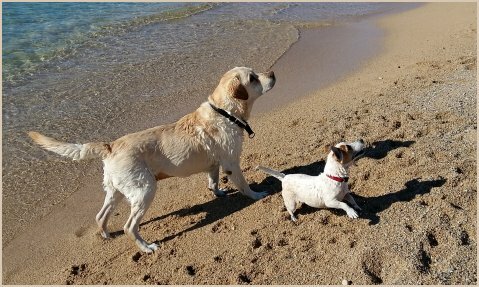 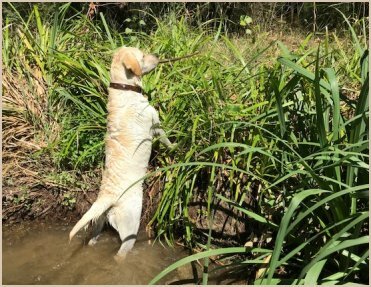 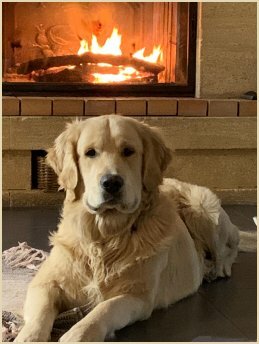 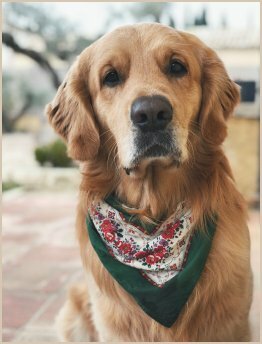 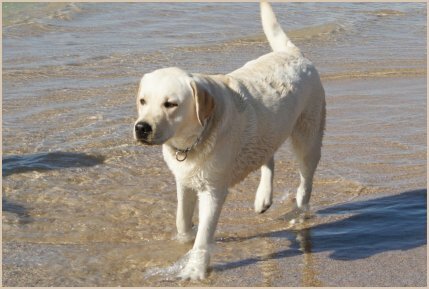 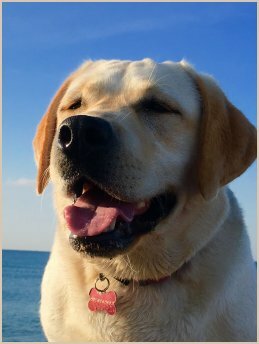 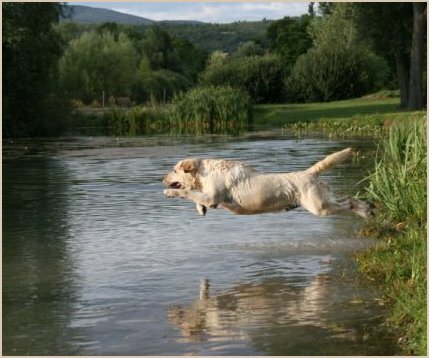 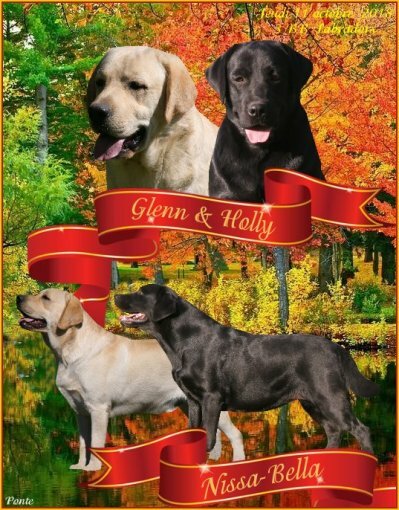 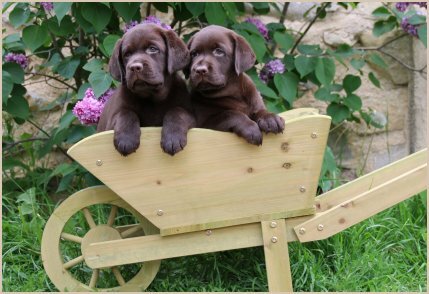 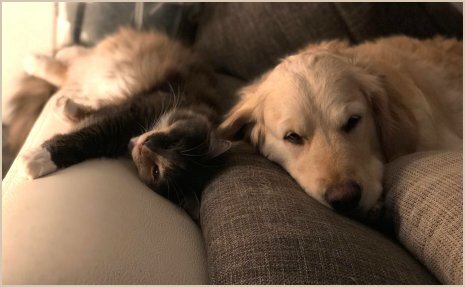 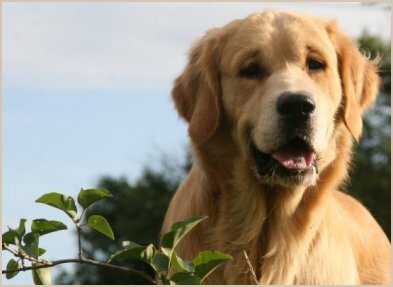 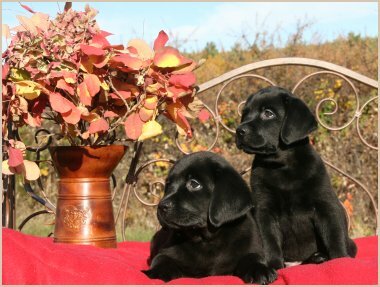 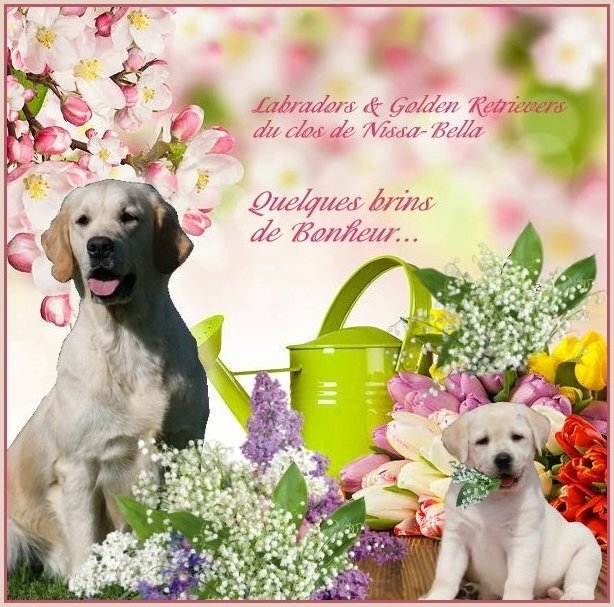 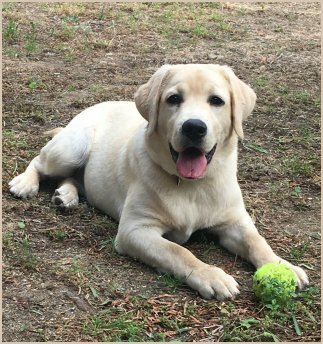 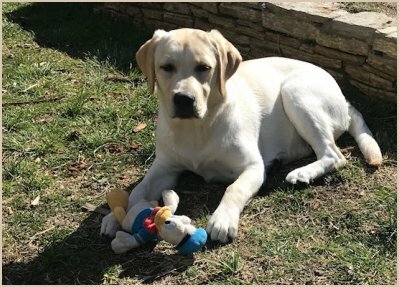 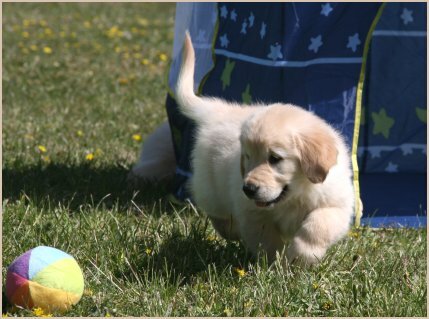 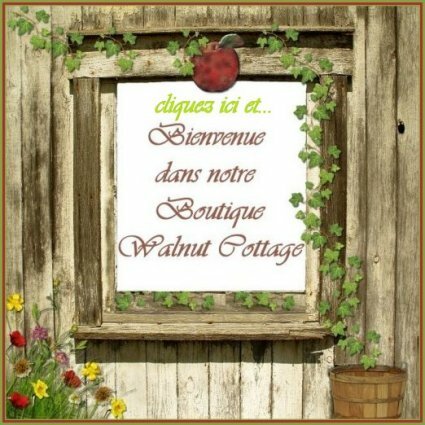 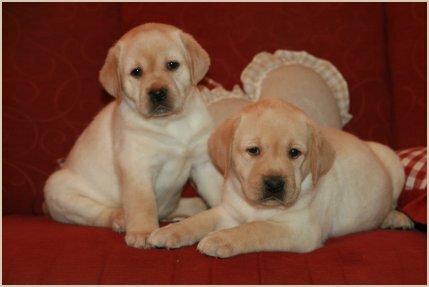 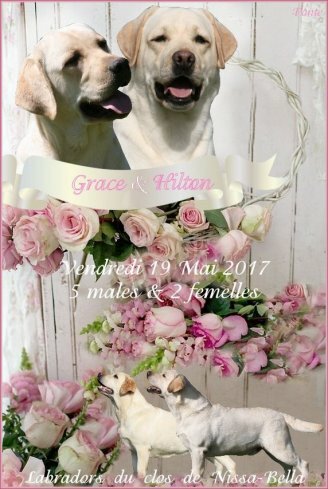 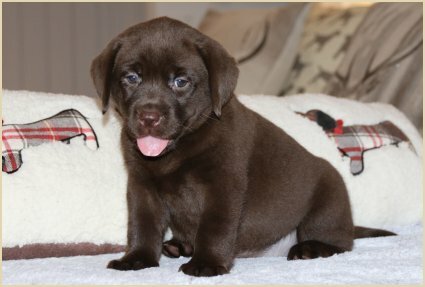 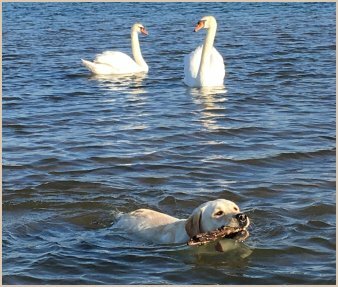 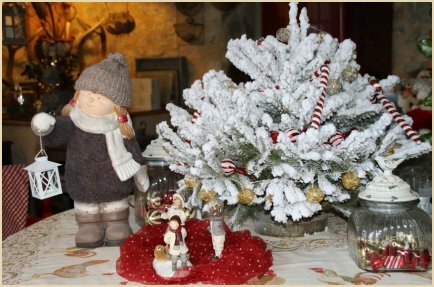 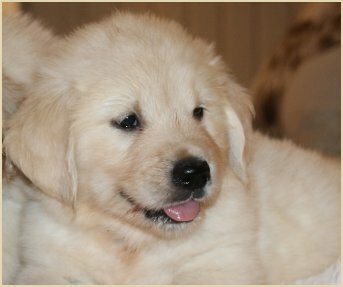 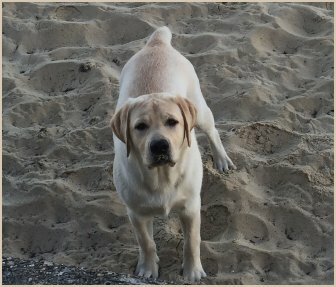 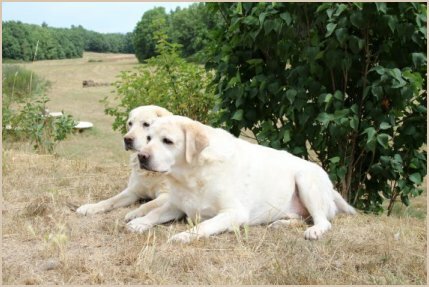 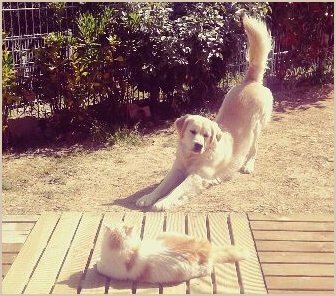 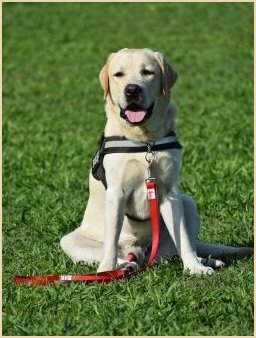 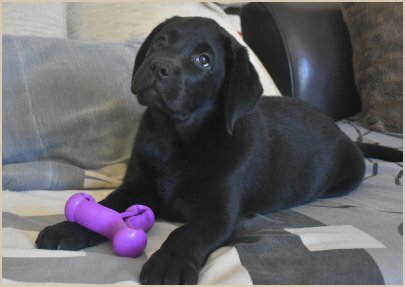 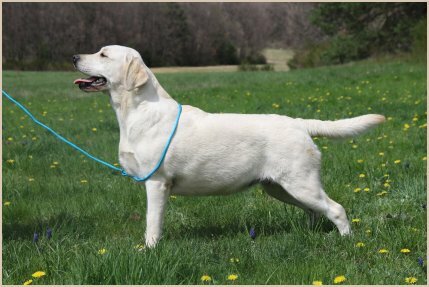 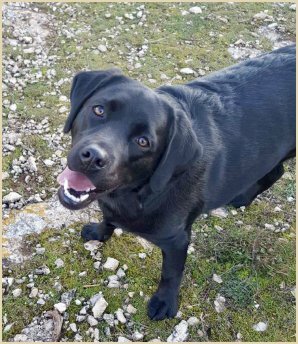 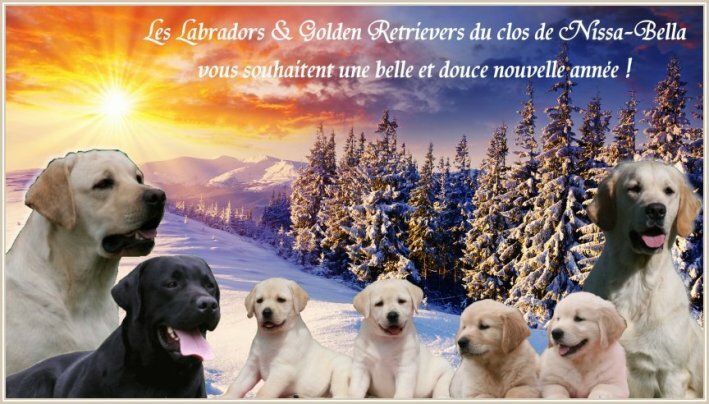 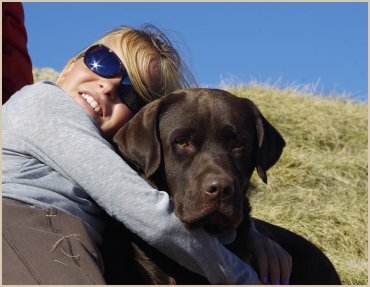 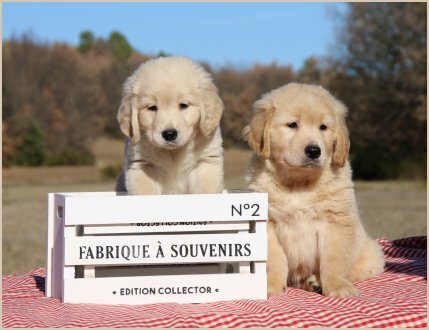 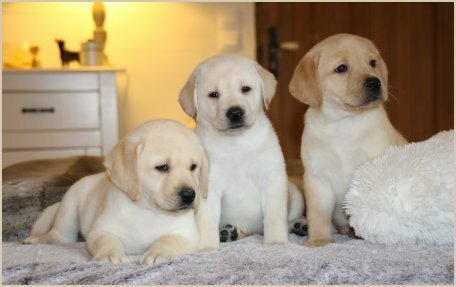 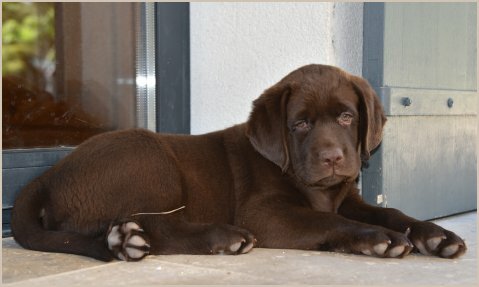 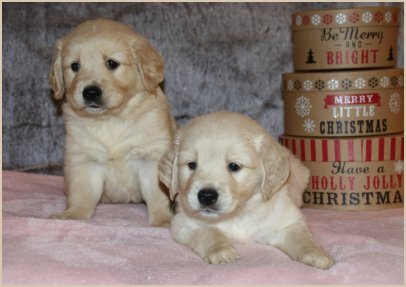 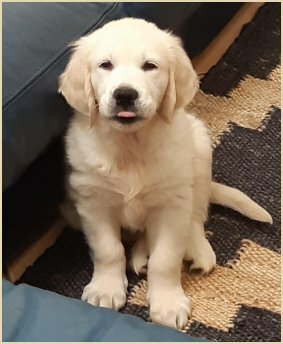 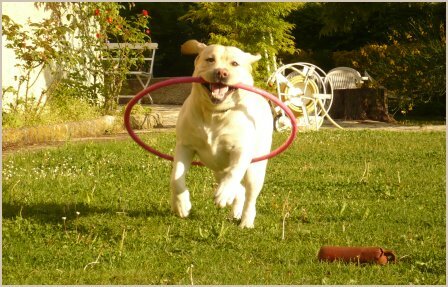 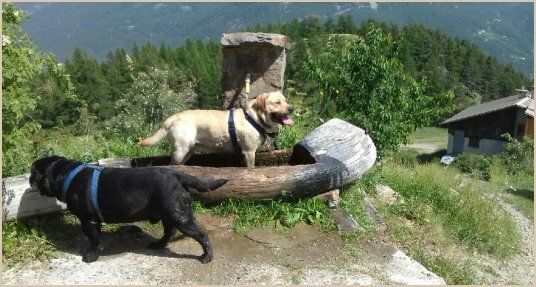 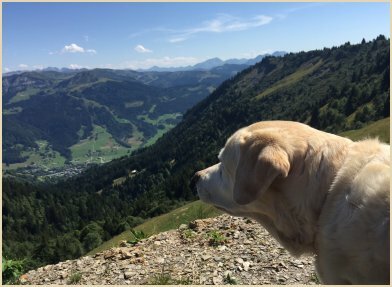 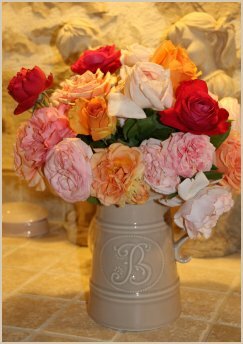 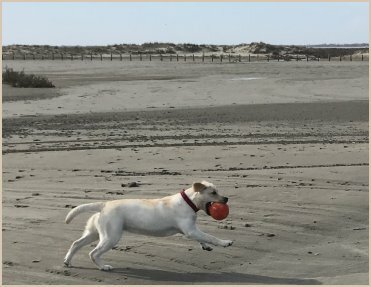 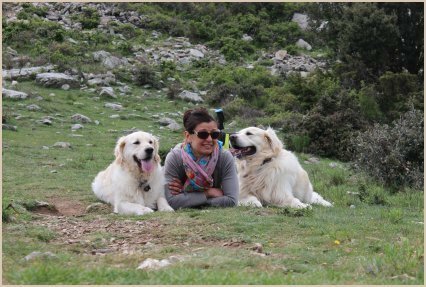 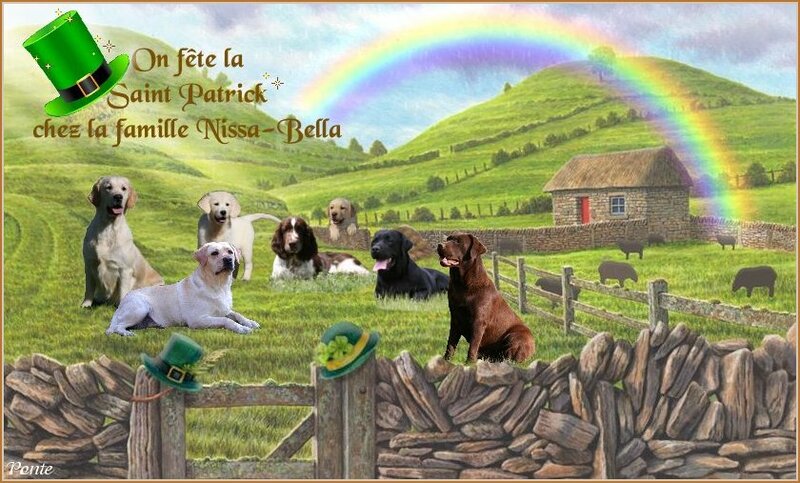 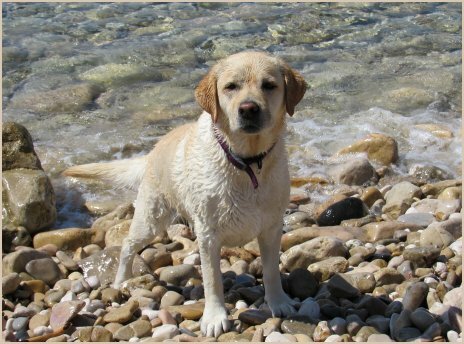 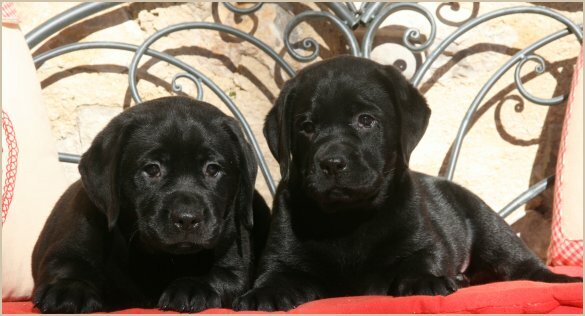 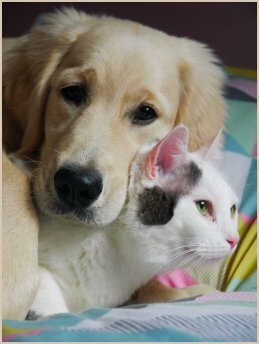 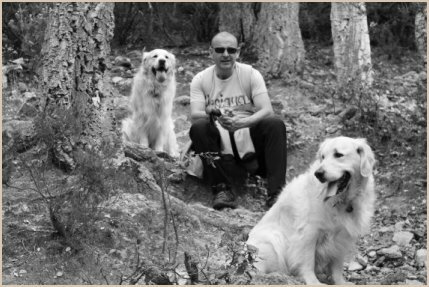 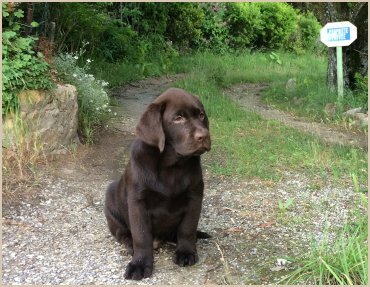 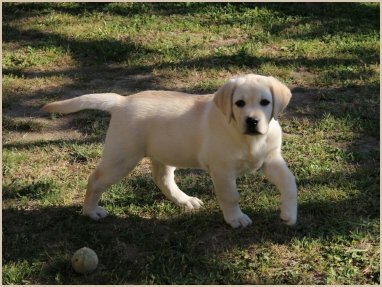 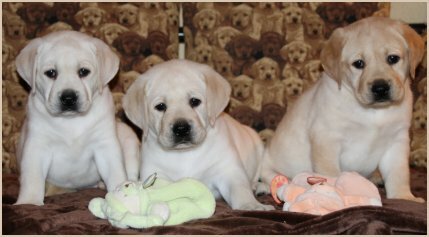 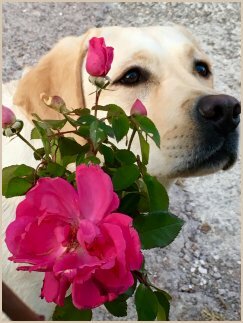 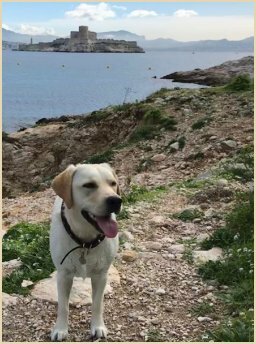 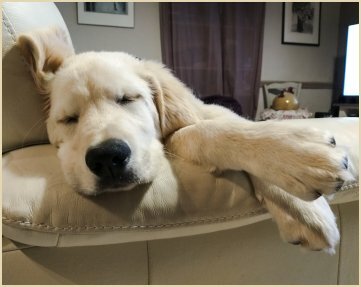 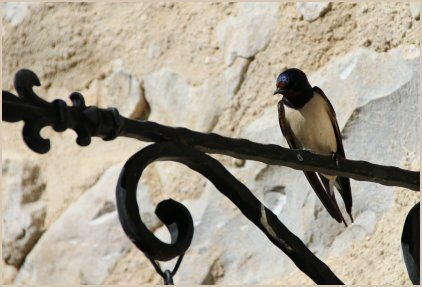 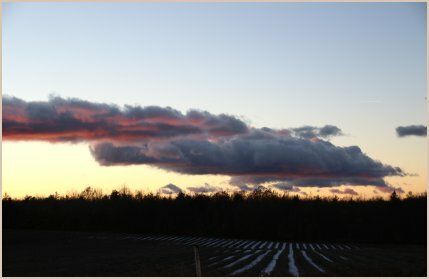 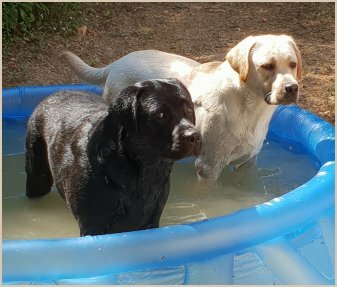 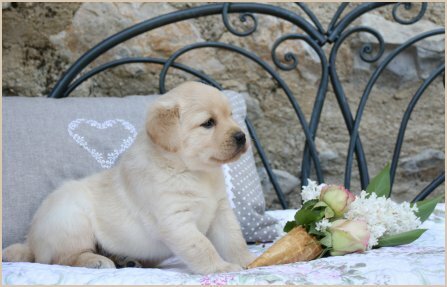 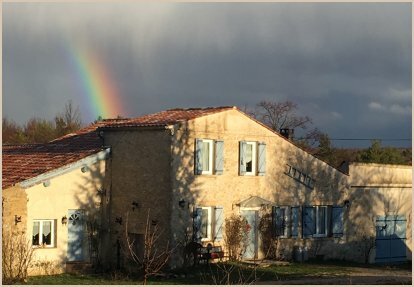 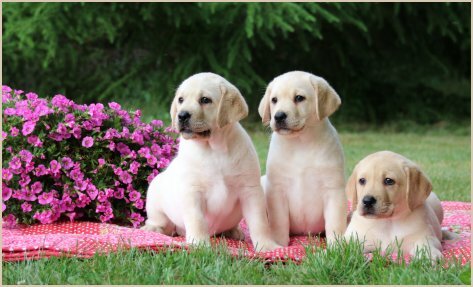 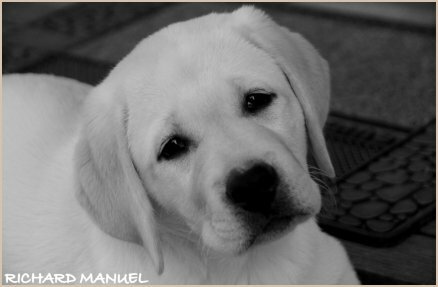 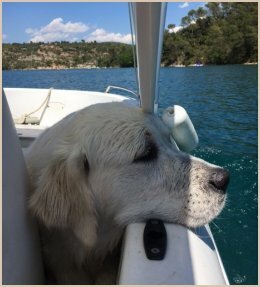 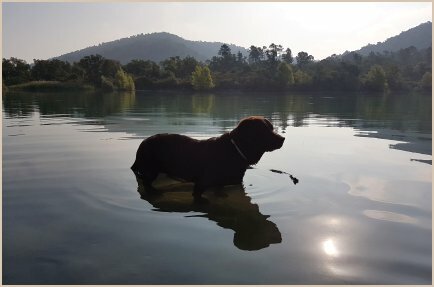 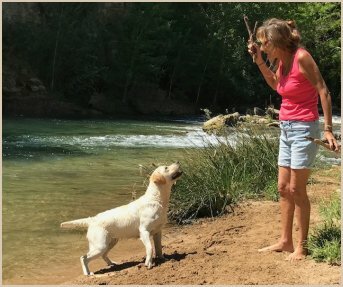 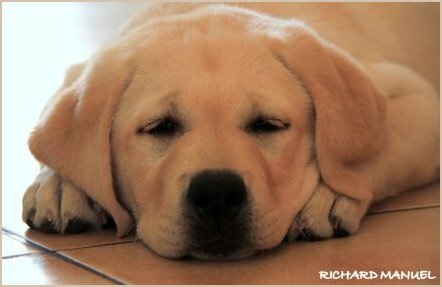 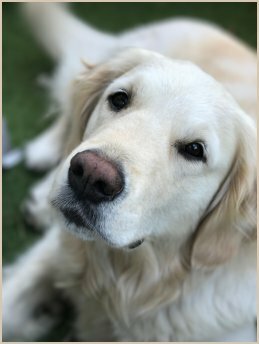 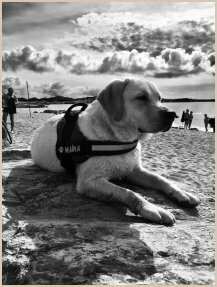 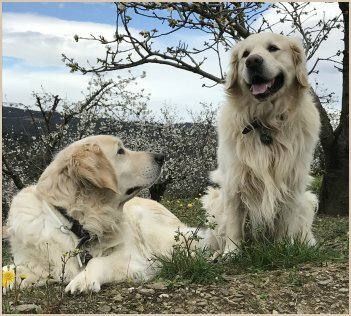 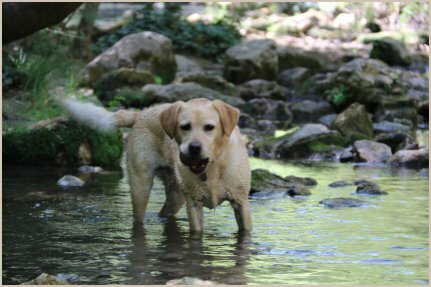 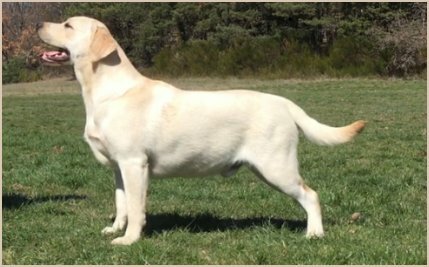 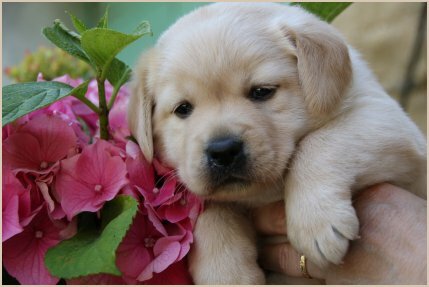 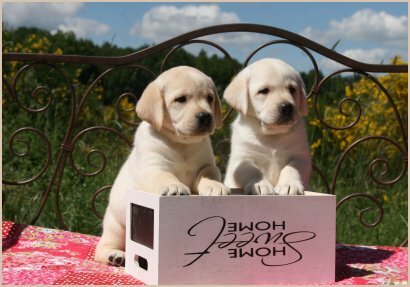 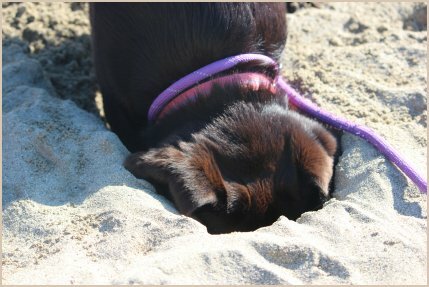 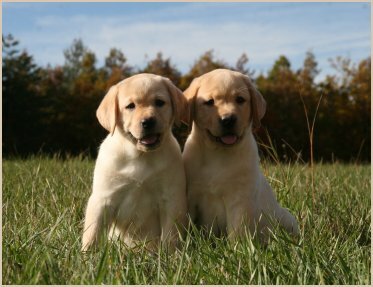 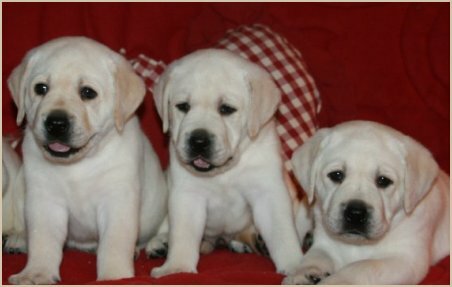 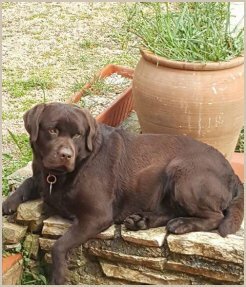 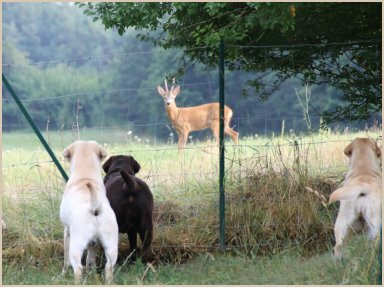 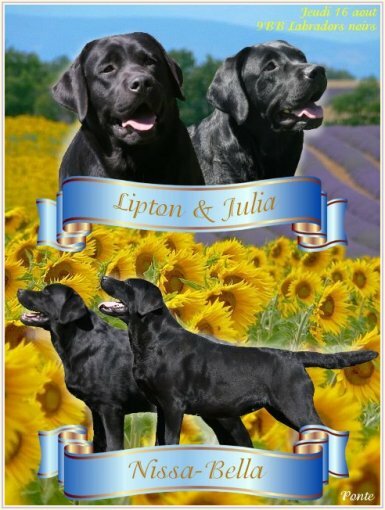 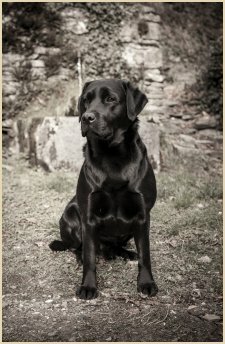 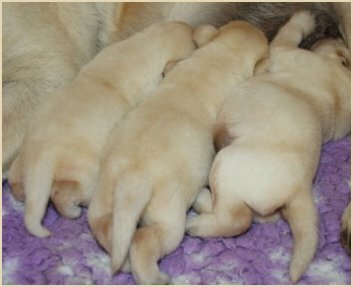 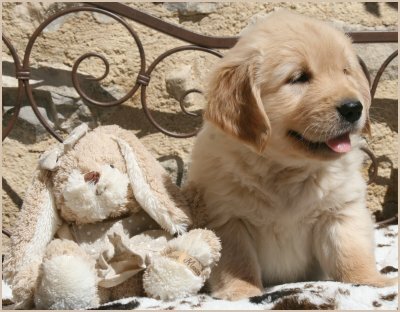 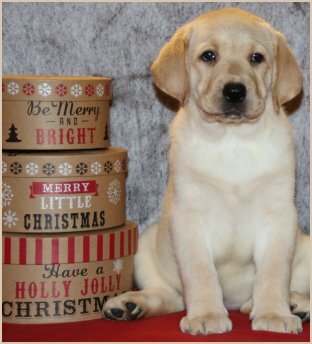 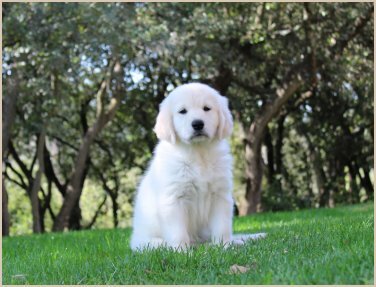 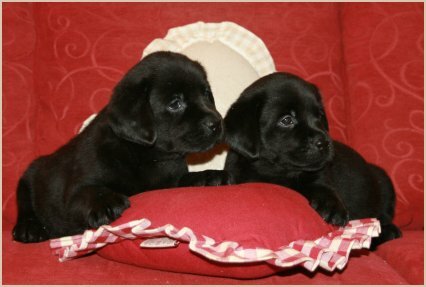 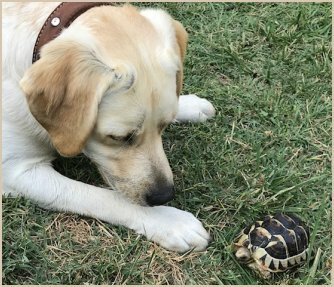 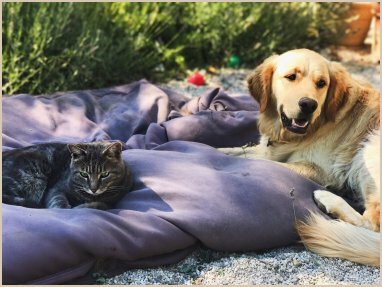 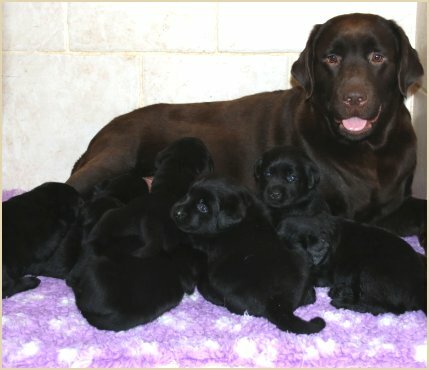 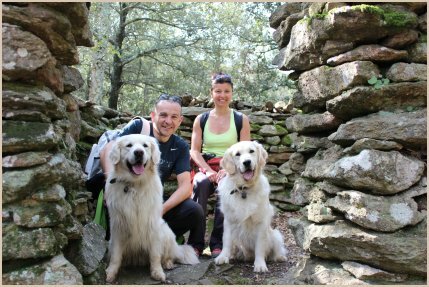 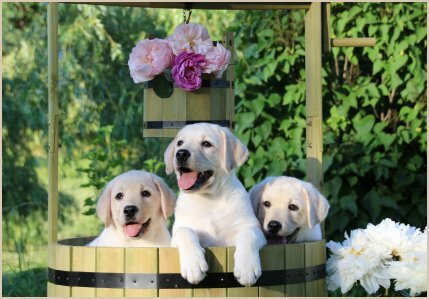 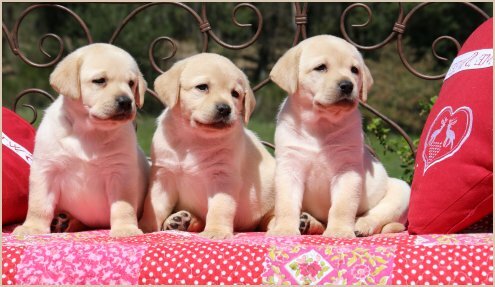 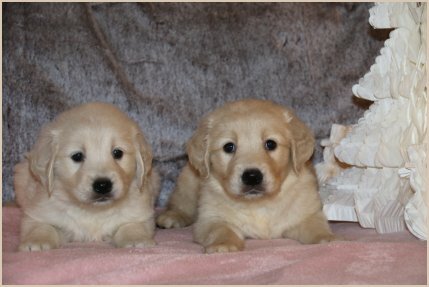 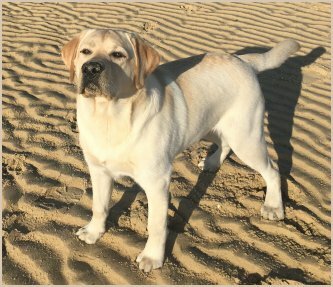 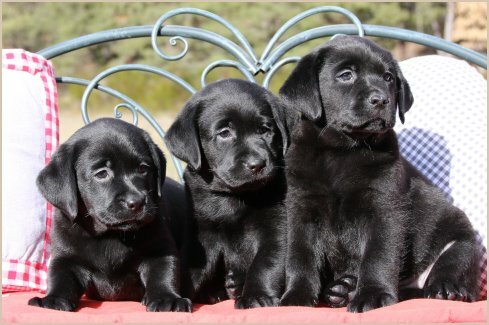 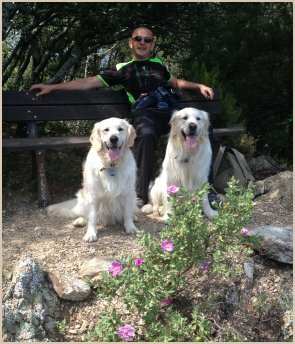 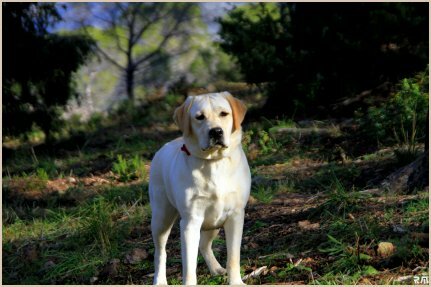 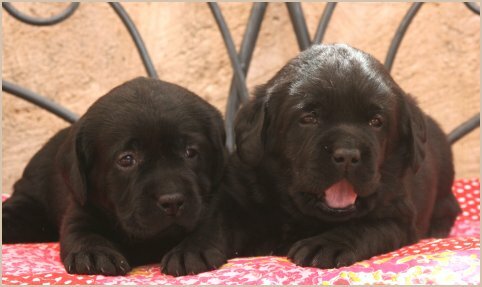 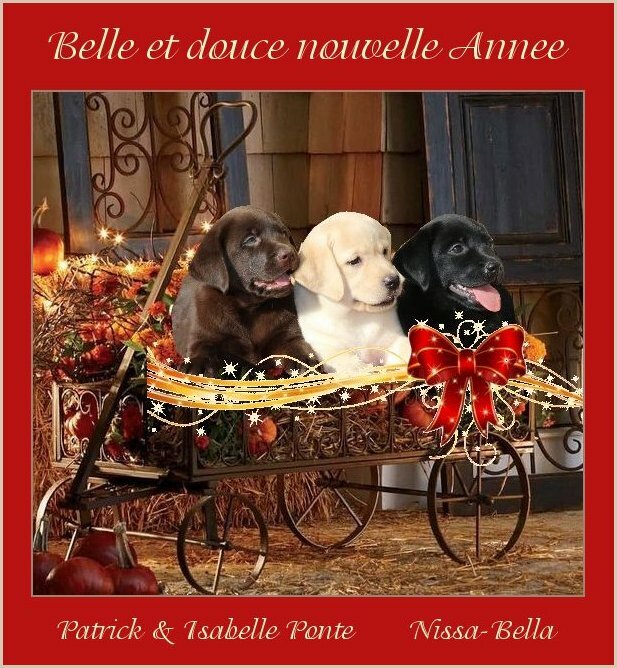 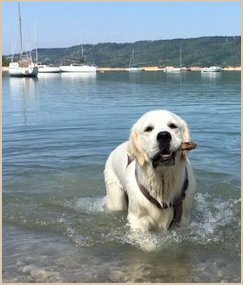 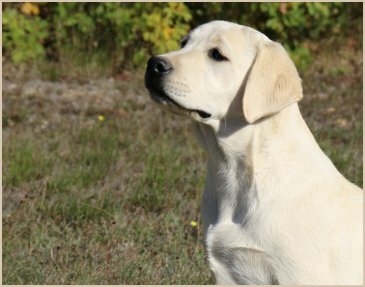 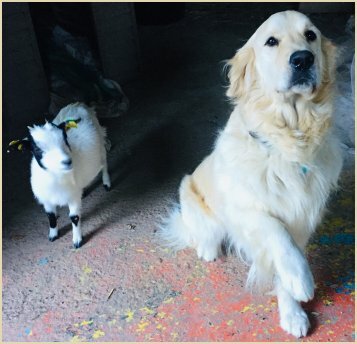 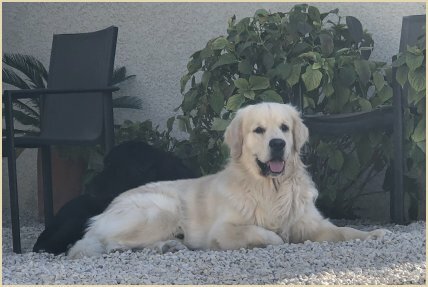 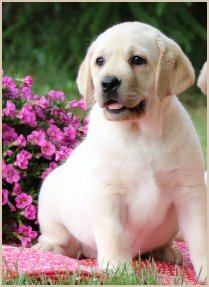 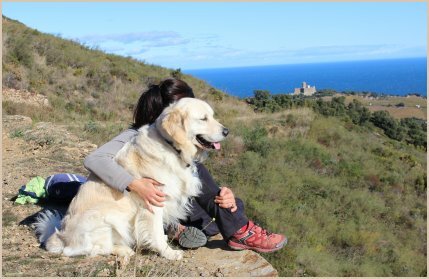 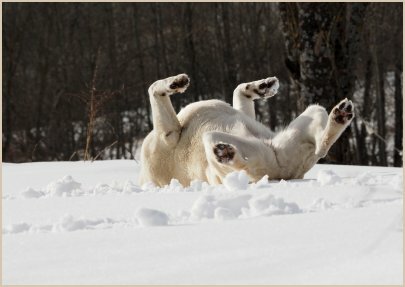 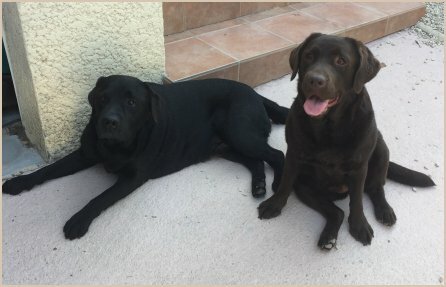 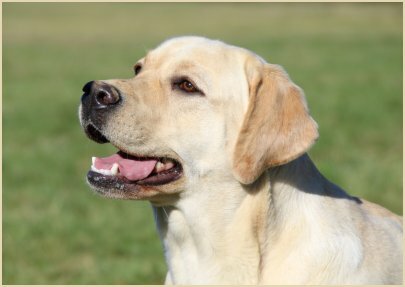 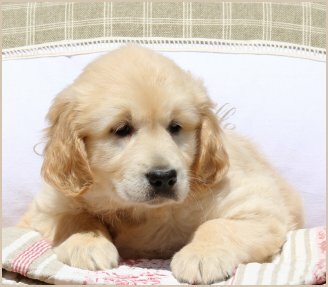 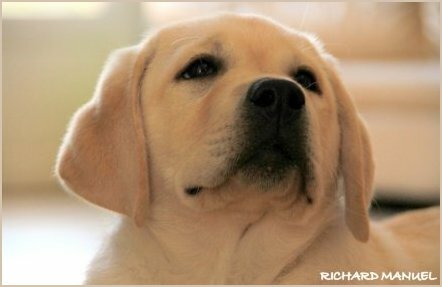 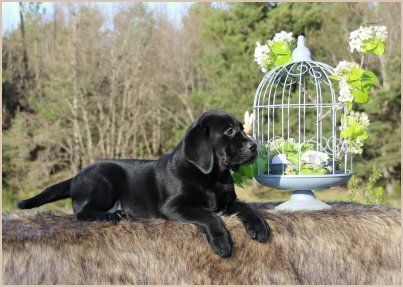 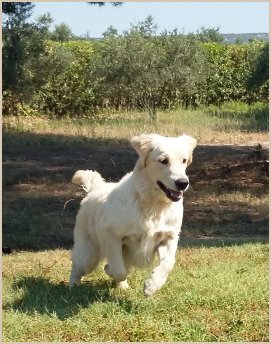 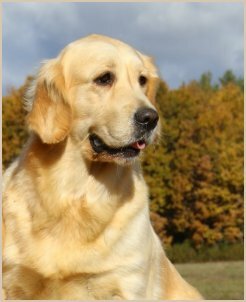 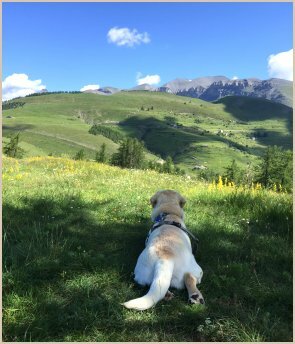 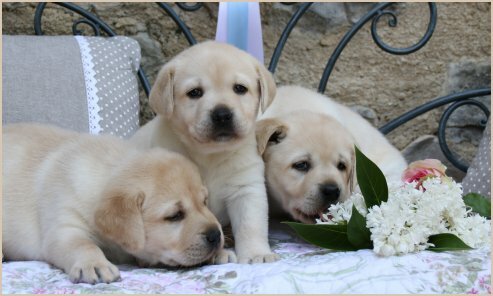 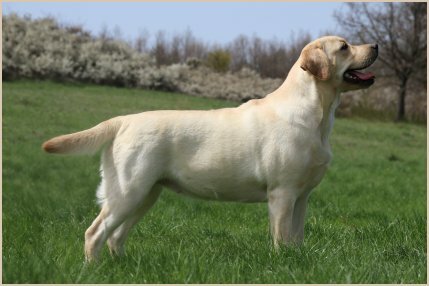 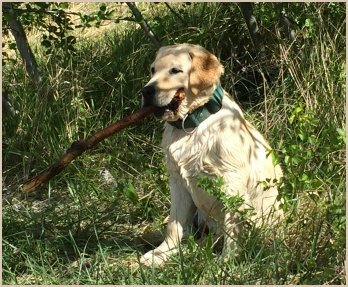 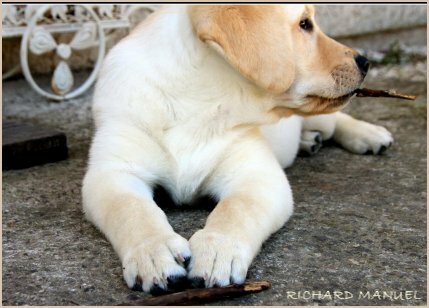 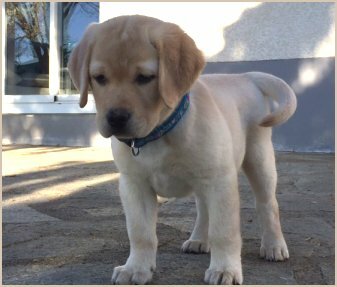 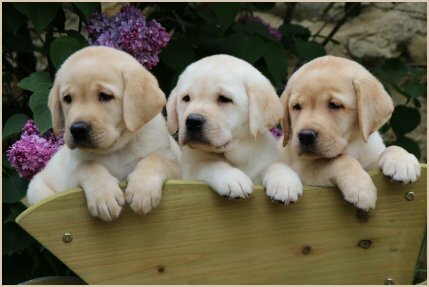 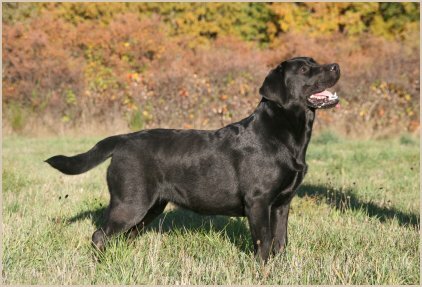 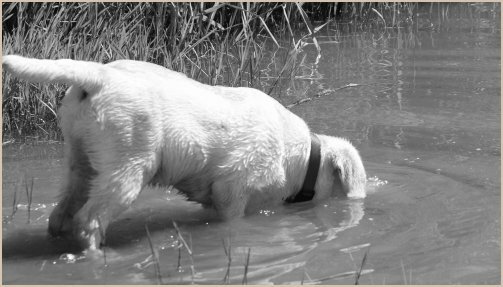 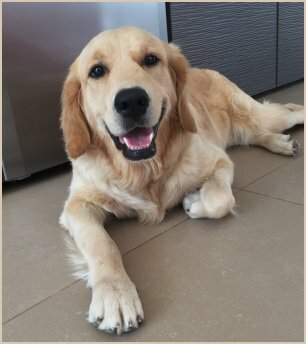 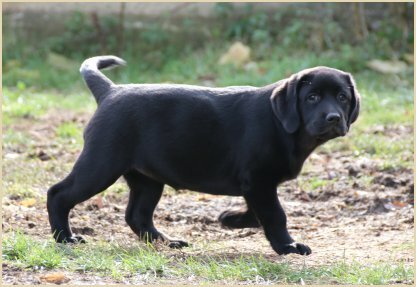 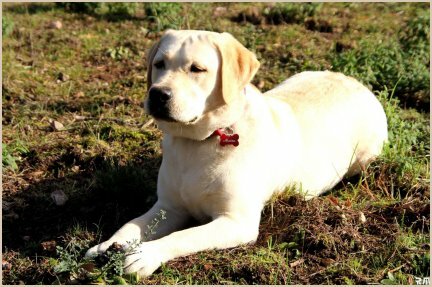 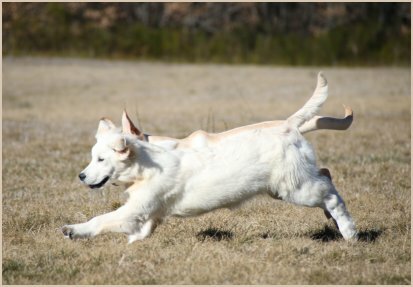 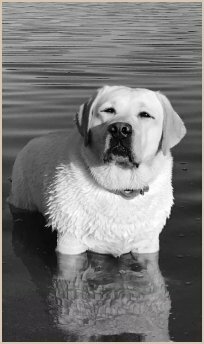 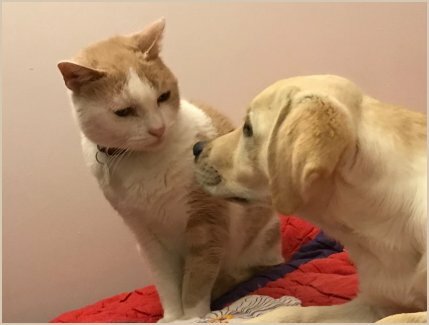 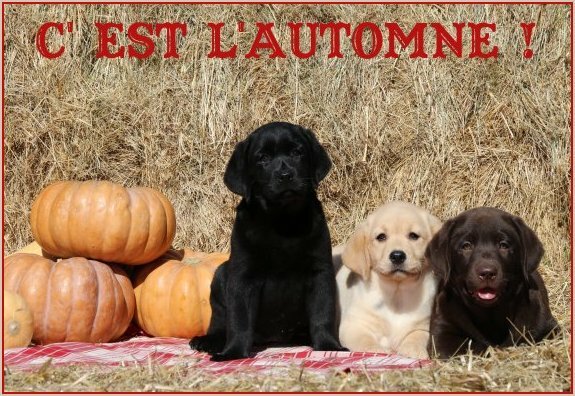 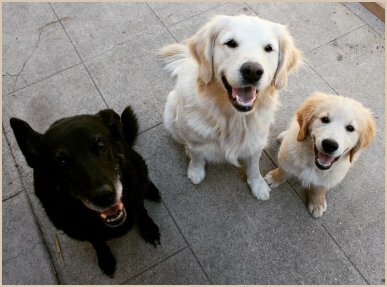 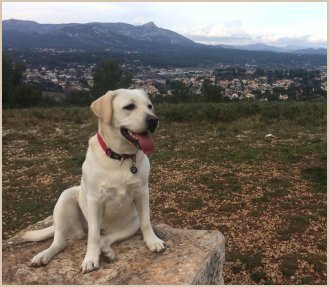 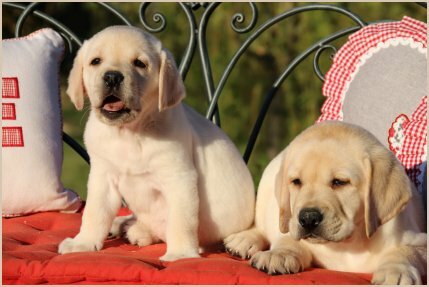 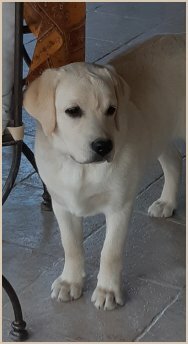 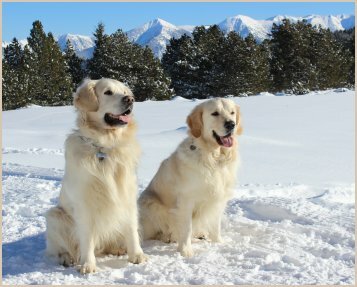 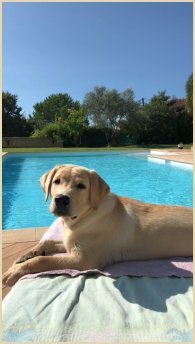 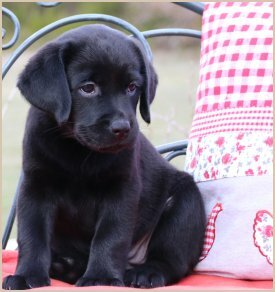 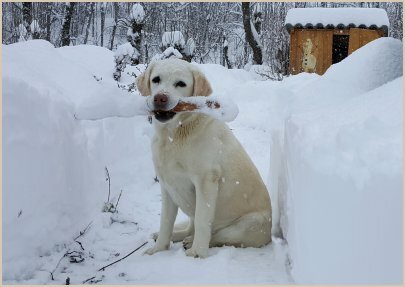 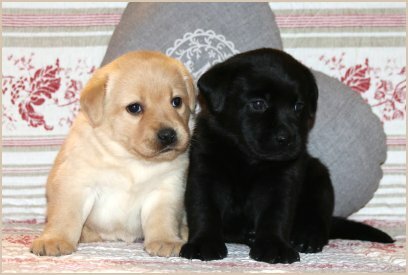 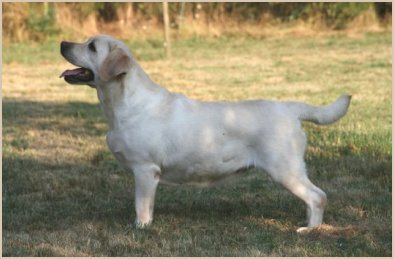 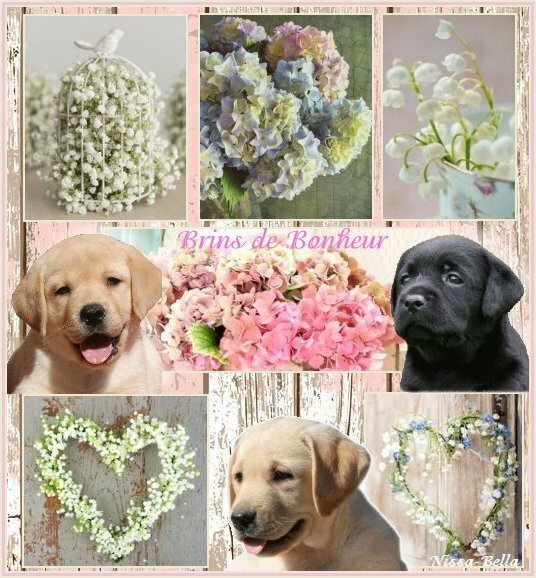 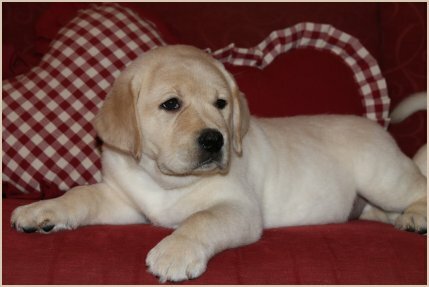 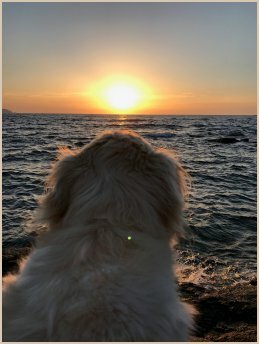 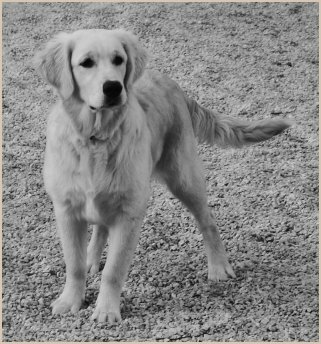 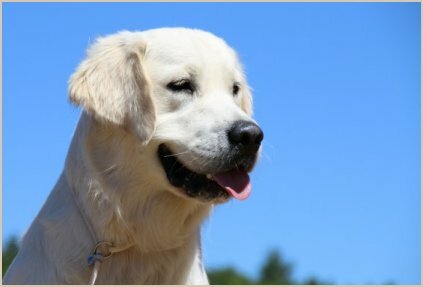 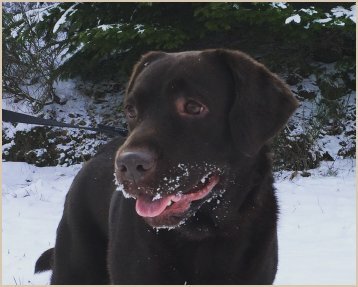 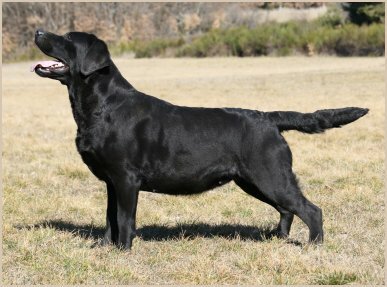 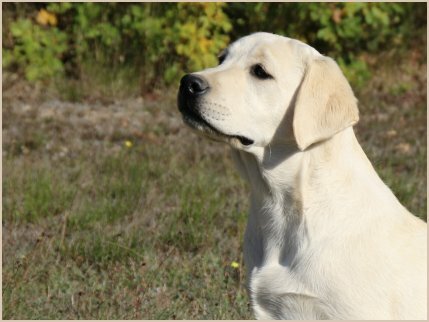 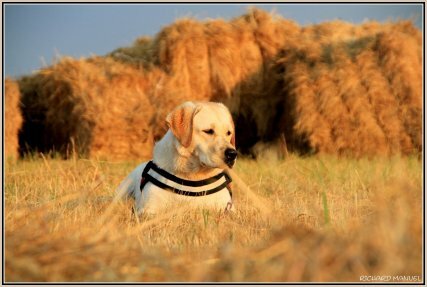 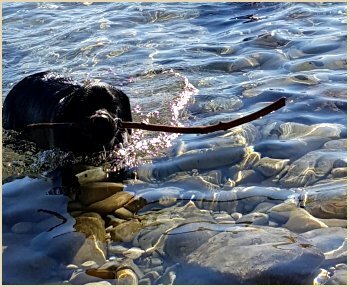 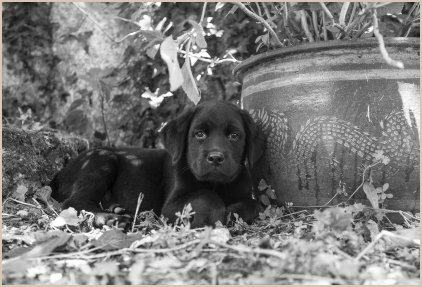 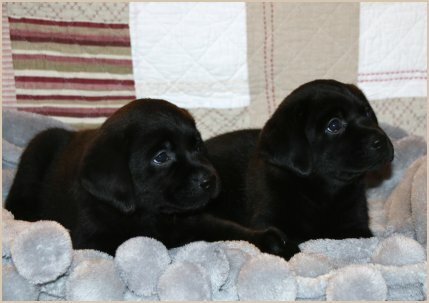 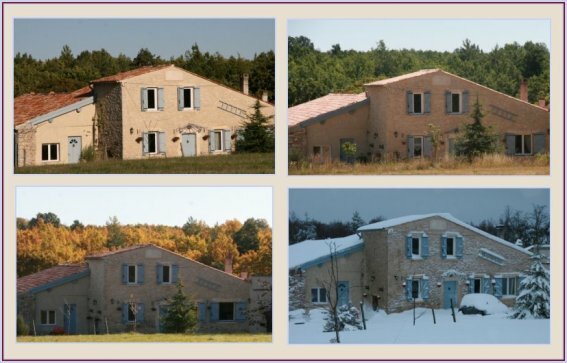 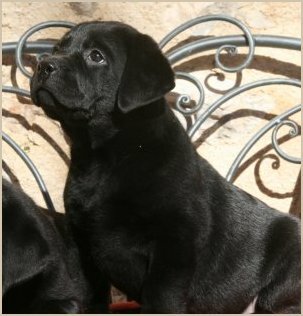 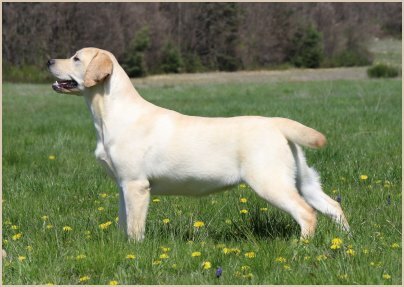 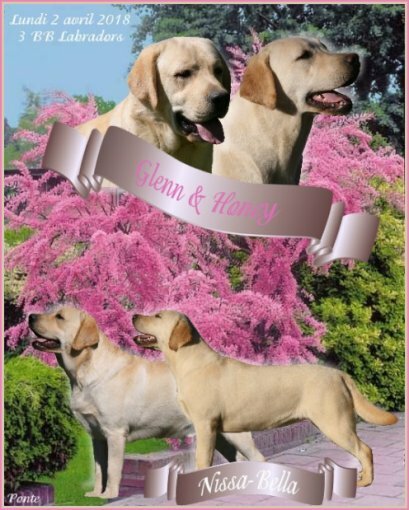 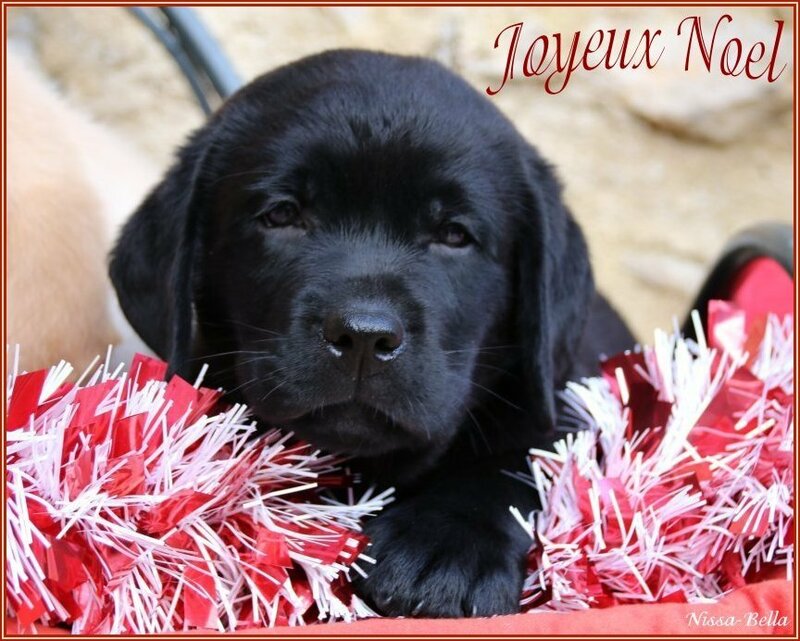 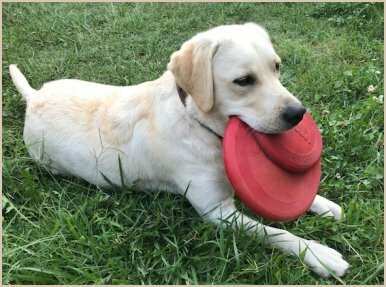 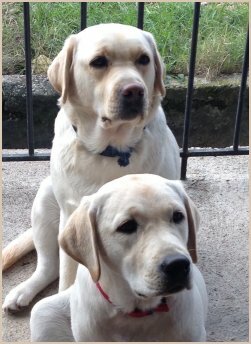 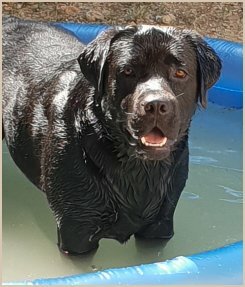 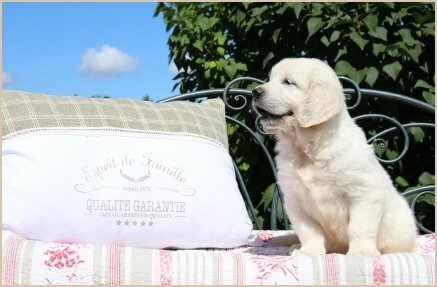 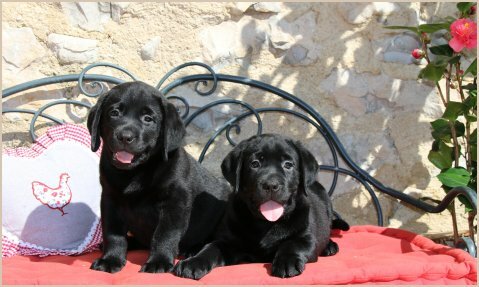 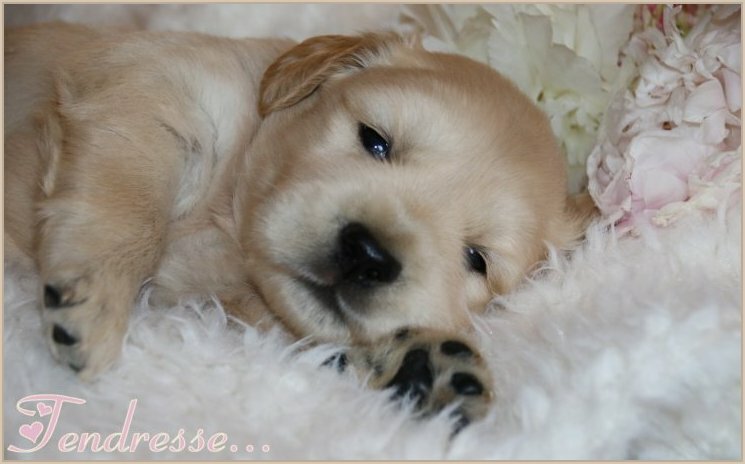 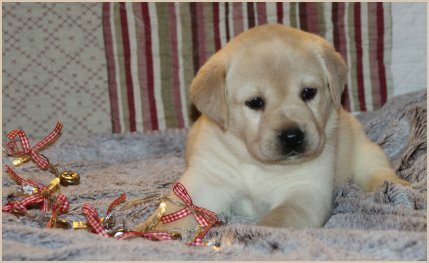 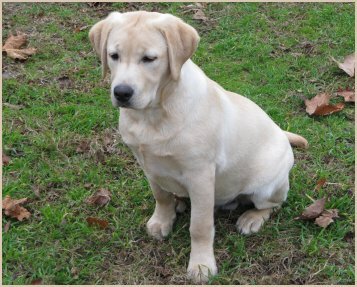 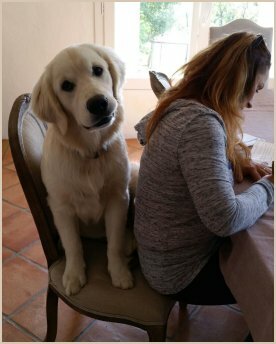 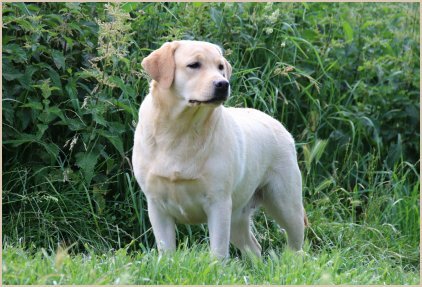 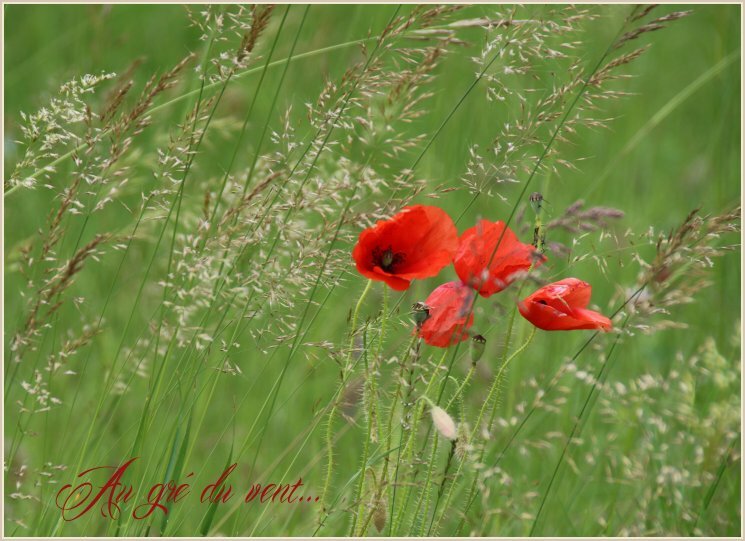 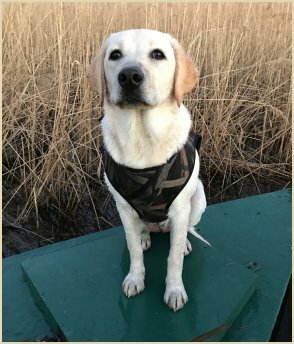 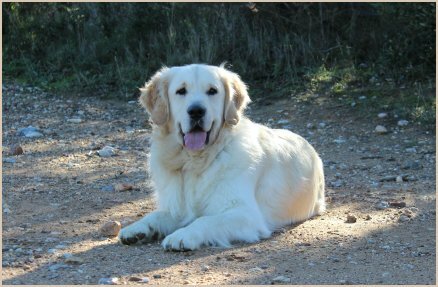 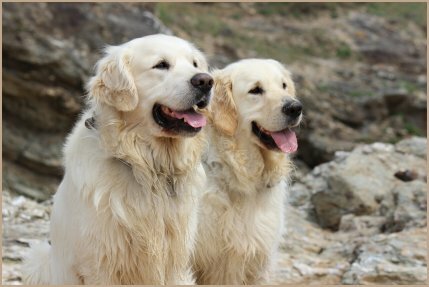 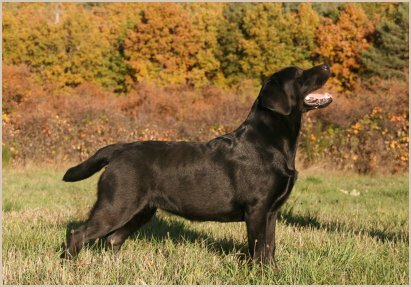 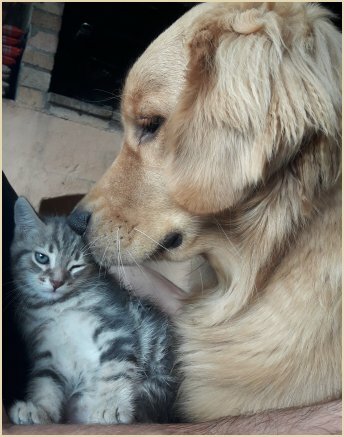 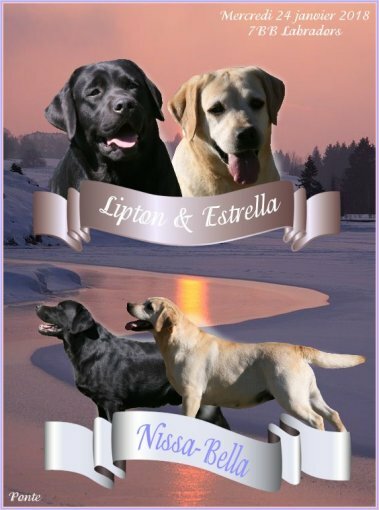 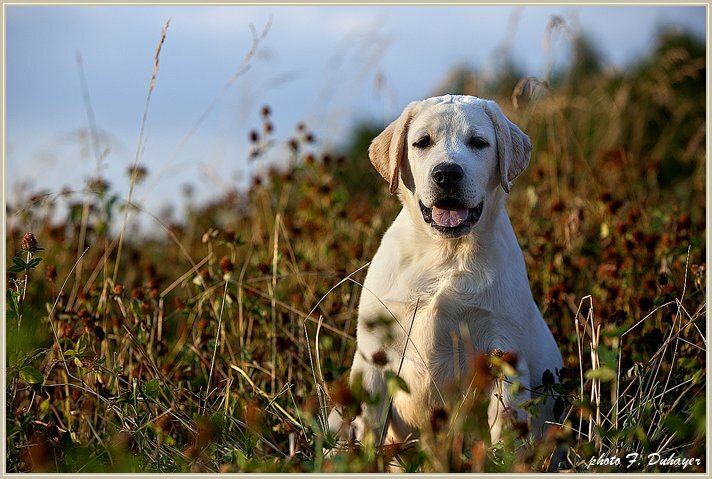 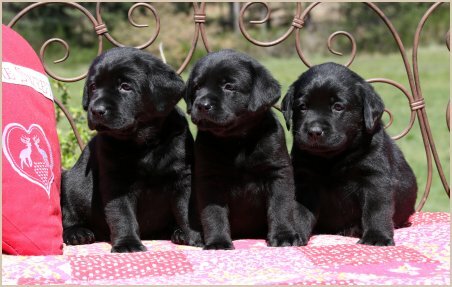 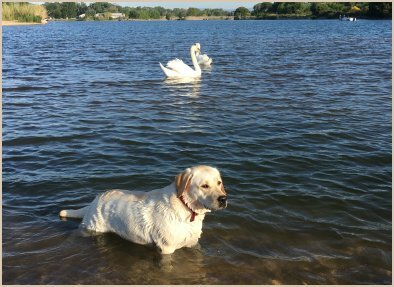 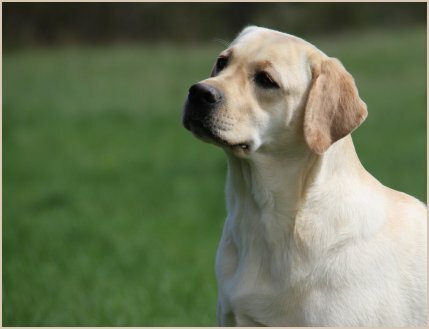 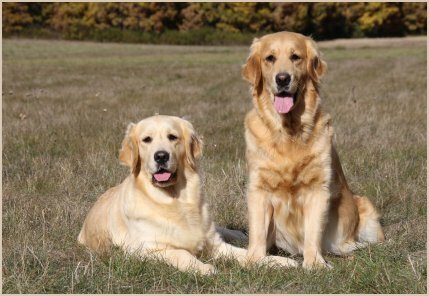 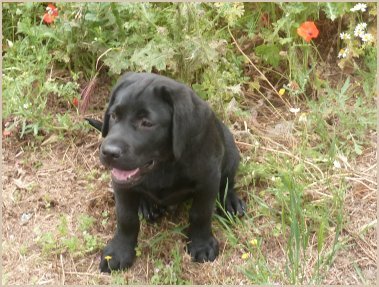 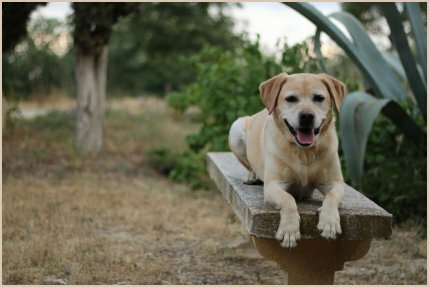 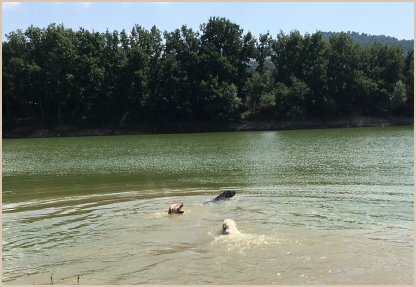 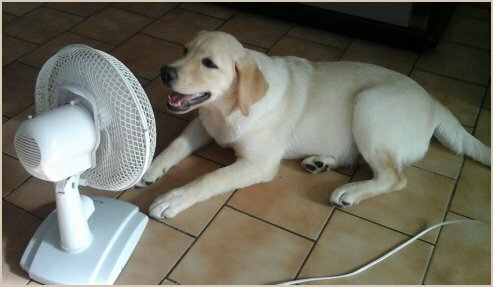 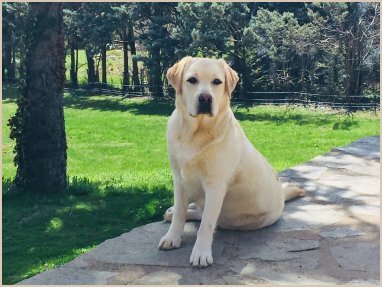 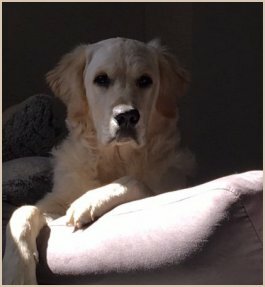 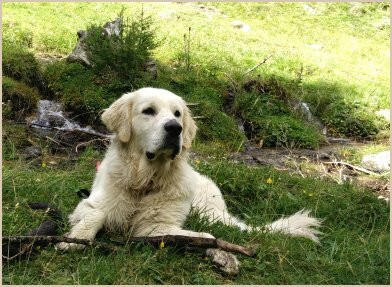 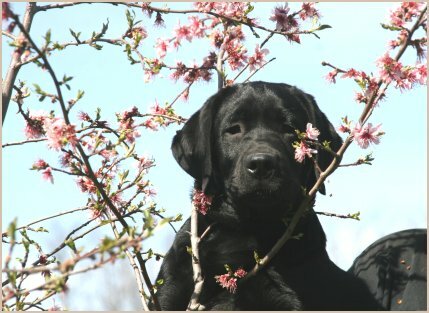 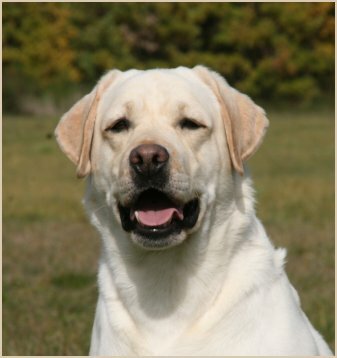 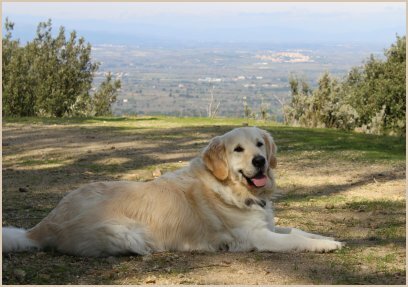 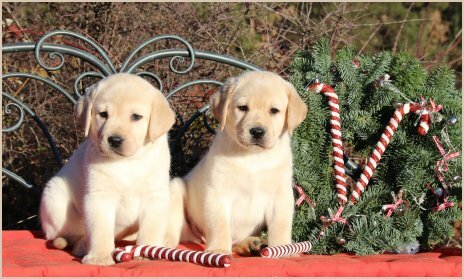 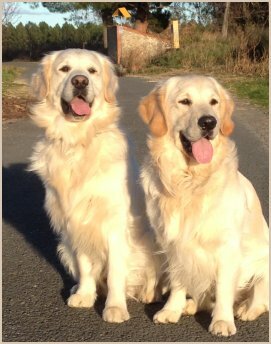 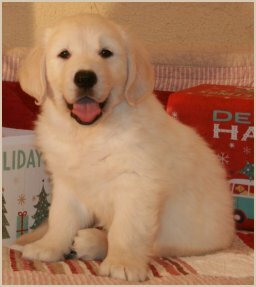 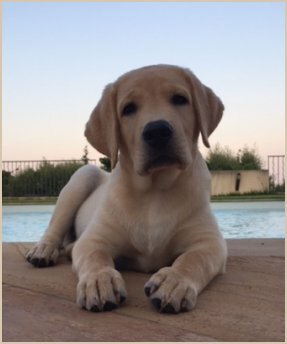 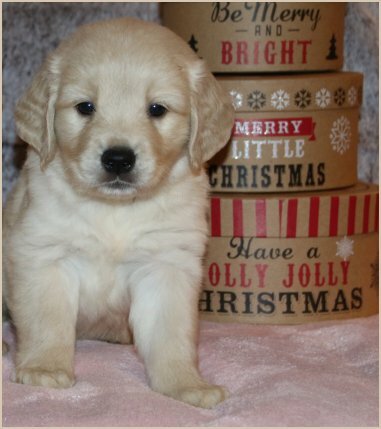 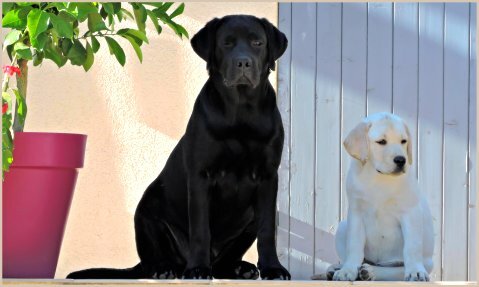 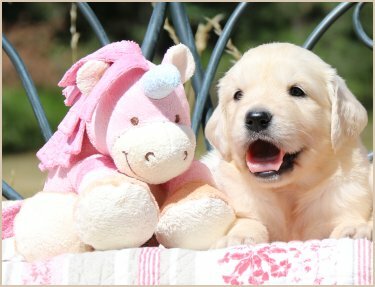 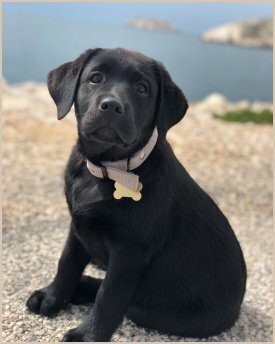 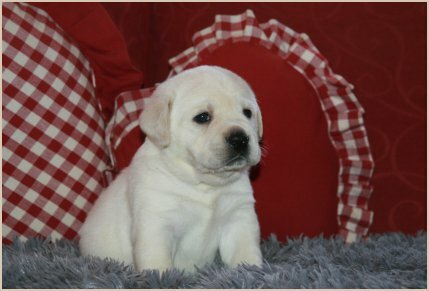 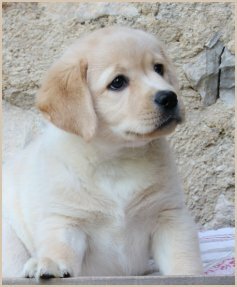 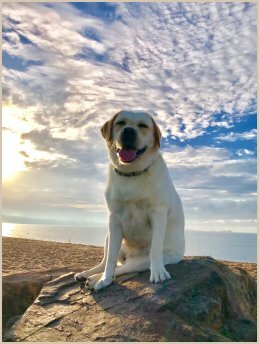 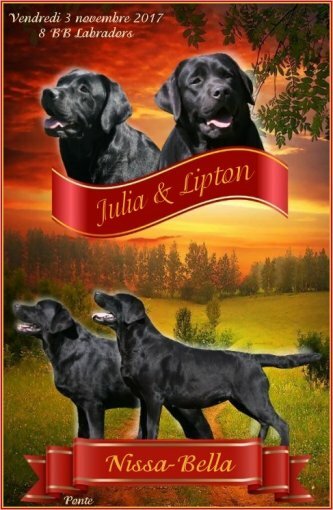 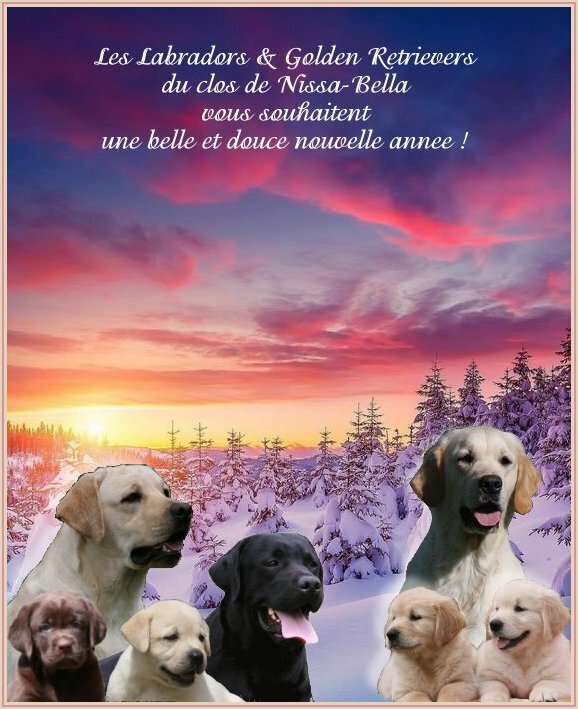 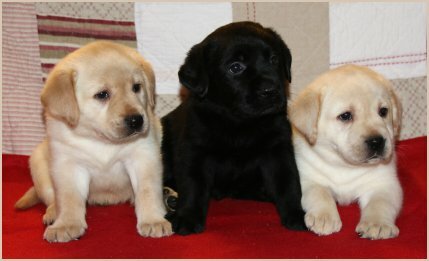 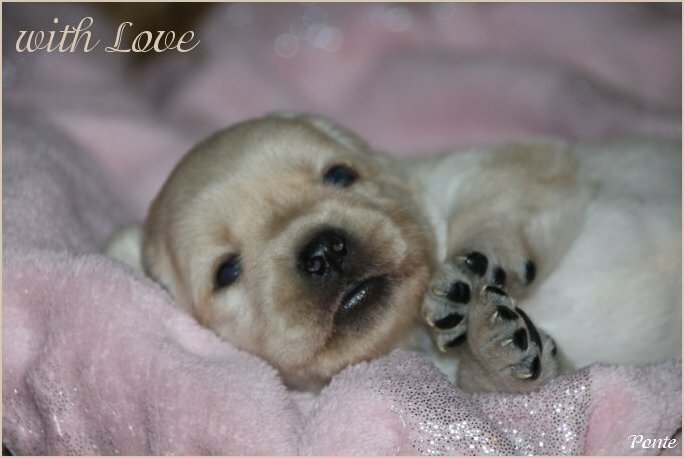 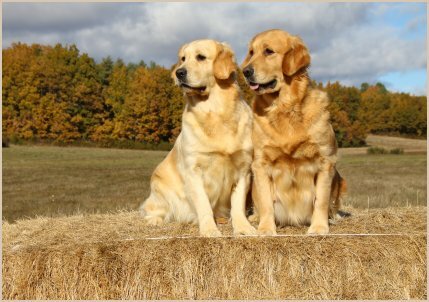 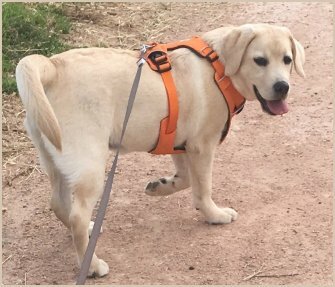 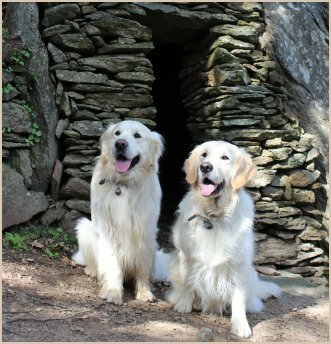 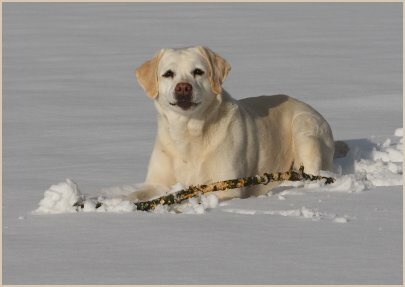 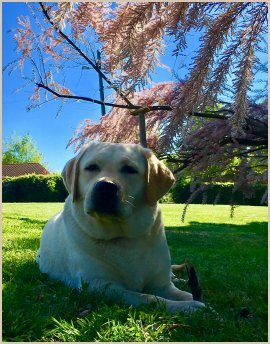 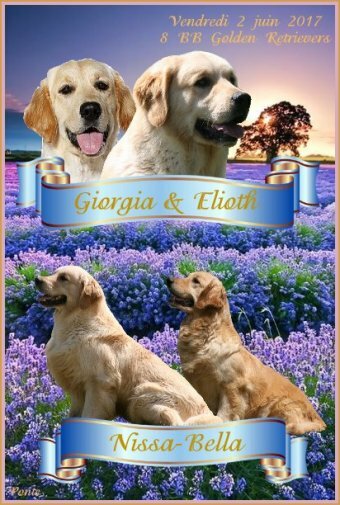 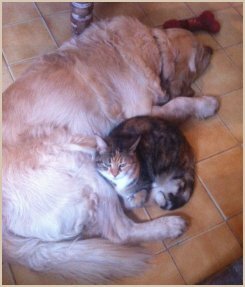 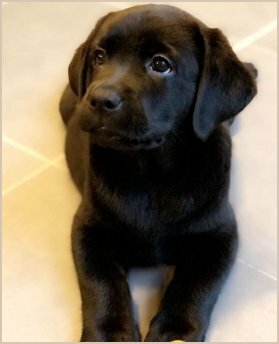 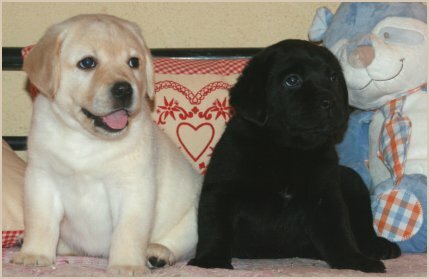 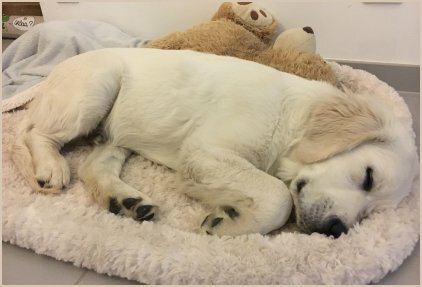 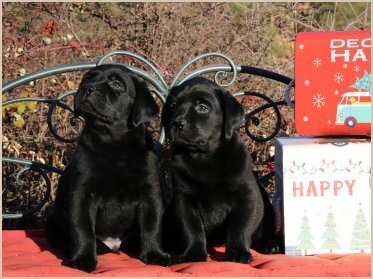 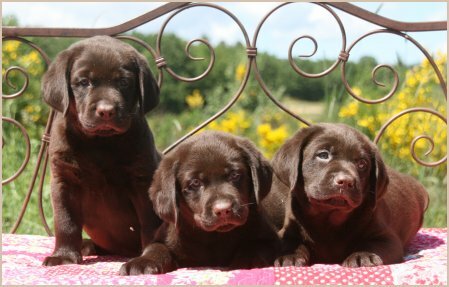 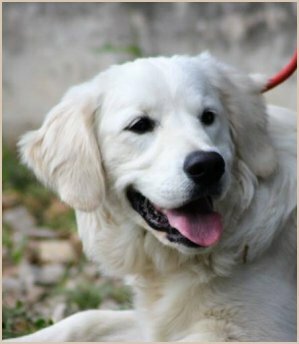 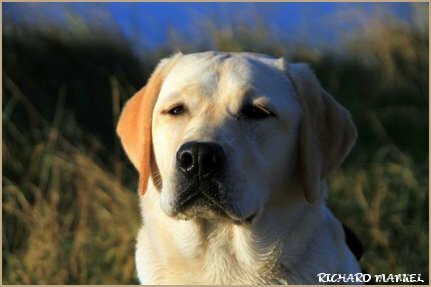 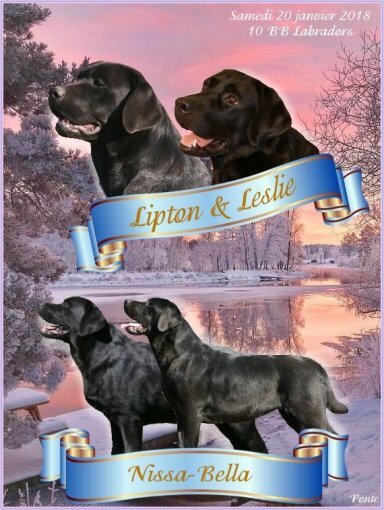 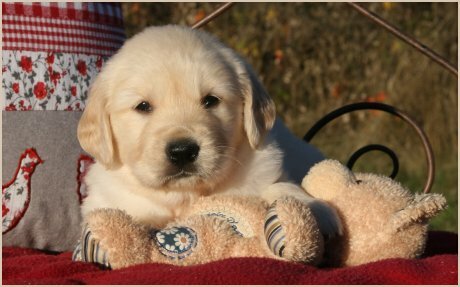 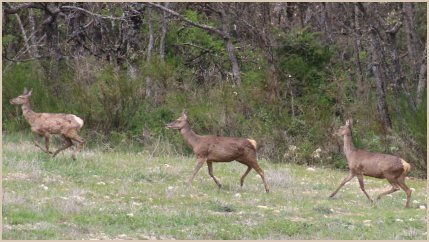 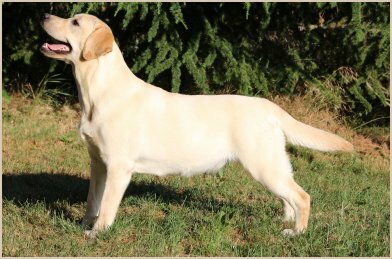 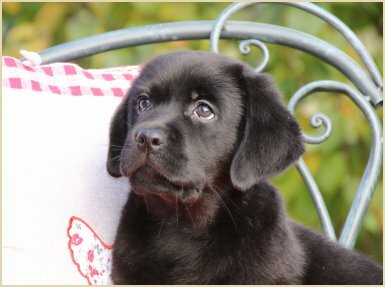 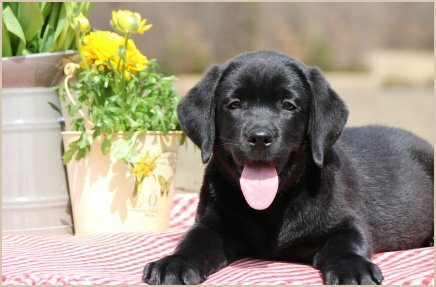 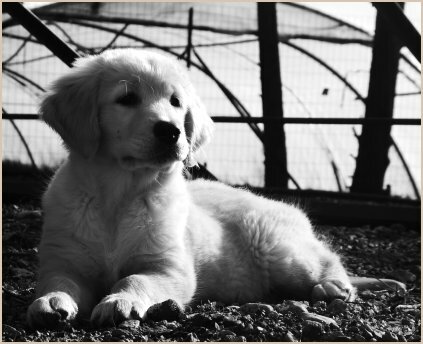 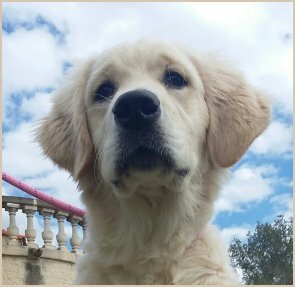 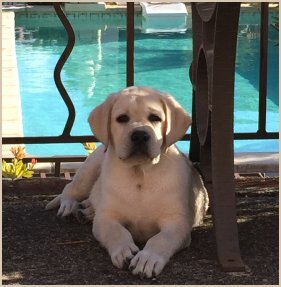 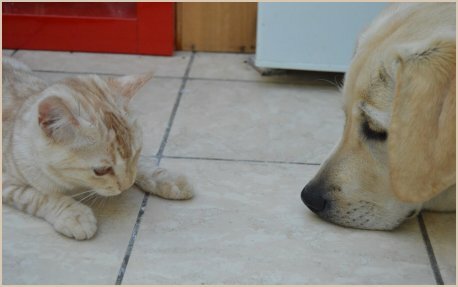 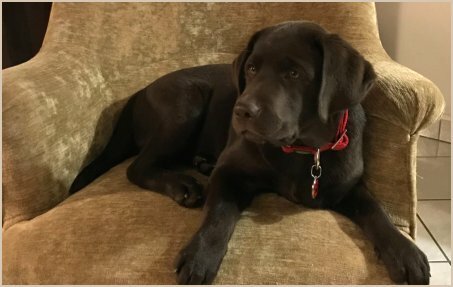 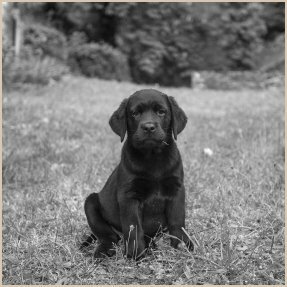 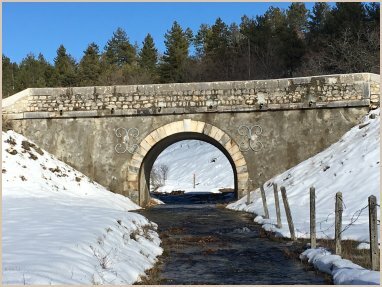 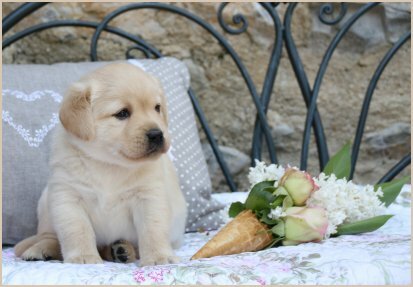 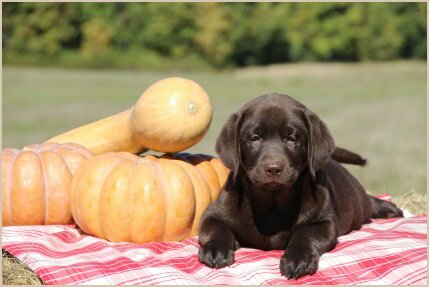 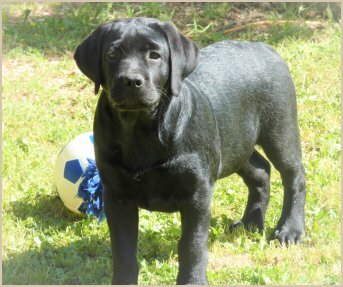 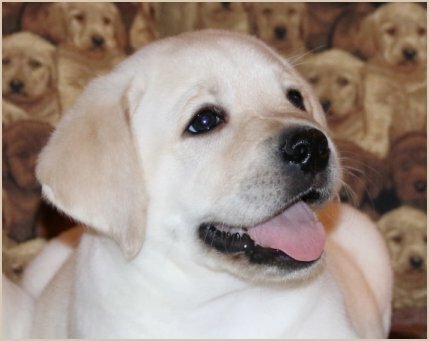 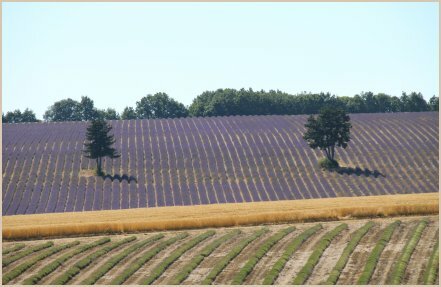 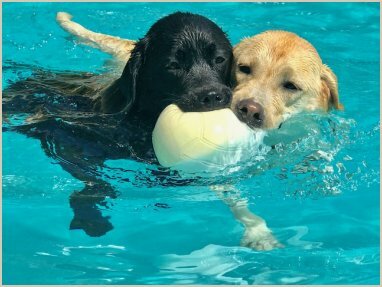 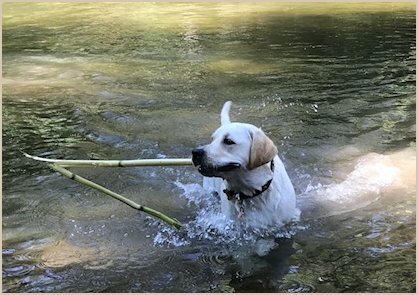 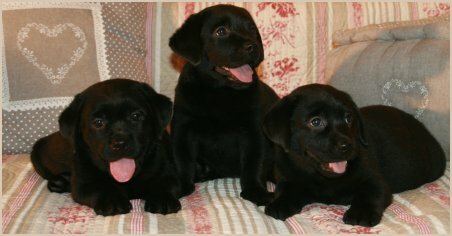 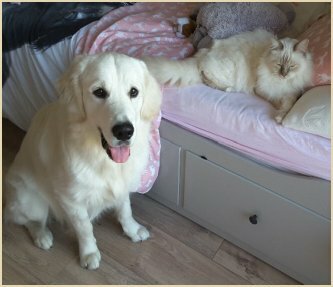 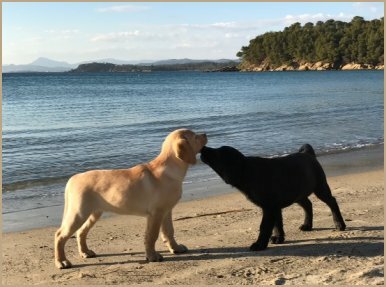 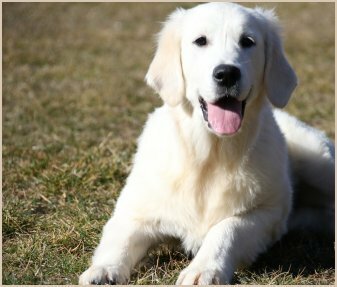 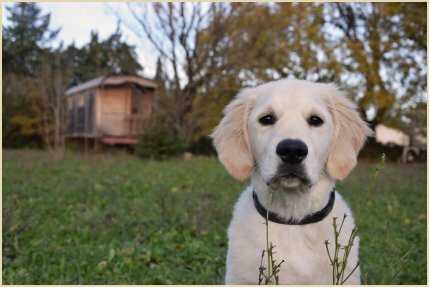 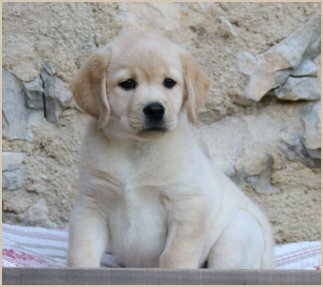 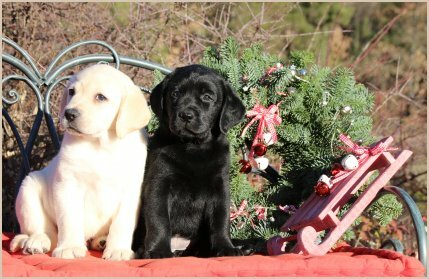 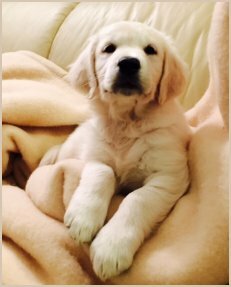 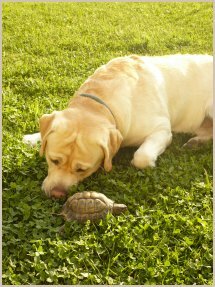 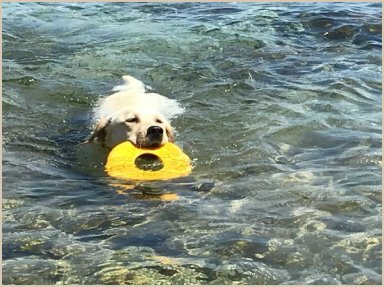 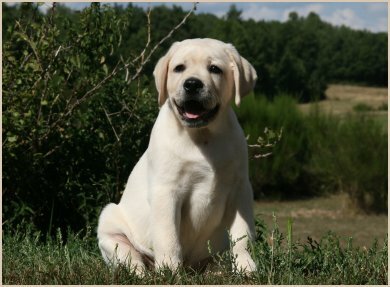 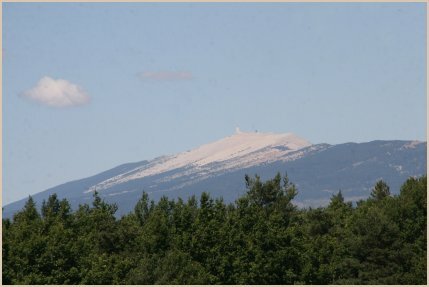 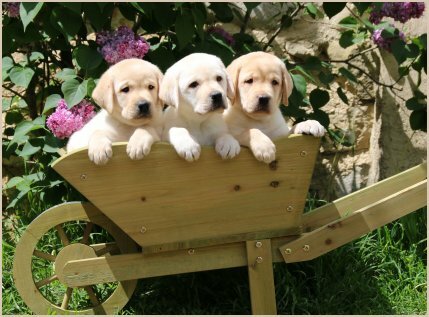 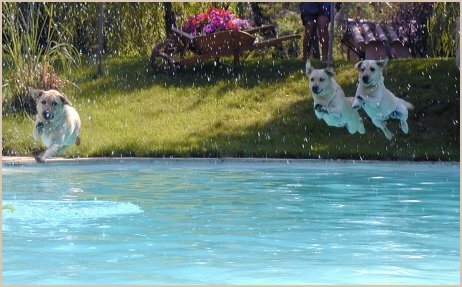 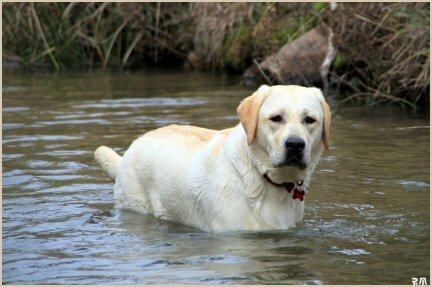 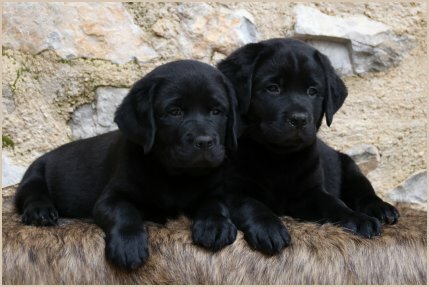 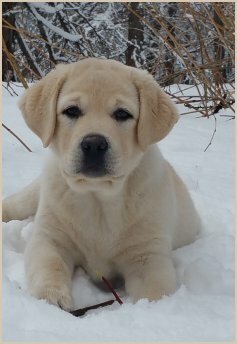 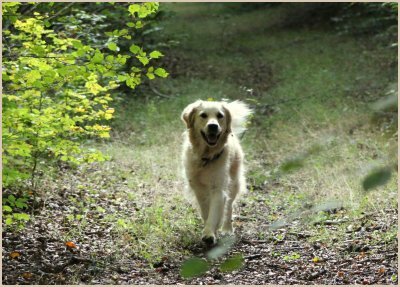 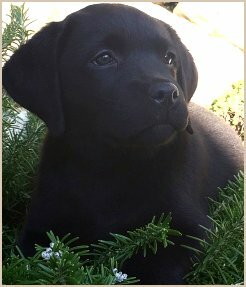 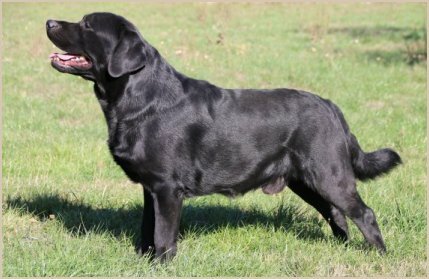 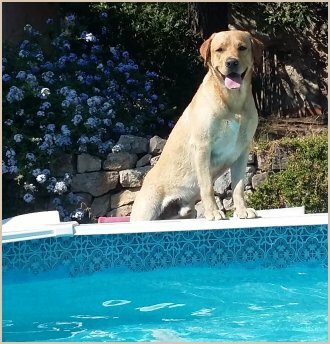 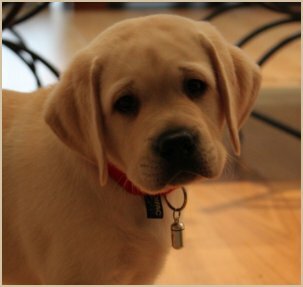 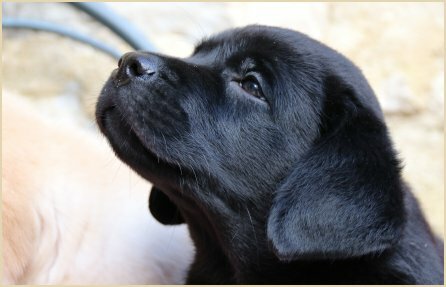 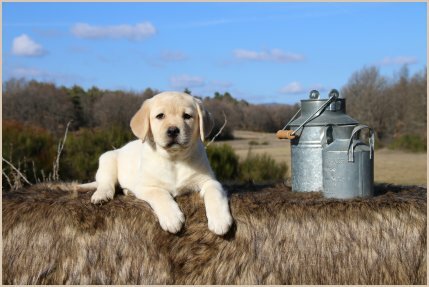 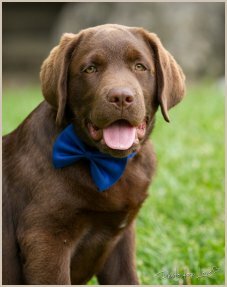 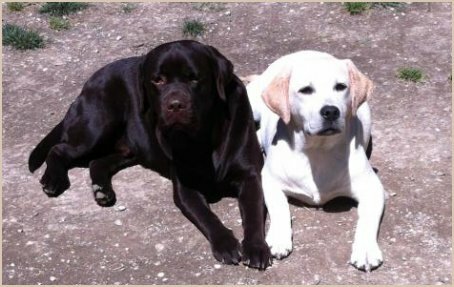 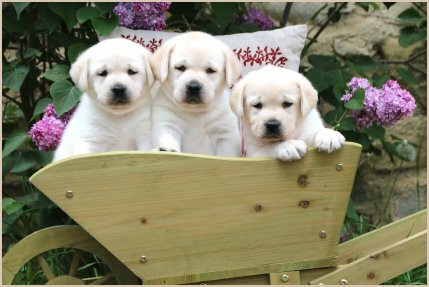 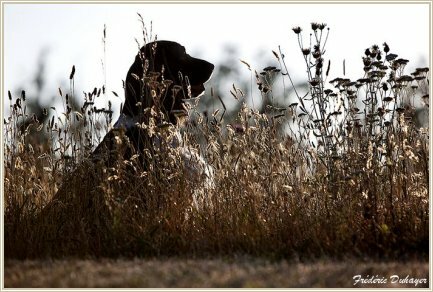 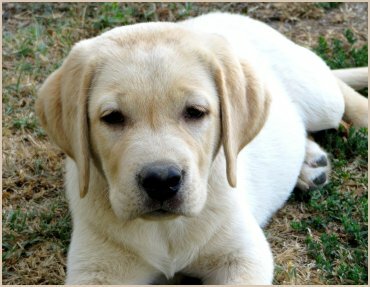 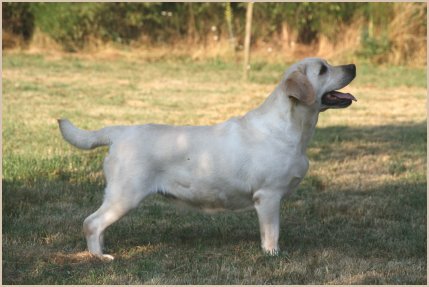 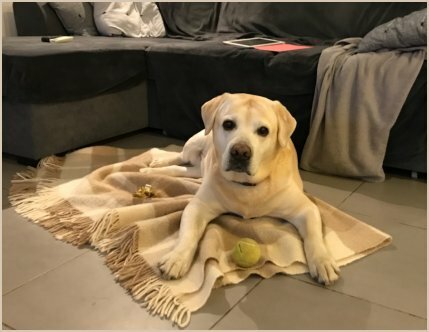 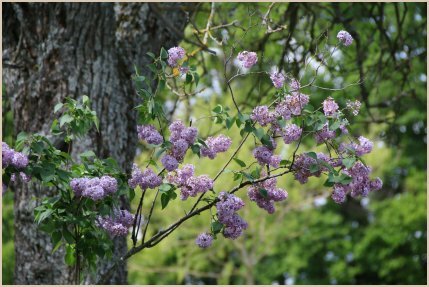 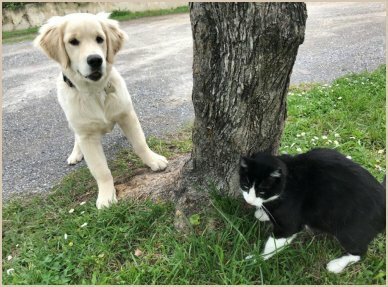 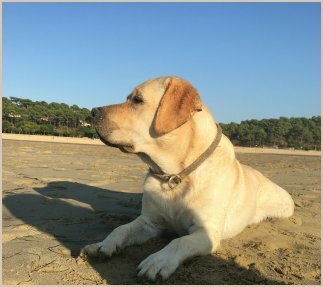 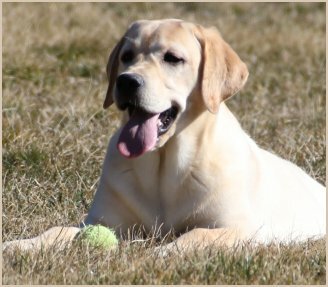 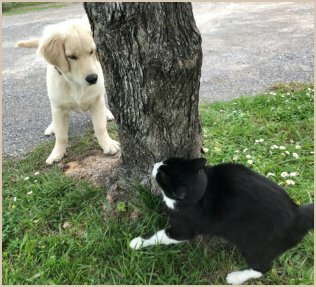 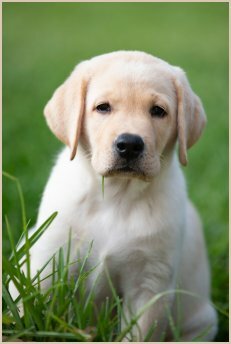 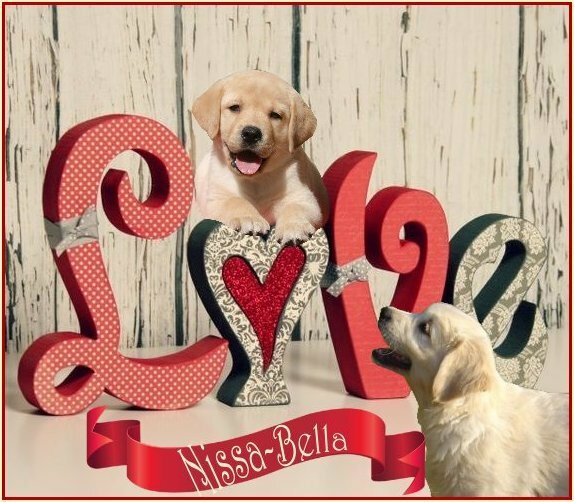 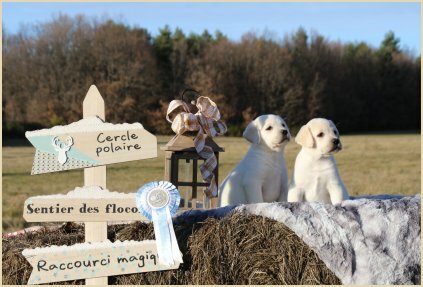 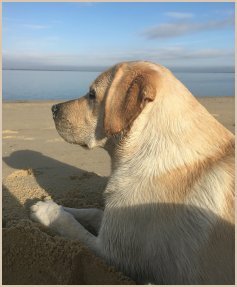 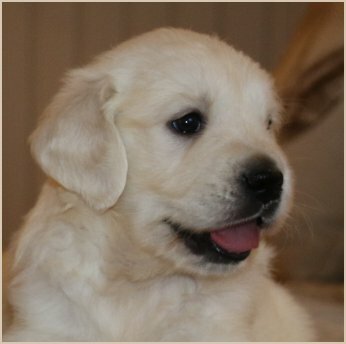 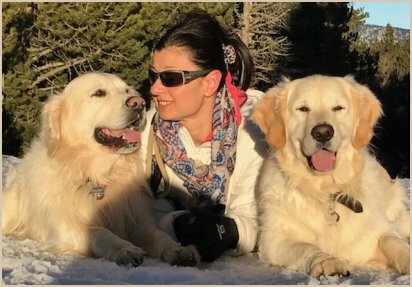 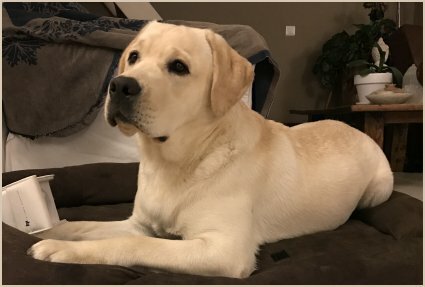 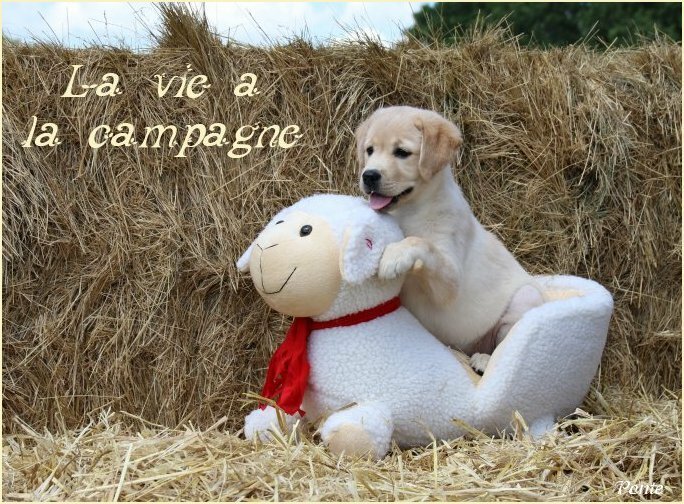 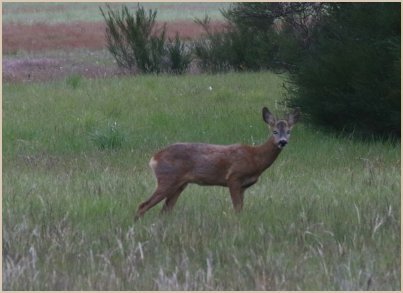 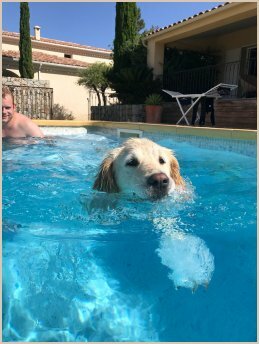 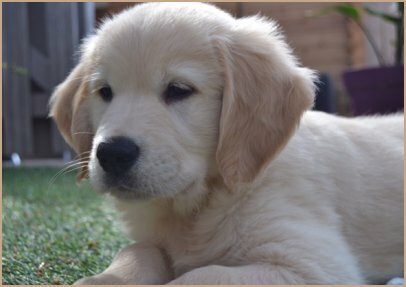 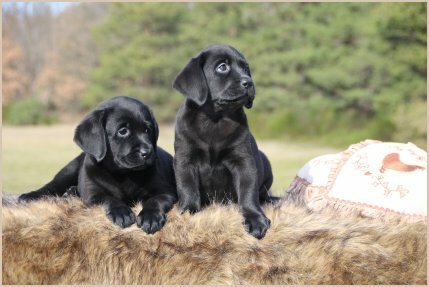 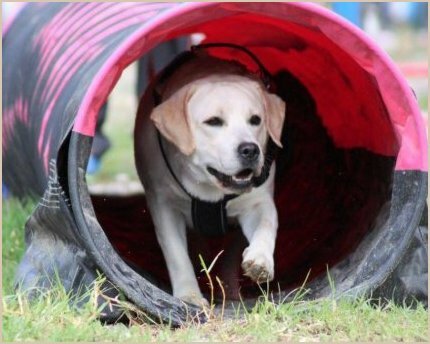 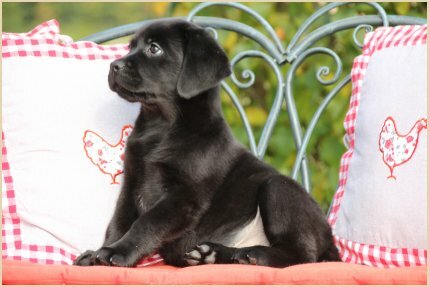 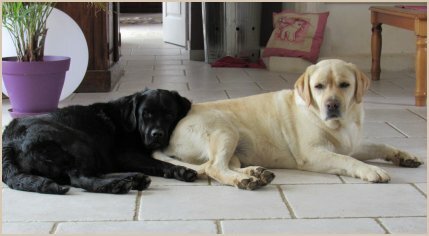 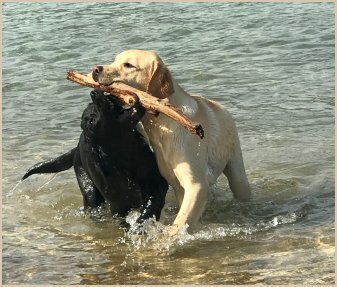 Labradors du clos de Nissa-Bella : news ! 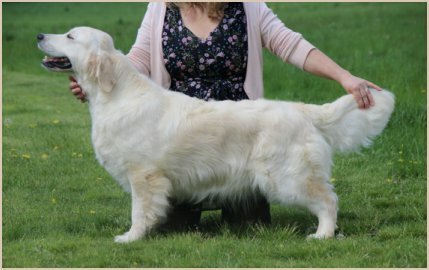 & 2nd Best Baby all breeds in show ! 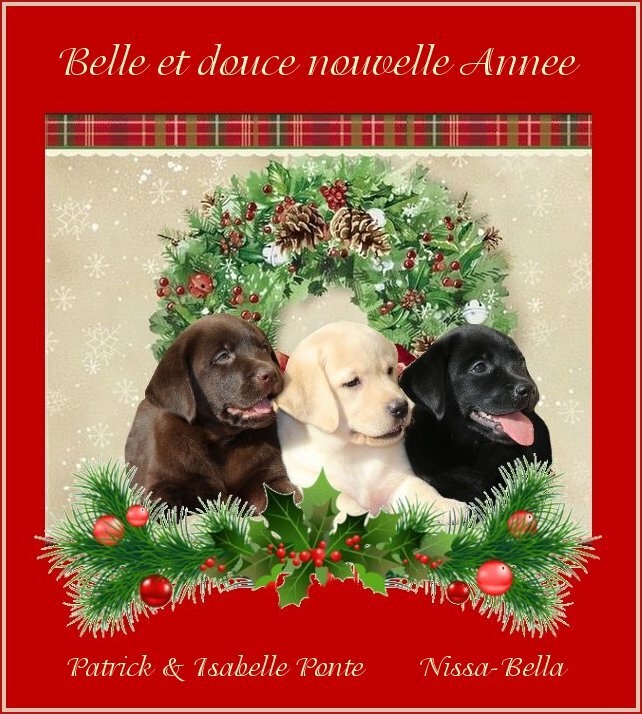 and to Emilie & Christelle for their help in the group ! 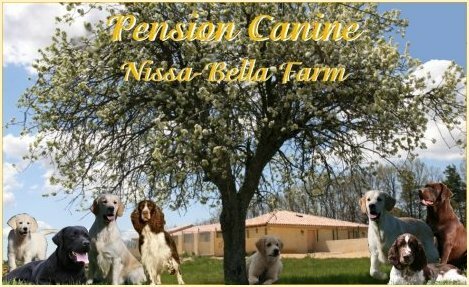 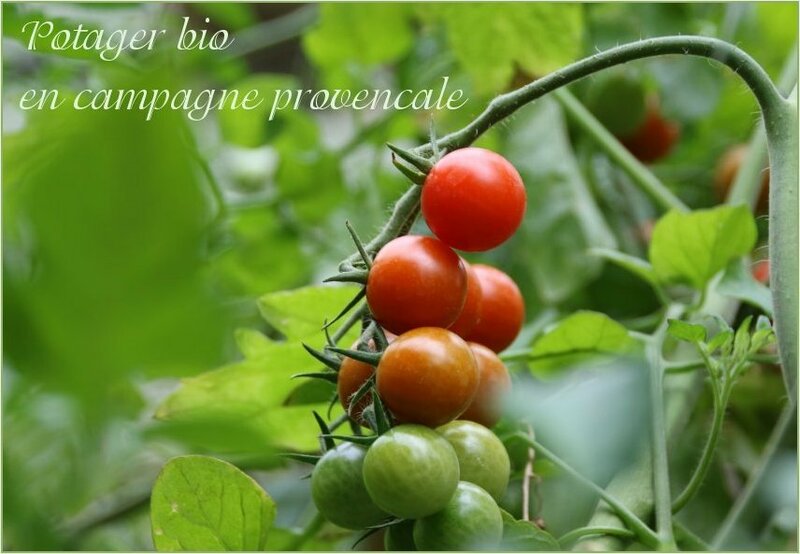 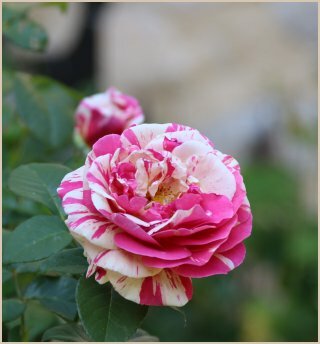 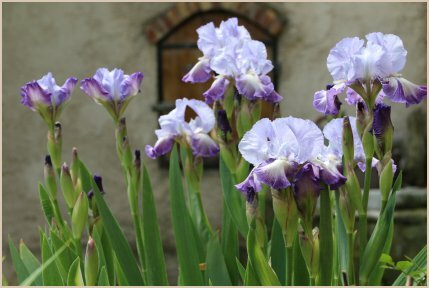 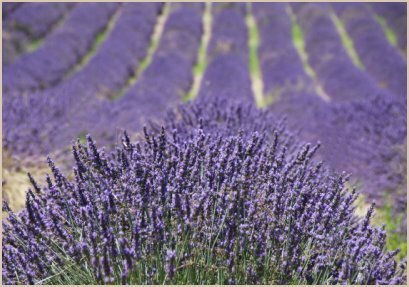 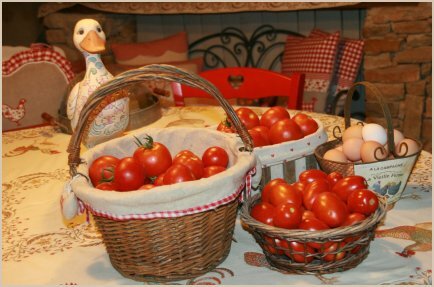 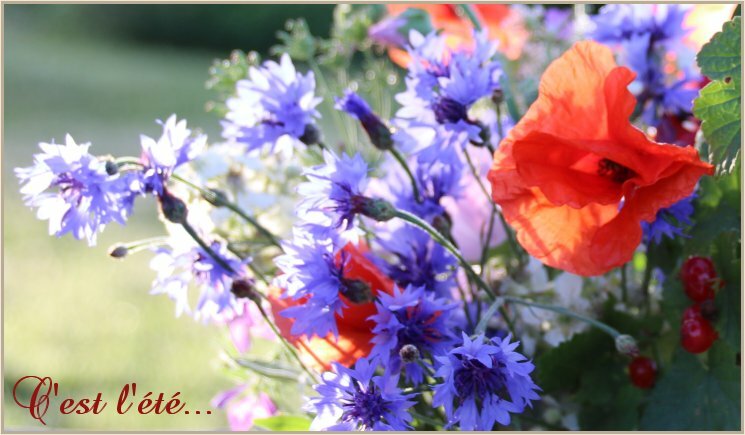 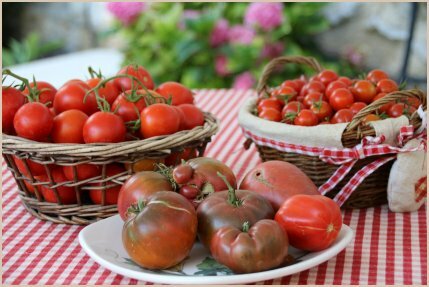 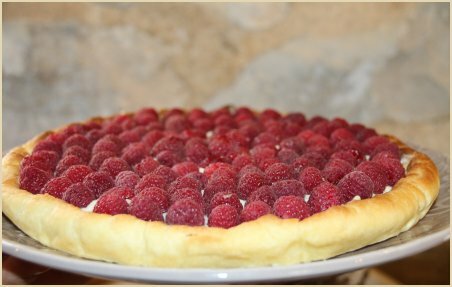 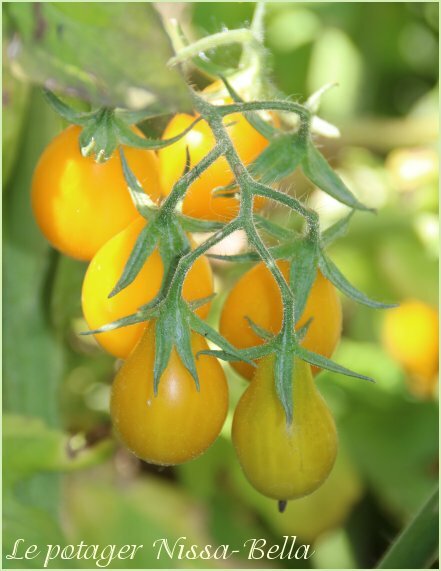 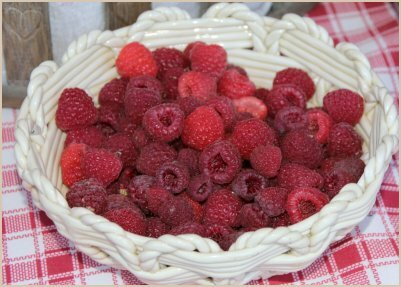 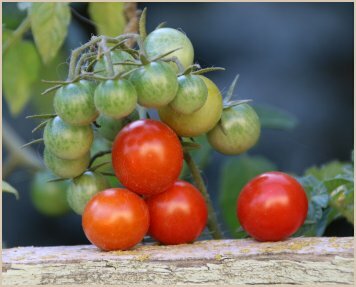 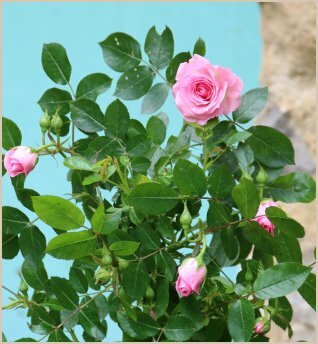 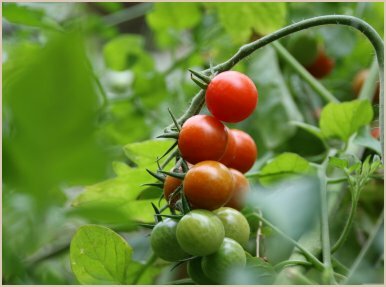 The kitchen garden of Nissa-Bella Family made the delight for all ! 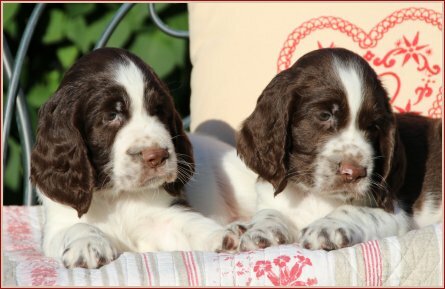 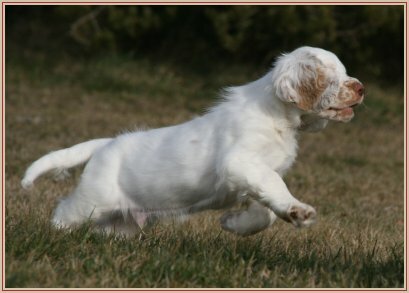 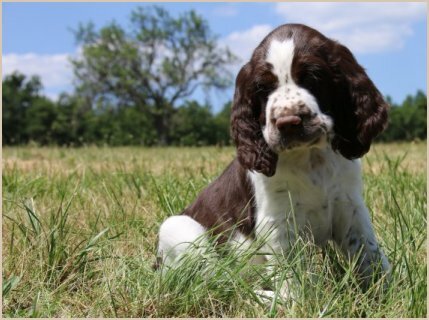 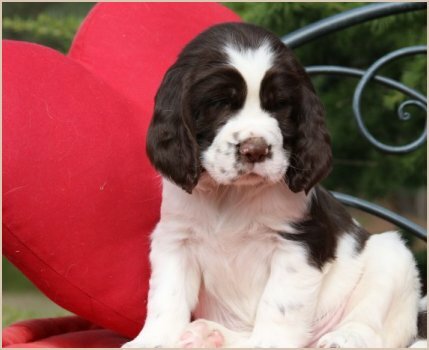 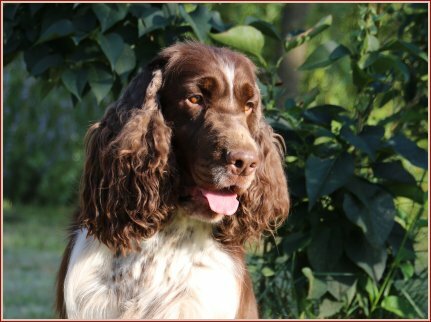 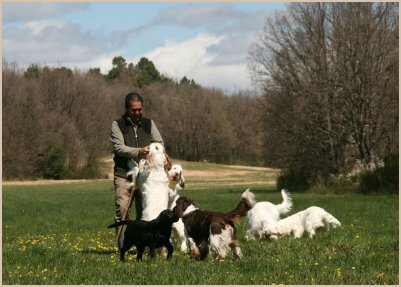 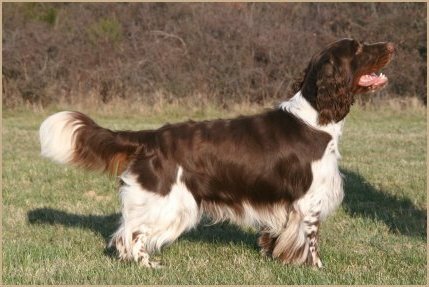 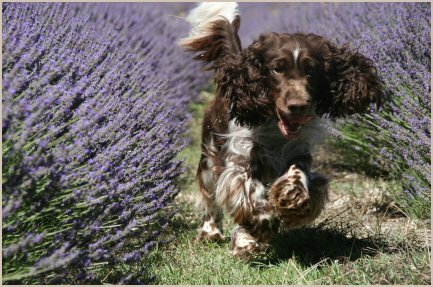 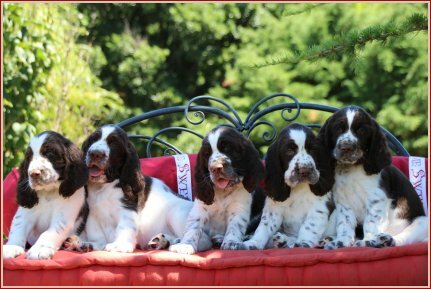 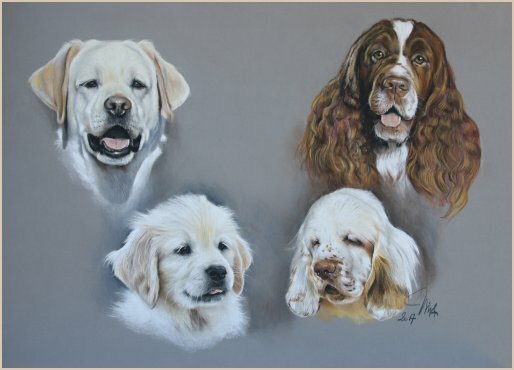 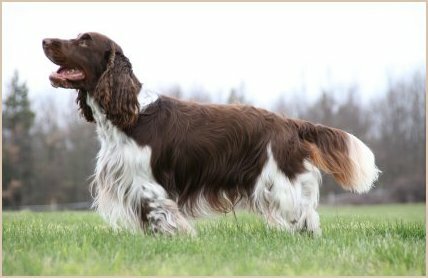 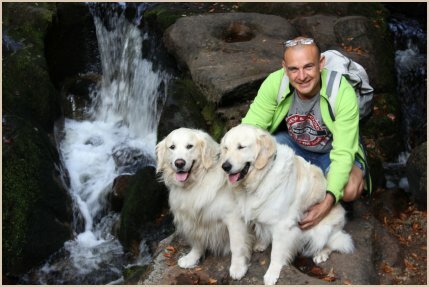 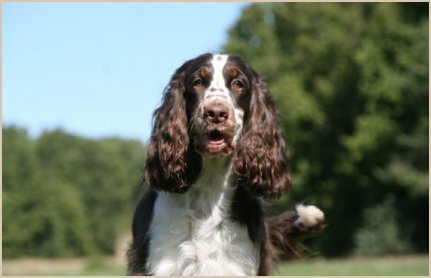 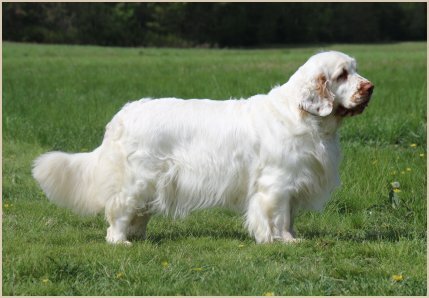 Thanks a lot to Kim for the perfect handling of our Clumber Spaniels ! 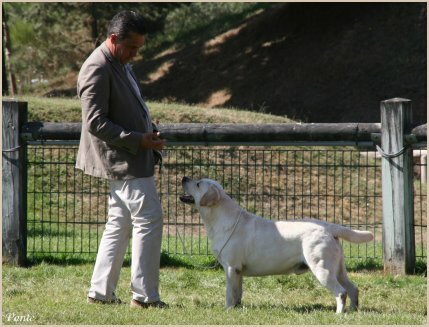 Thanks a lot to Kim for perfect handling of Lovely and Lancelot in the group 8 ! 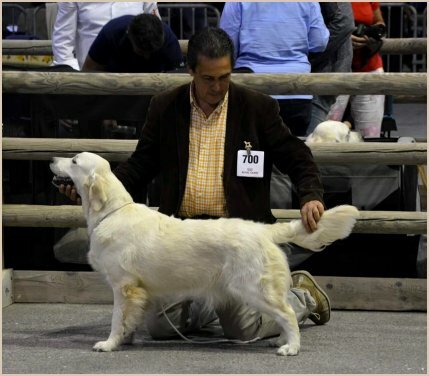 Thanks a lot to Kim for handling for the BOB and in the group 8 ! 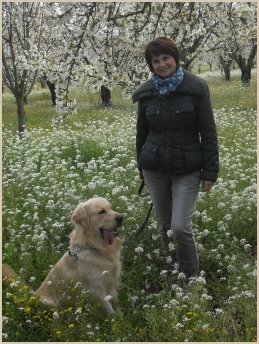 and especialy with Lovely ! 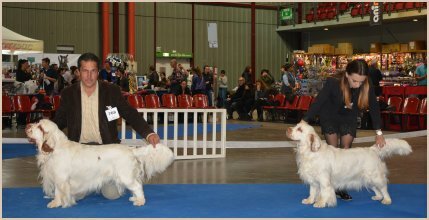 Many thanks to judges who appreciated with enjoyment our companions ! 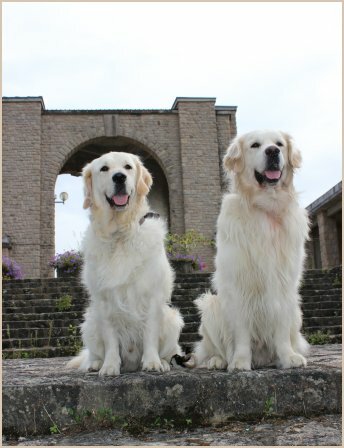 Thanks a lot to our friends for their help for BOB and BIG. 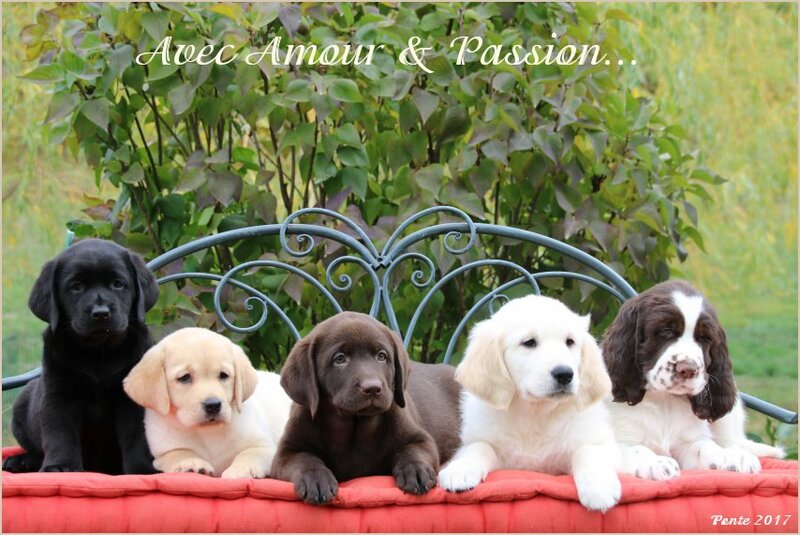 owned, bred, handled with Love & Passion ! 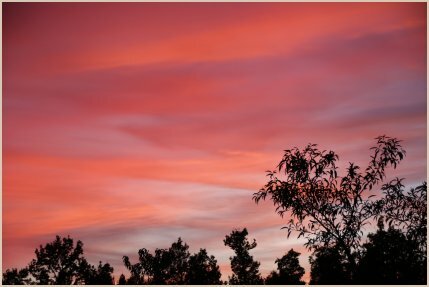 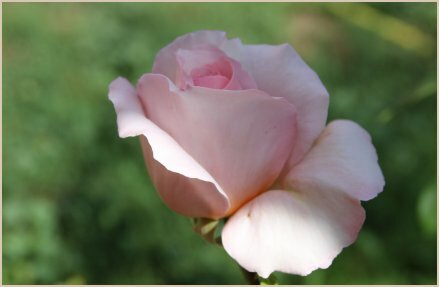 While keeping this sparkling light which we find at the bottom of the eyes of our companions ! 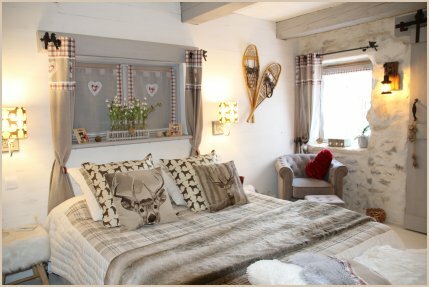 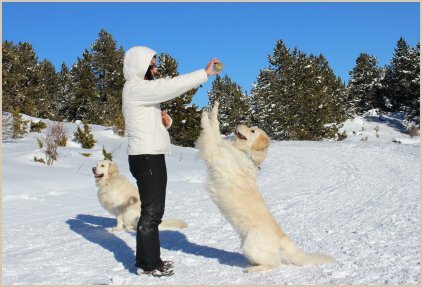 We'll continue, faithful to ourselves, to share our passion with you ! 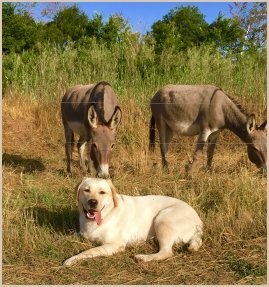 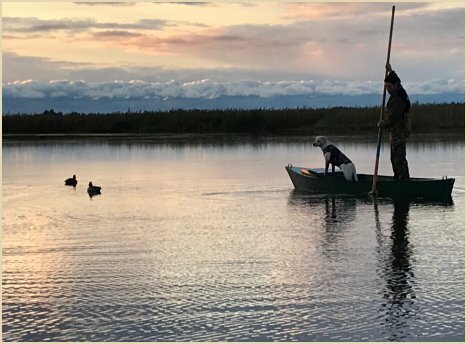 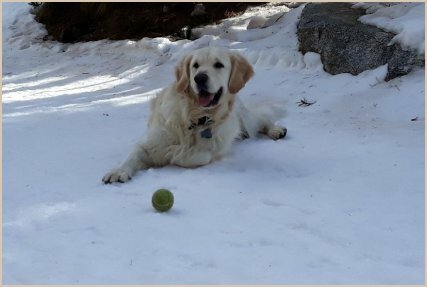 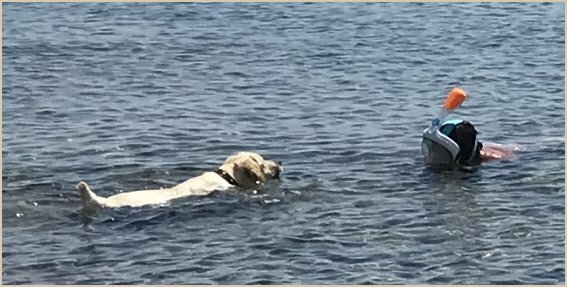 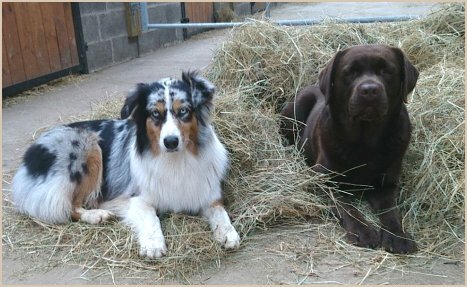 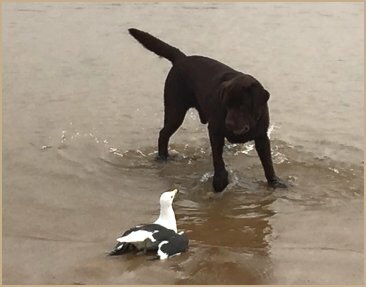 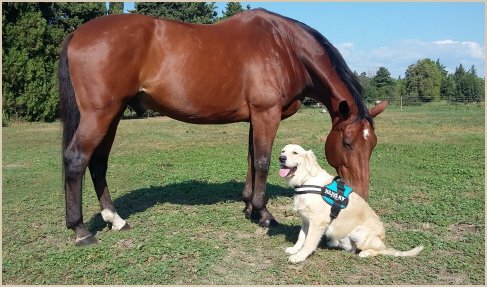 Our retired Retrievers stay up the youth at Nissa-Bella Farm. 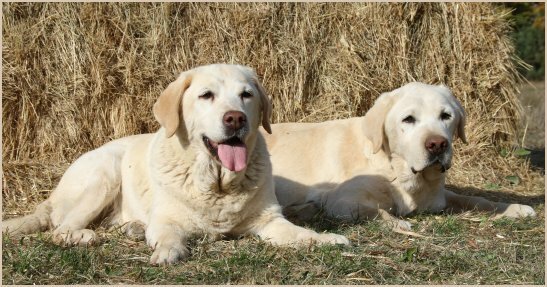 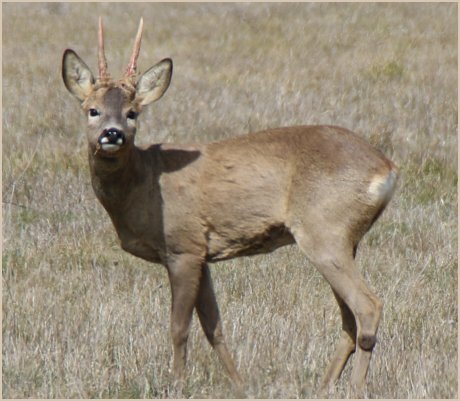 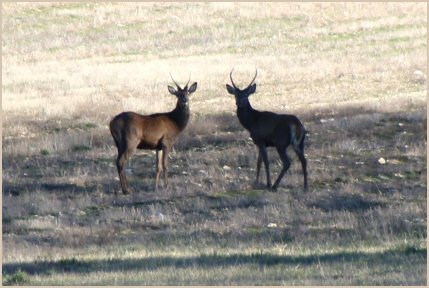 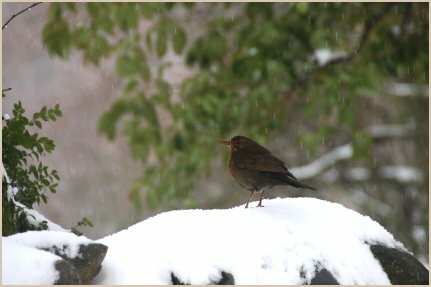 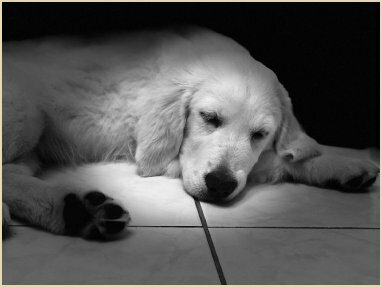 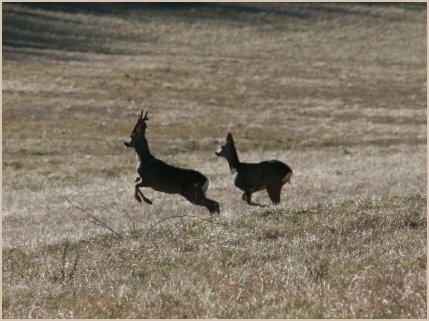 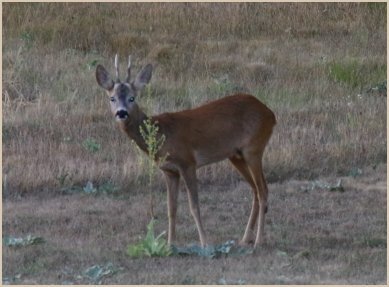 They share our life until the last breath of life. 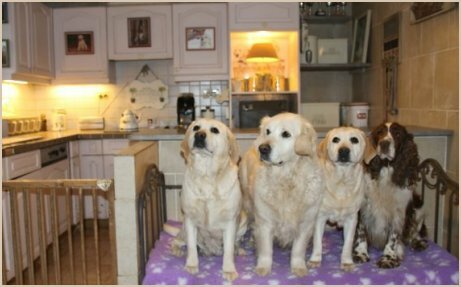 5 generations are living together at home. 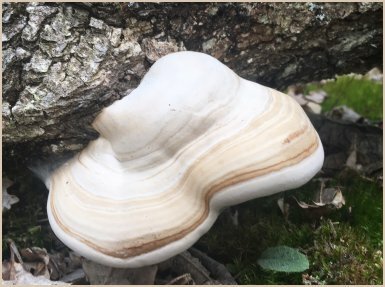 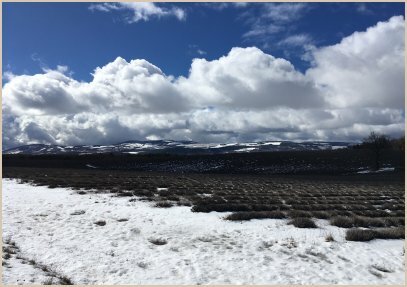 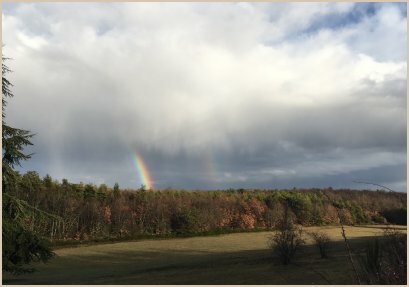 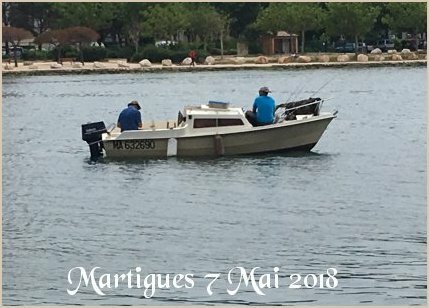 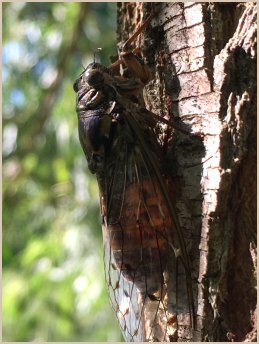 Thanks a lot for your photos ! 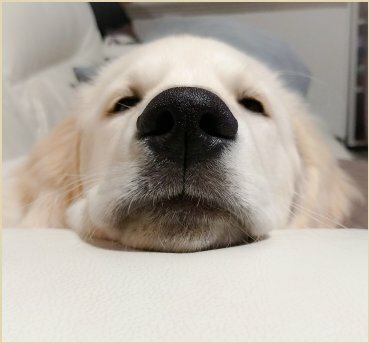 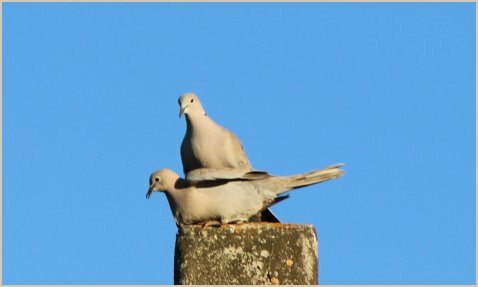 Soft and players, such as they are liked ! 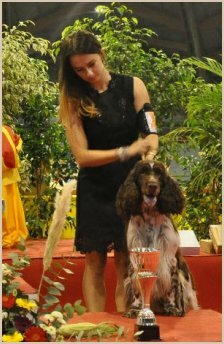 Thanks a lot and well done to Kim for the perfect handling of our sweet Lovely ! 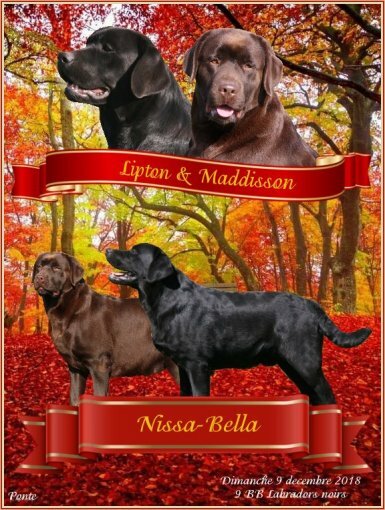 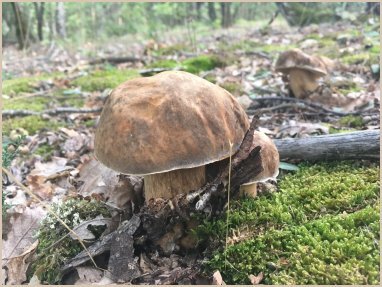 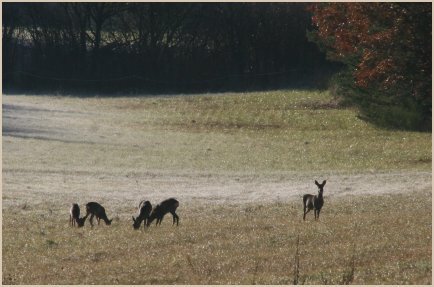 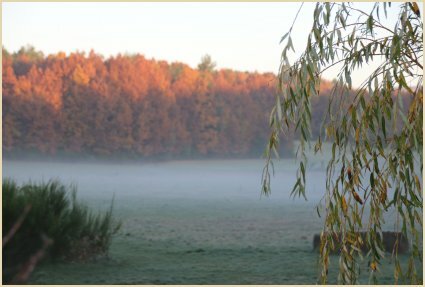 Autumn is arrive for the Nissa-Bella family ! 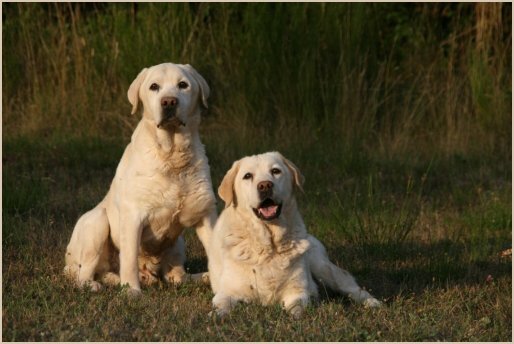 4 generations between : Newton & Nanouck grow up and Timothee & Tappengha at 15 years old ! 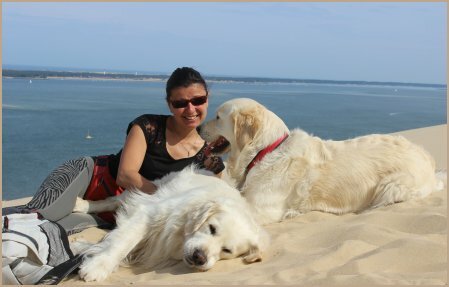 and also to Emilie with Maritza and Fanny for her help into the honor ring ! 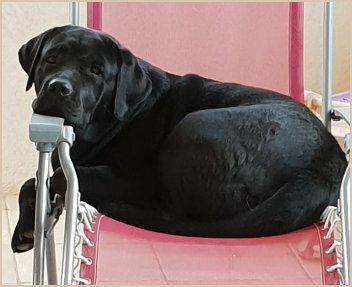 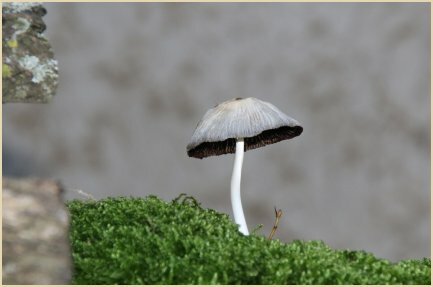 Mary Poppins at 1 year old, thaks a lot to Loïck for the photo ! 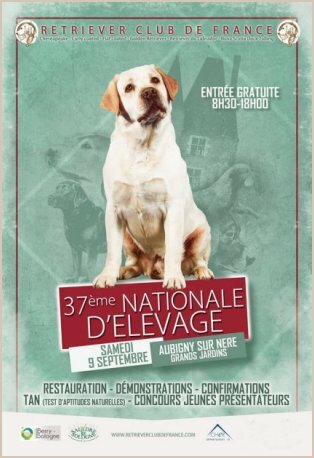 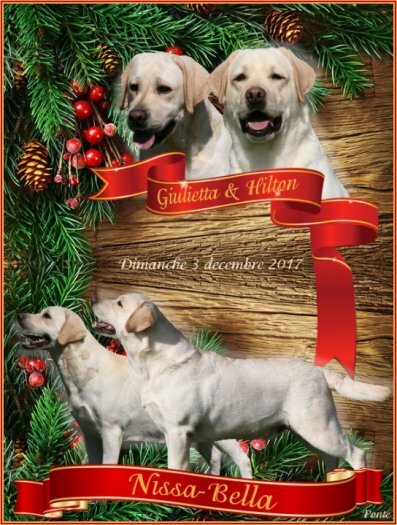 And Hilton was present also... on the official poster of Retriever Club de France ! 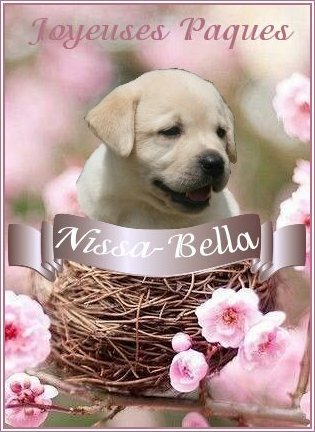 Summertime for Nissa-Bella family ! 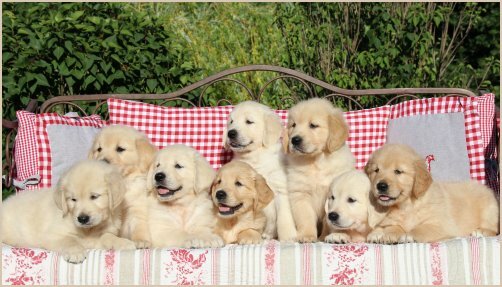 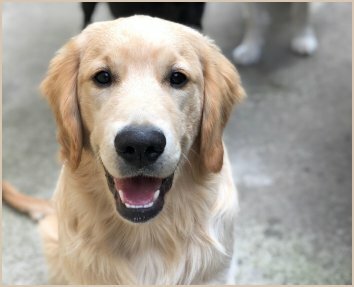 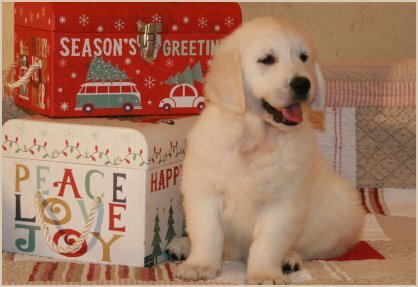 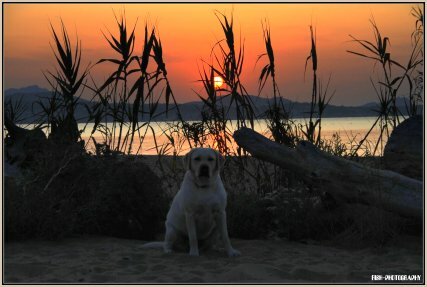 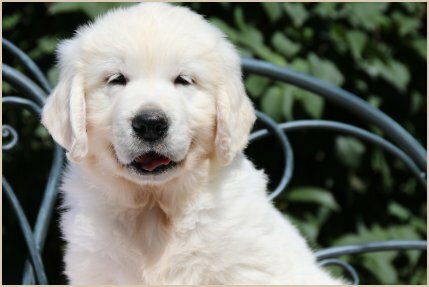 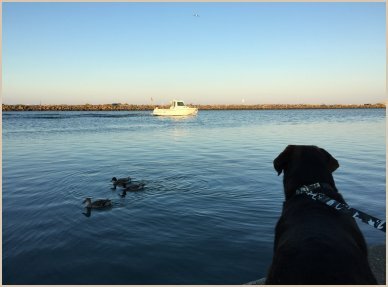 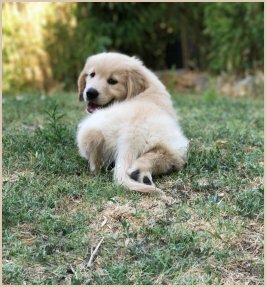 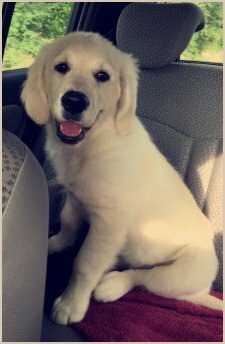 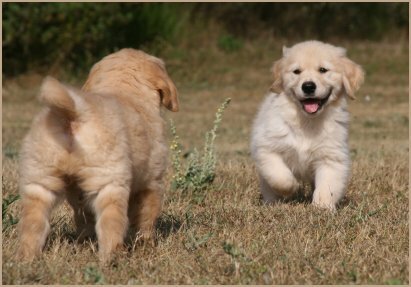 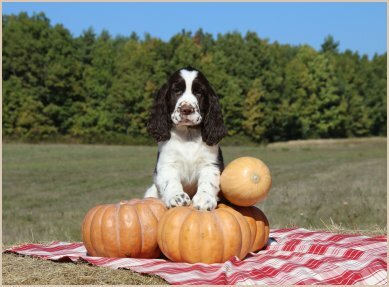 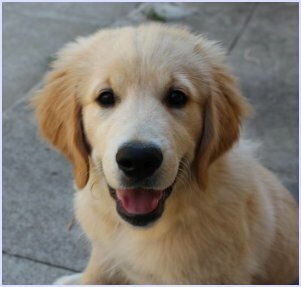 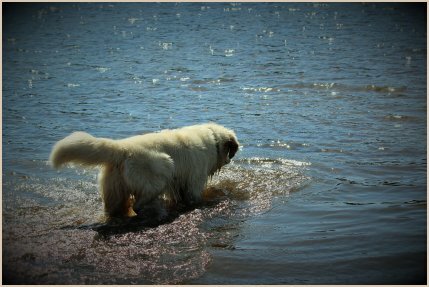 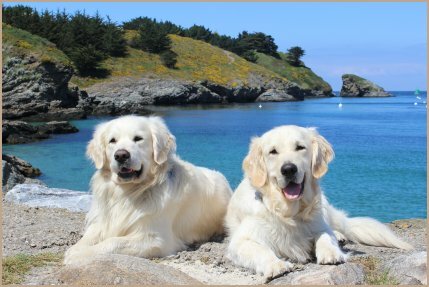 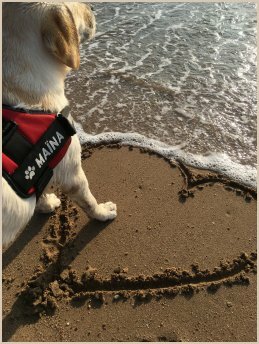 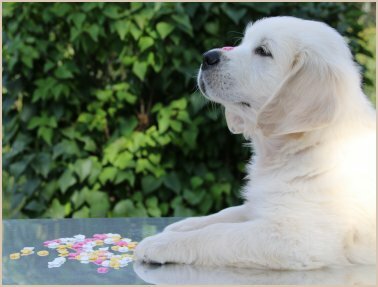 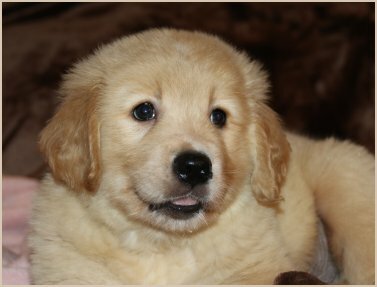 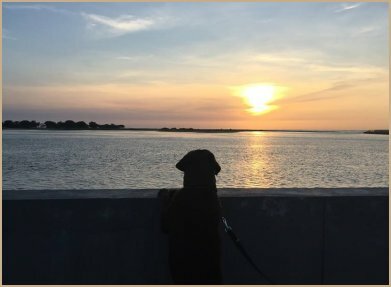 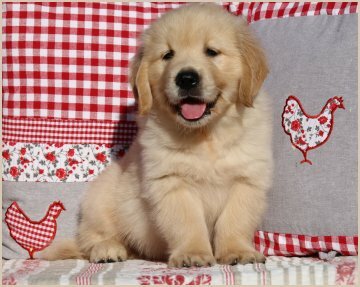 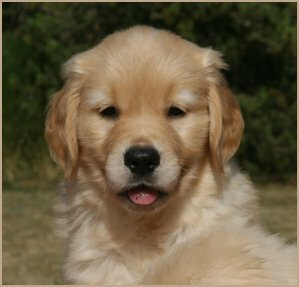 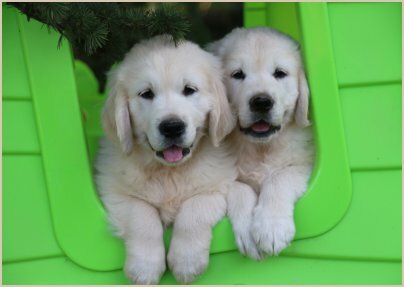 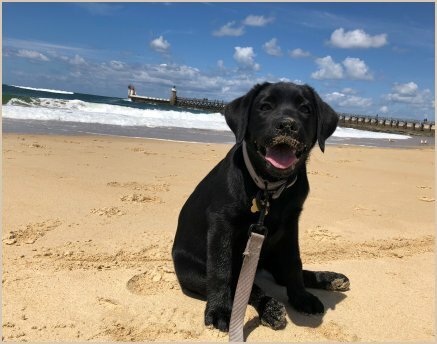 Happy and Shiny Summer to all the families of our puppies ! 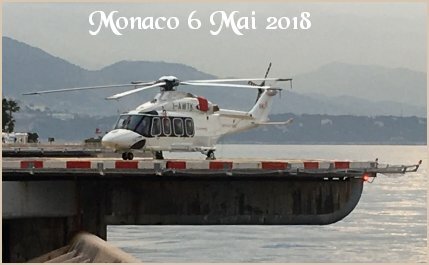 Thanks a lot to Julie for the perfect handling of Lovely & James and to Emilie, Fanny & friends for their help for the group ! 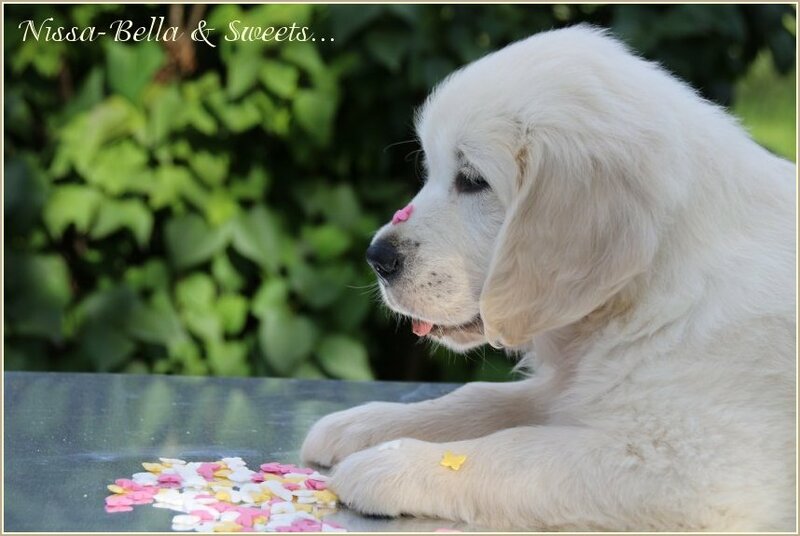 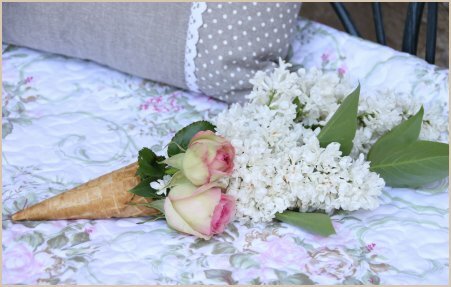 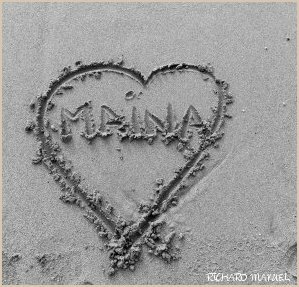 A special Birthday date... A special gift ! 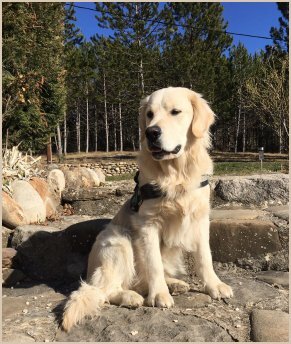 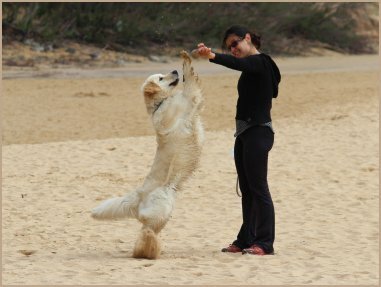 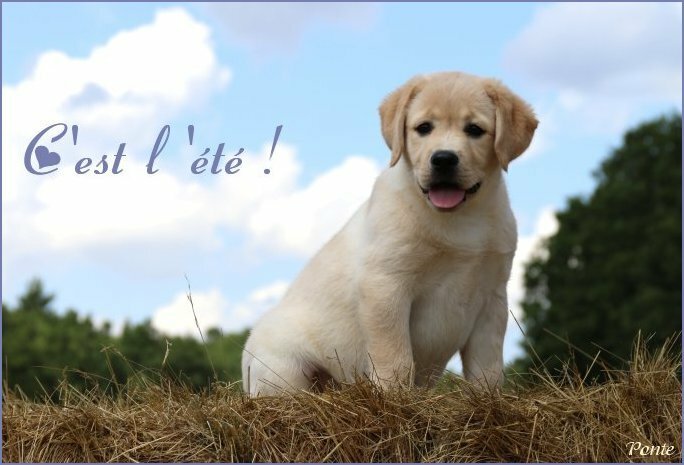 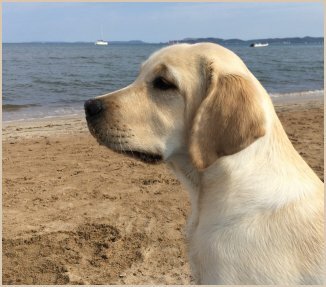 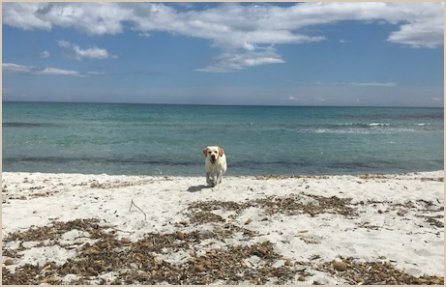 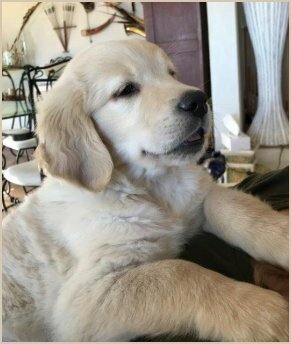 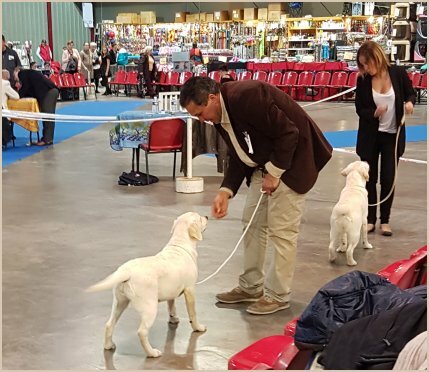 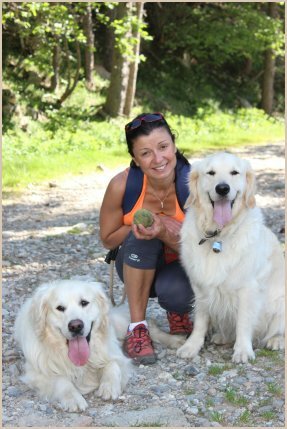 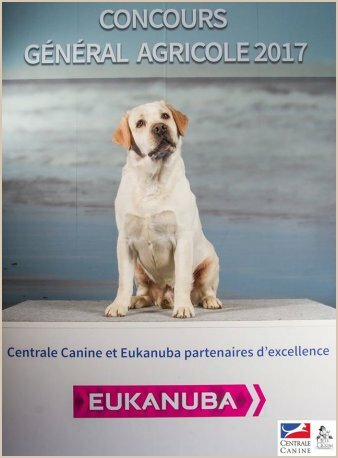 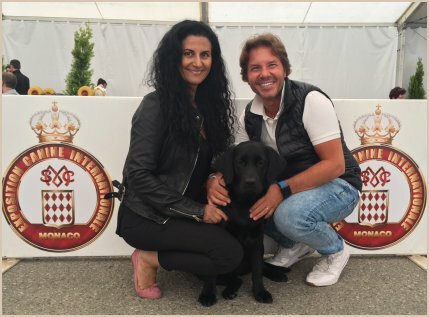 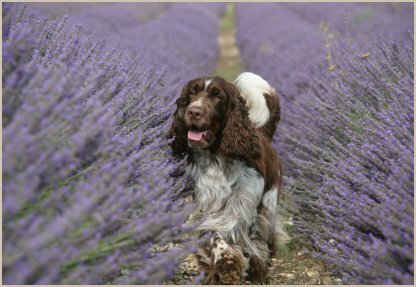 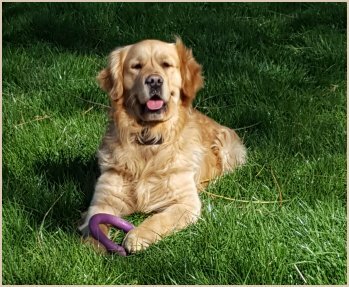 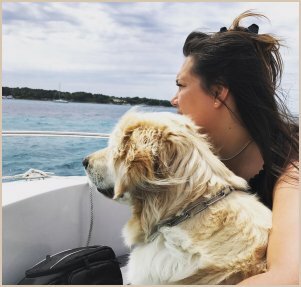 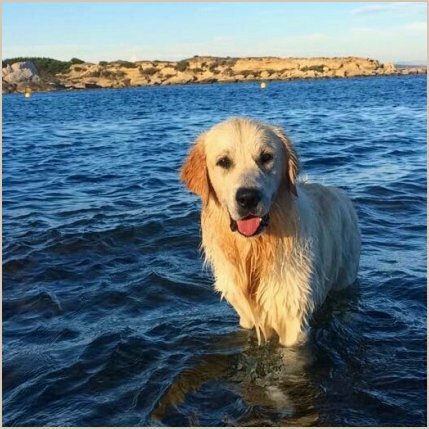 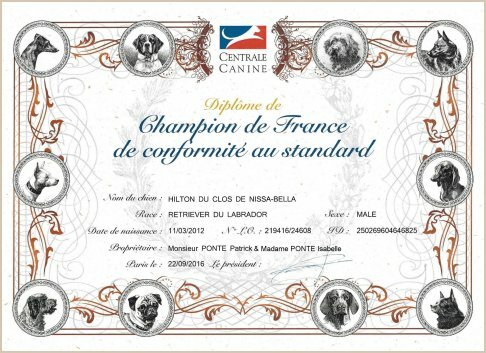 Stop press : Hilton for the French "Société Centrale Canine"
Thanks a lot to Kim for her help and perfect handling of Lovely & James ! 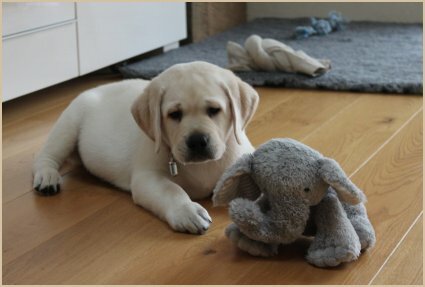 ...and our youngsters grow up ! 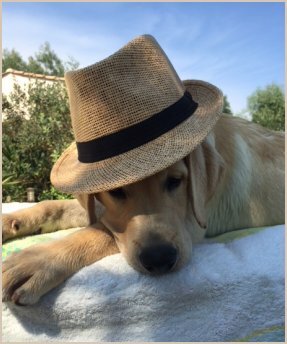 Thanks to Jessica & Emilie for baby Jack ! 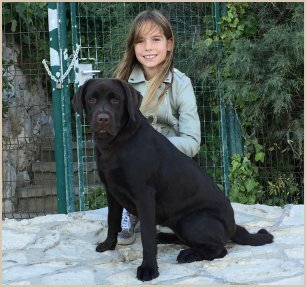 And well done to Jessica for Dad Nils BIS 3 of the day ! 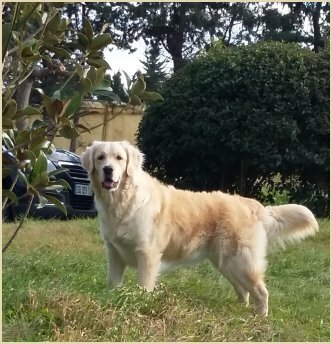 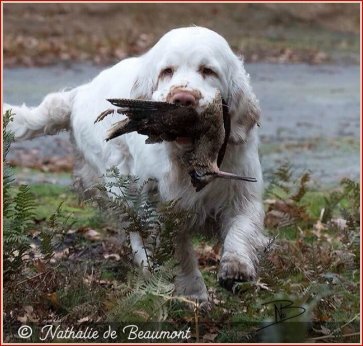 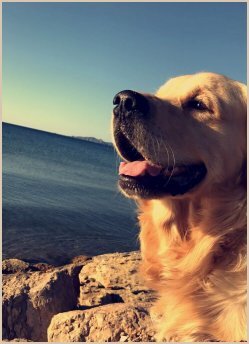 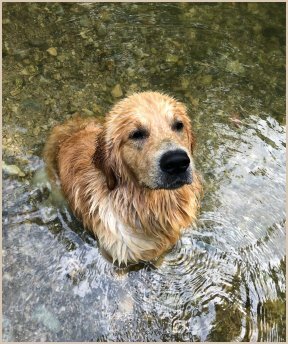 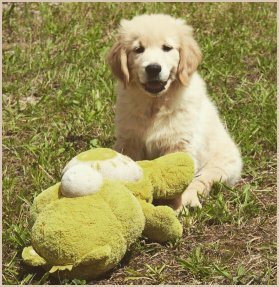 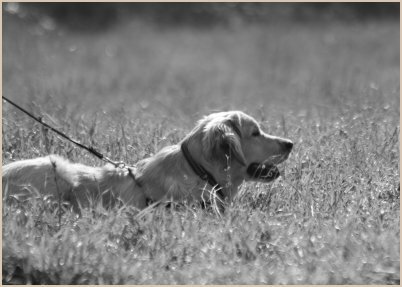 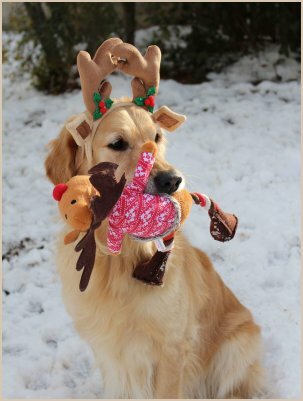 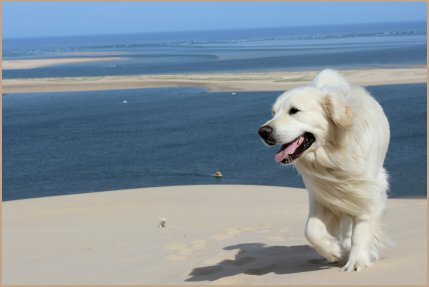 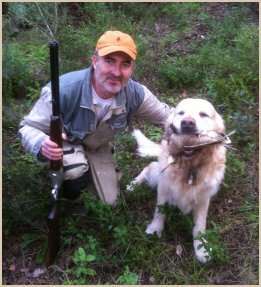 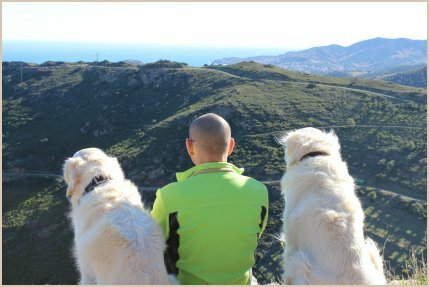 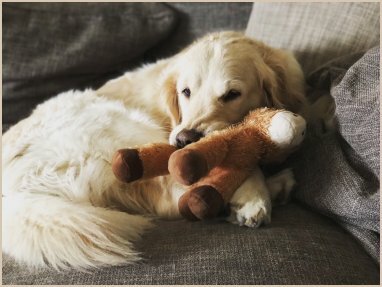 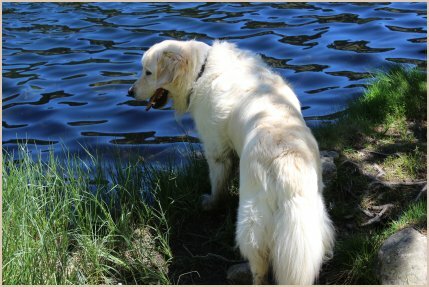 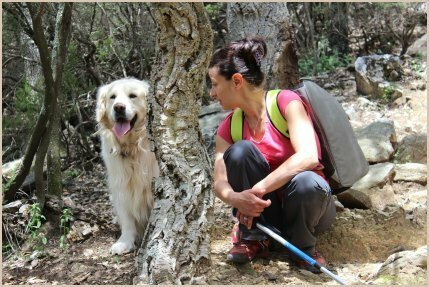 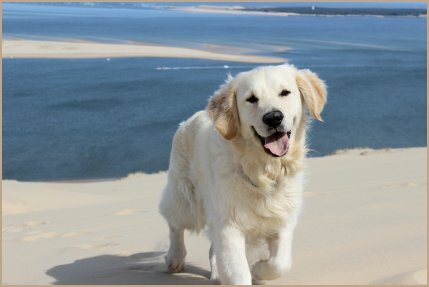 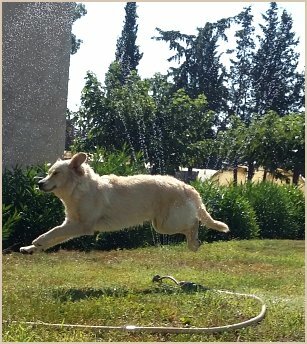 Nelson of Ramatuelle Hunting Golden only for his owner ! 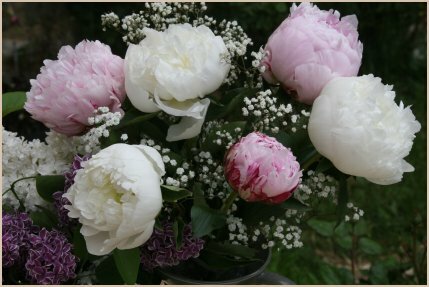 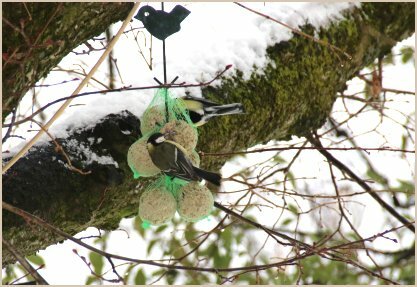 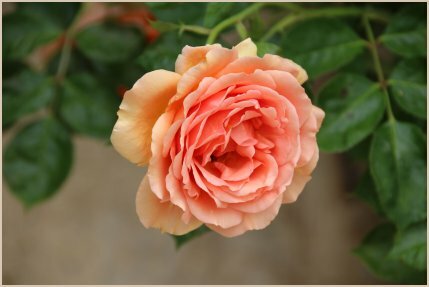 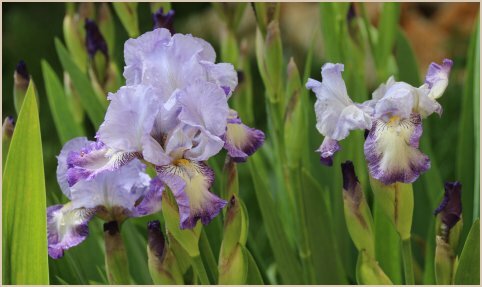 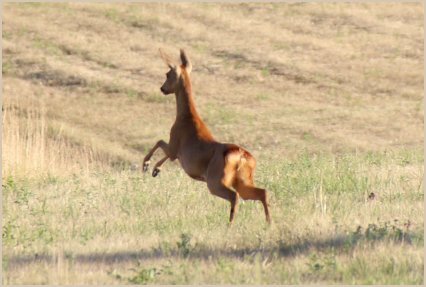 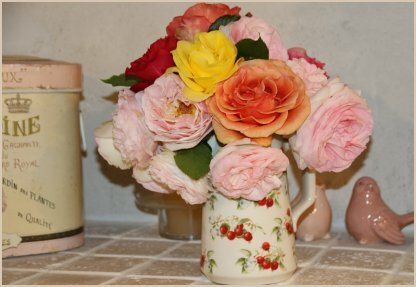 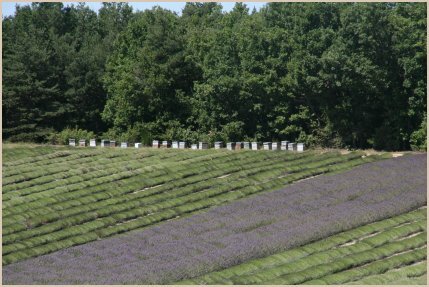 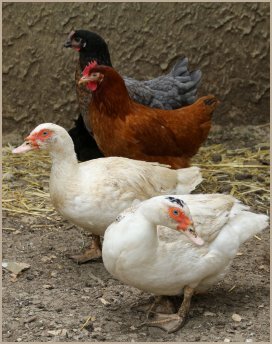 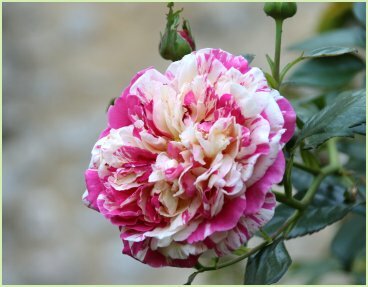 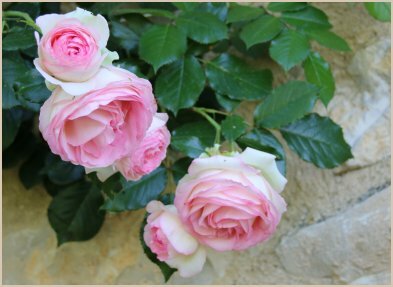 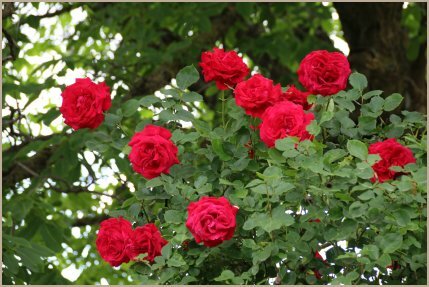 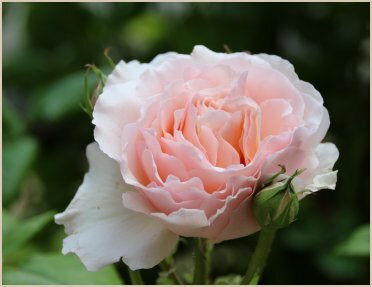 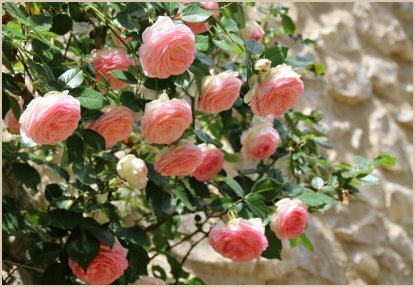 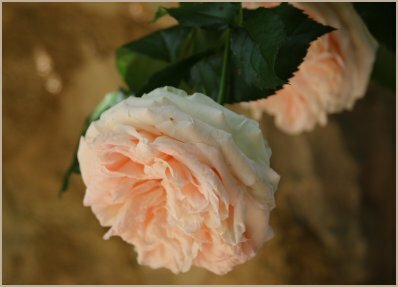 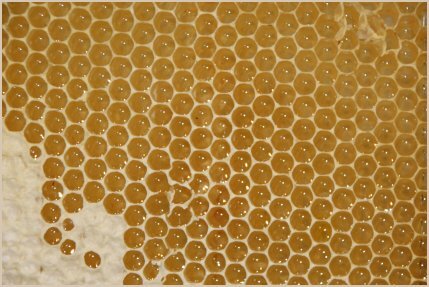 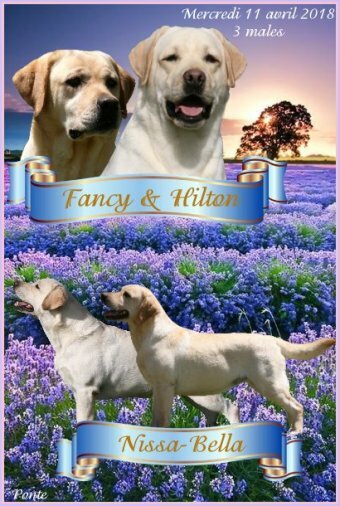 Hilton made us live so beautiful twentieth year of breeding ! 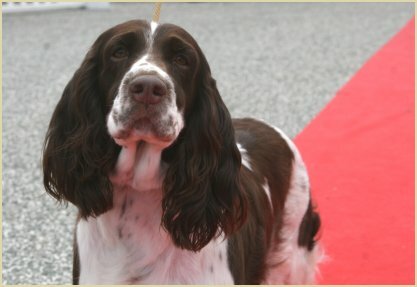 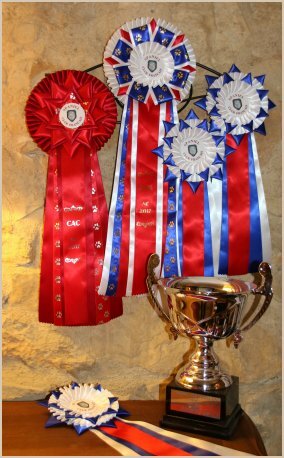 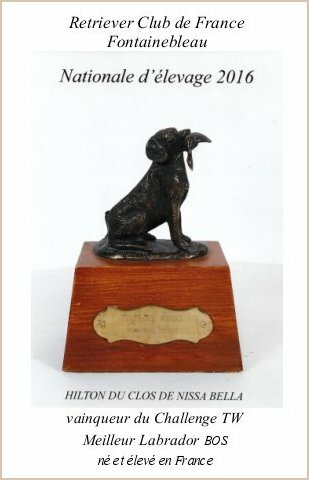 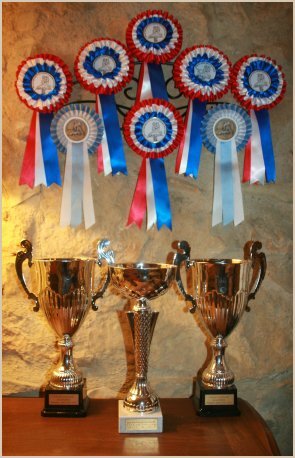 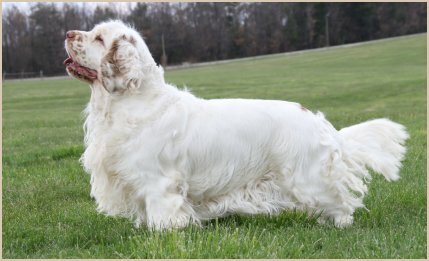 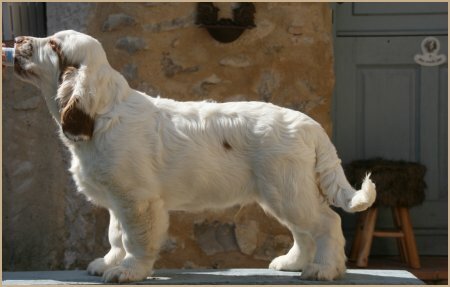 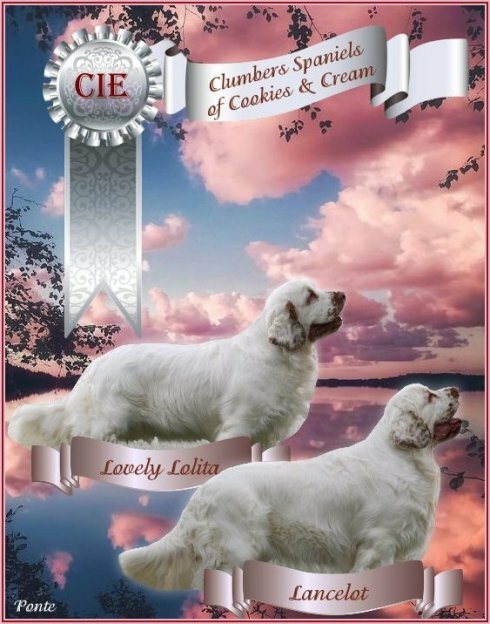 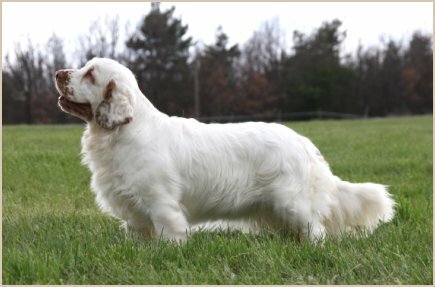 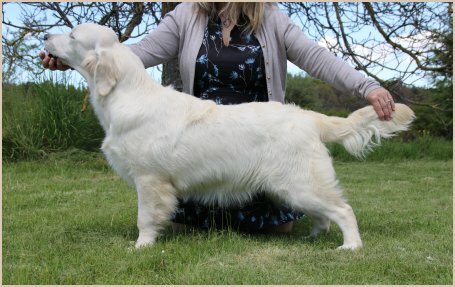 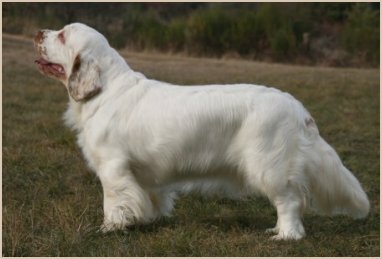 Hilton won the CACS then was chosen Best dog and BOS among 94 dogs under the judgments of Mrs Nightingale (GB). 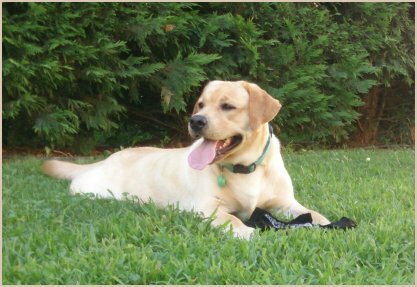 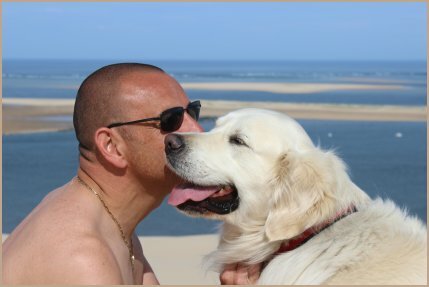 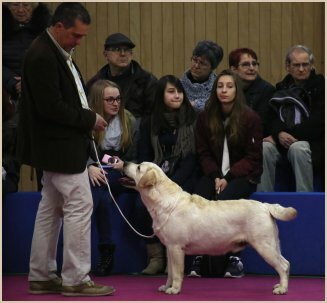 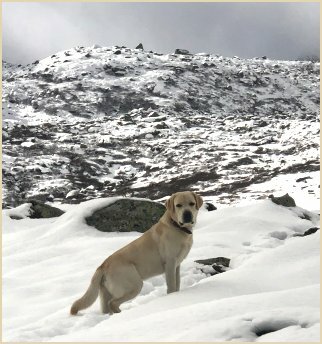 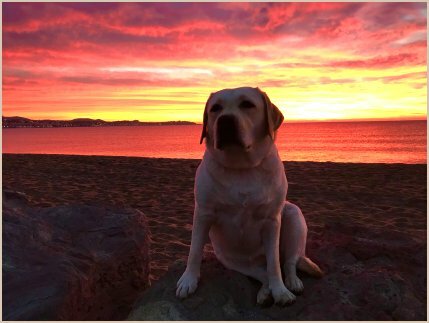 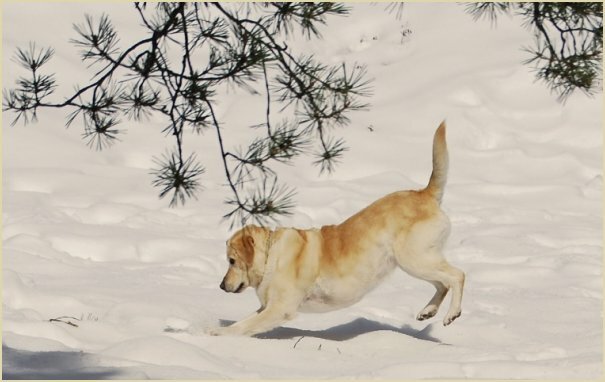 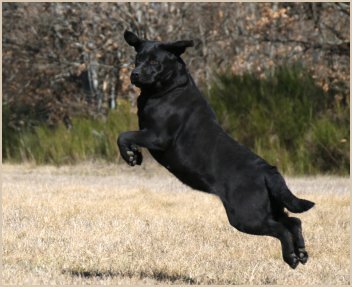 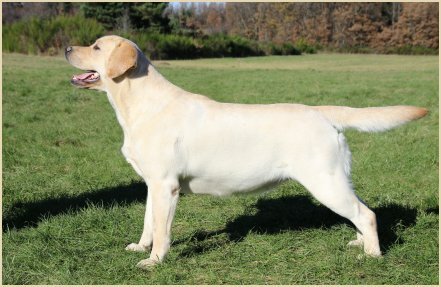 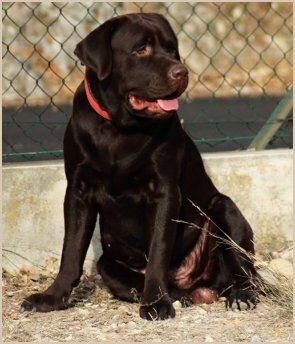 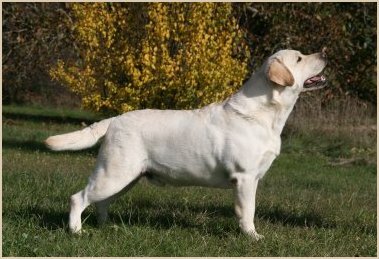 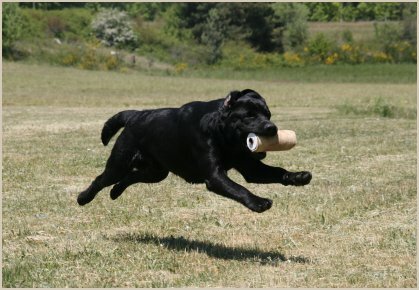 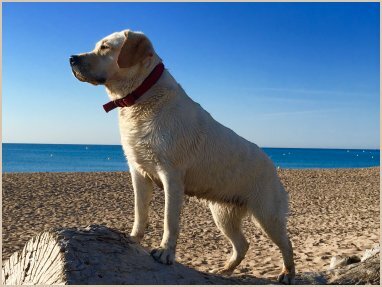 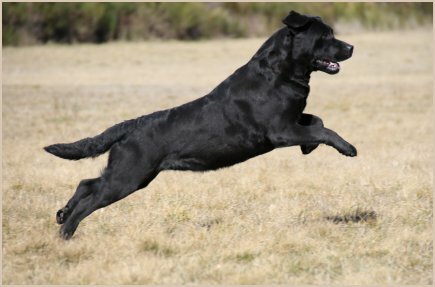 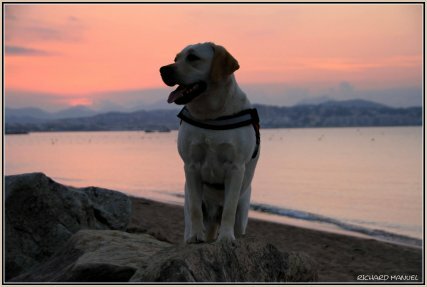 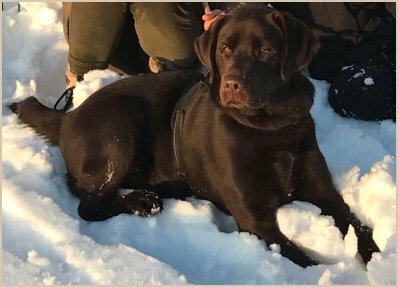 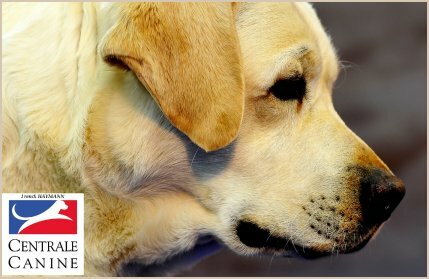 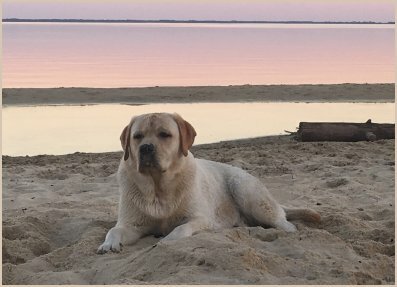 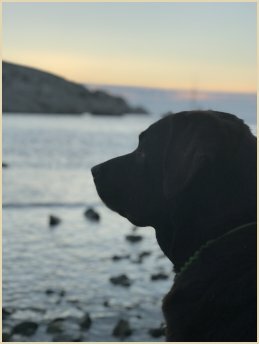 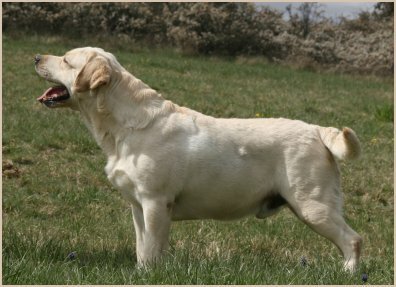 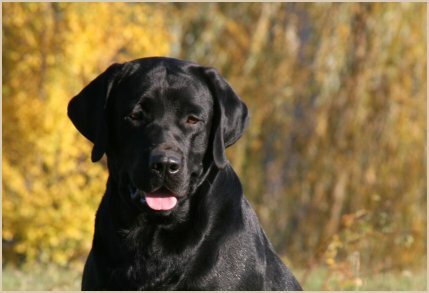 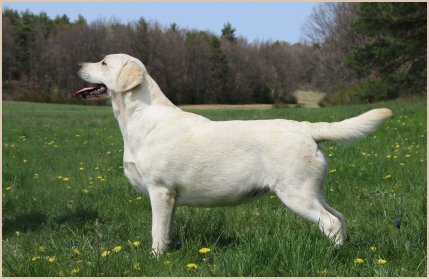 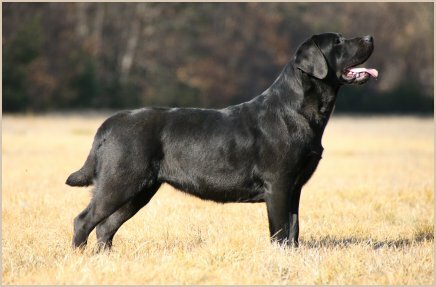 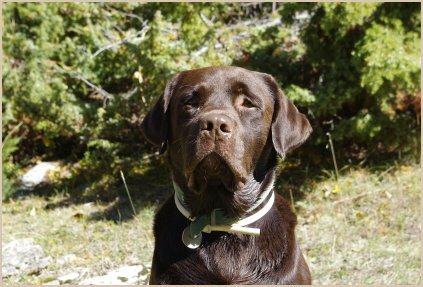 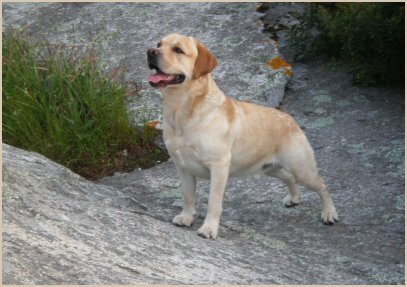 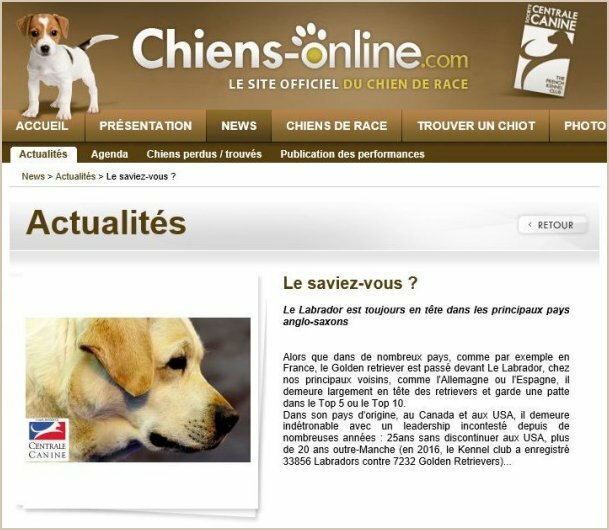 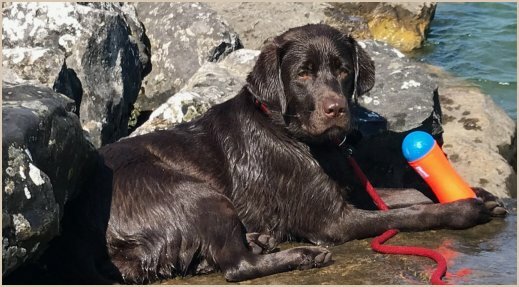 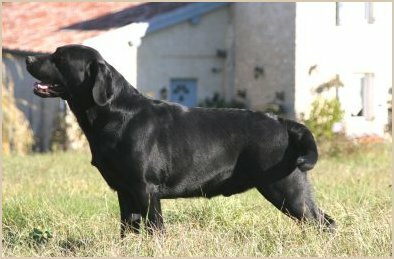 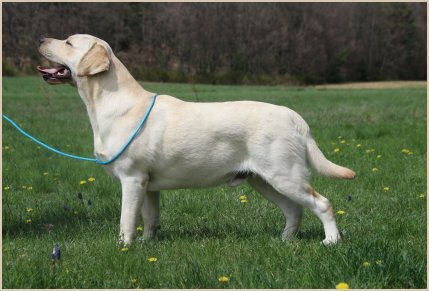 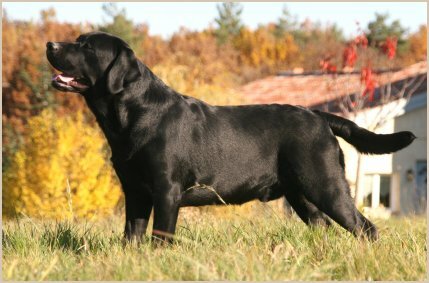 He won the challenge TW of BOS only for a Labrador born and bred in France. 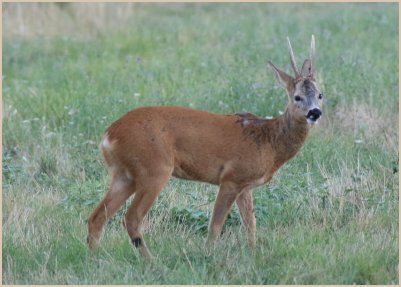 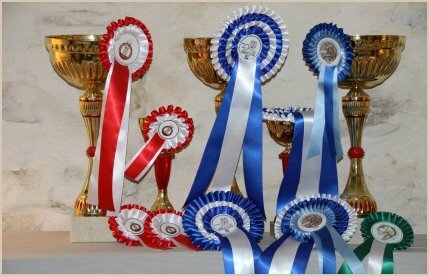 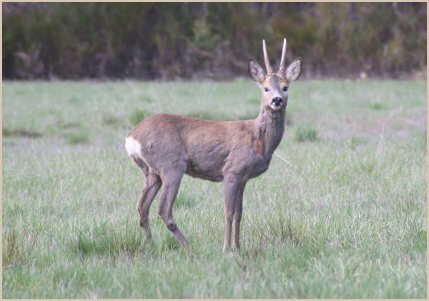 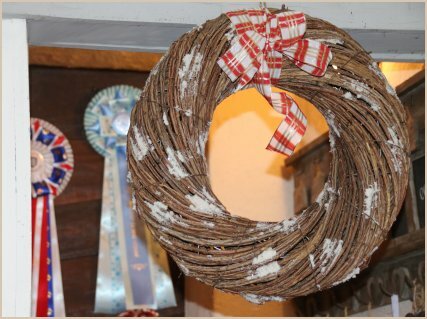 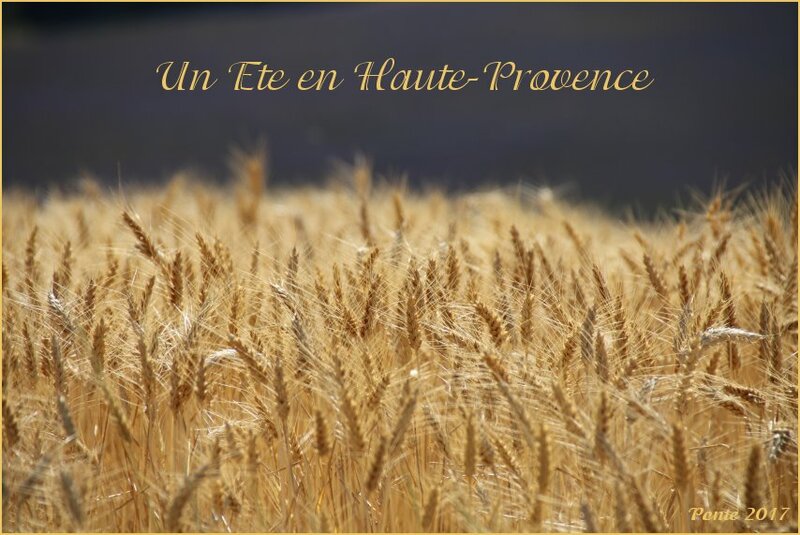 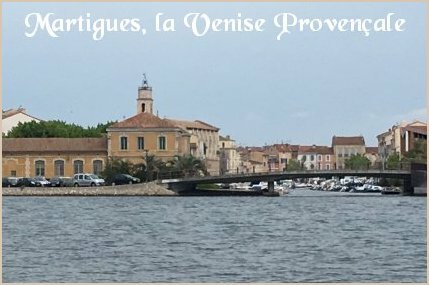 He was selected also doudle for the "Concours Général Agricole" 2017. 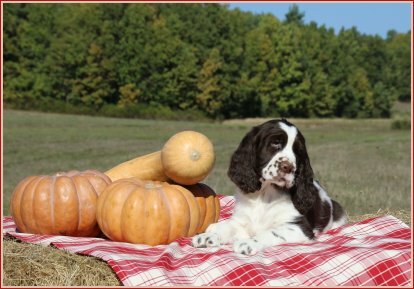 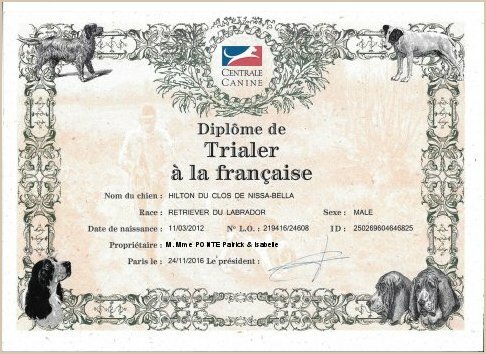 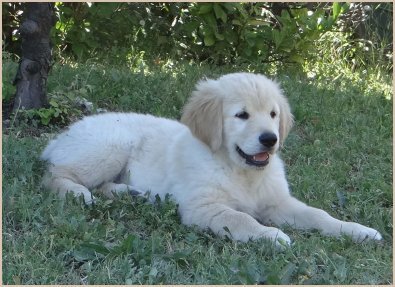 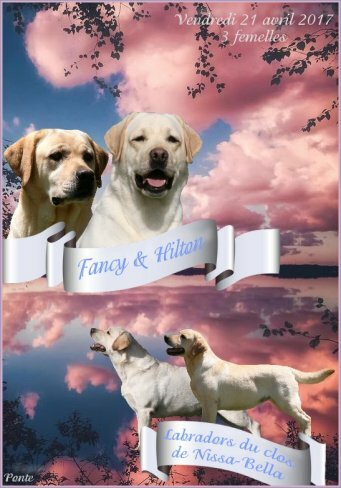 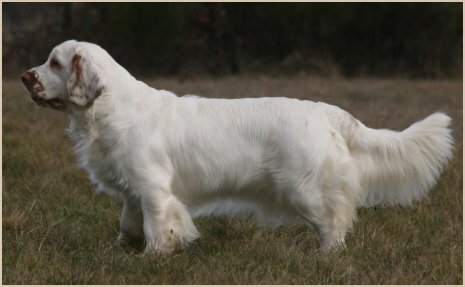 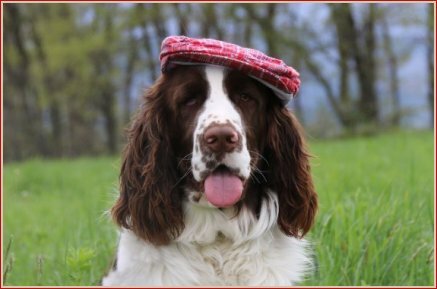 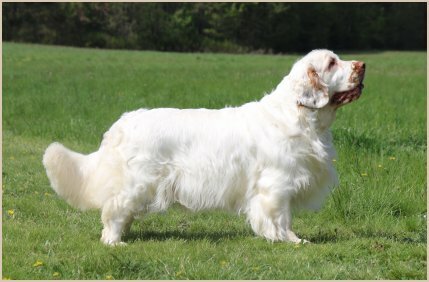 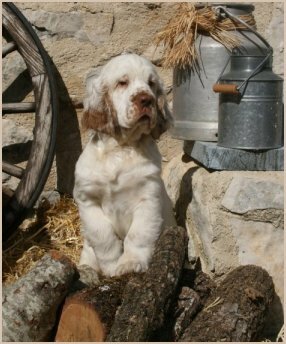 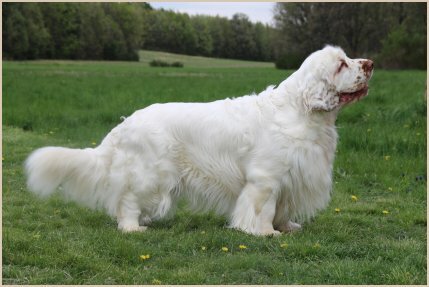 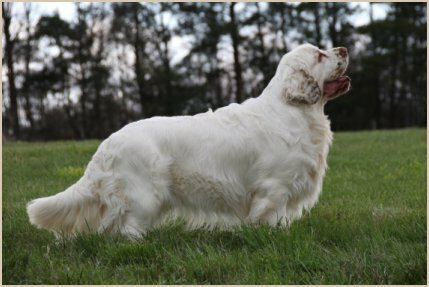 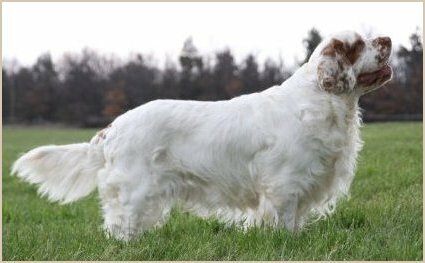 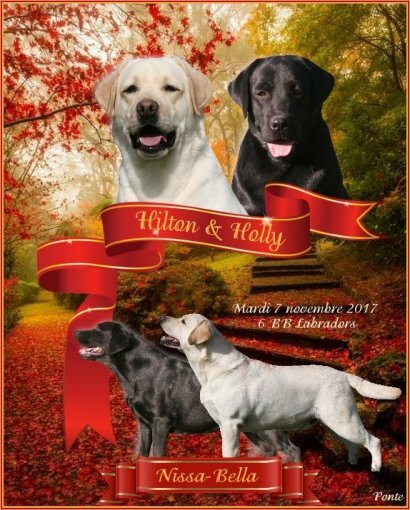 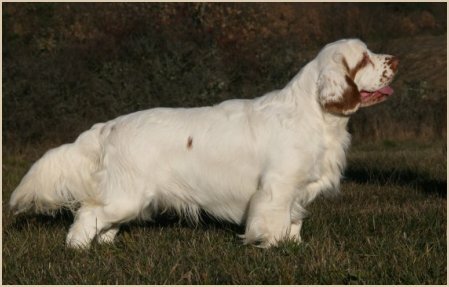 Hilton approved a new tittle of "TRIALER à la française"
Many thanks to junior handlers and to our friends for their help for BOB and BIG. 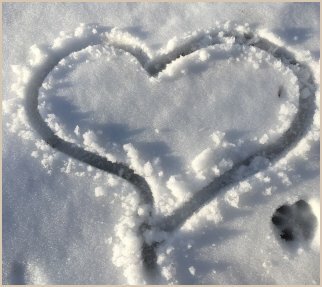 And always on the best place !